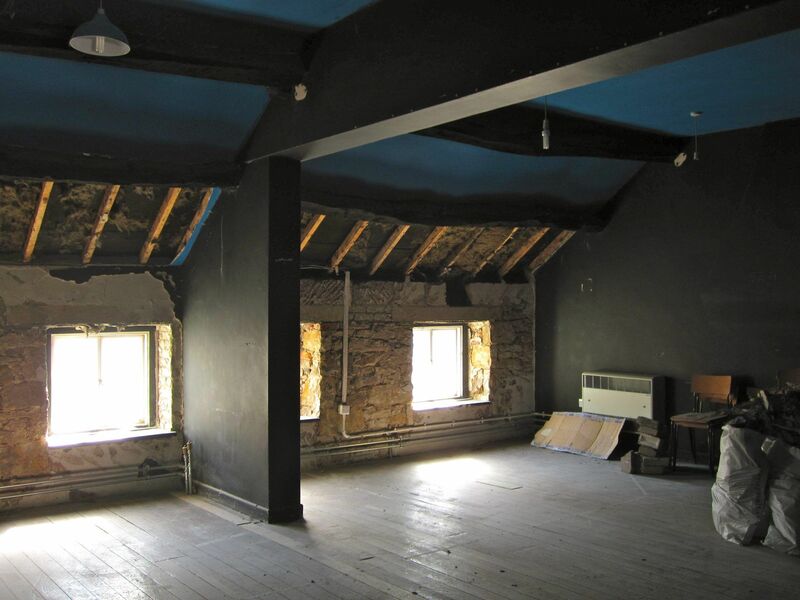 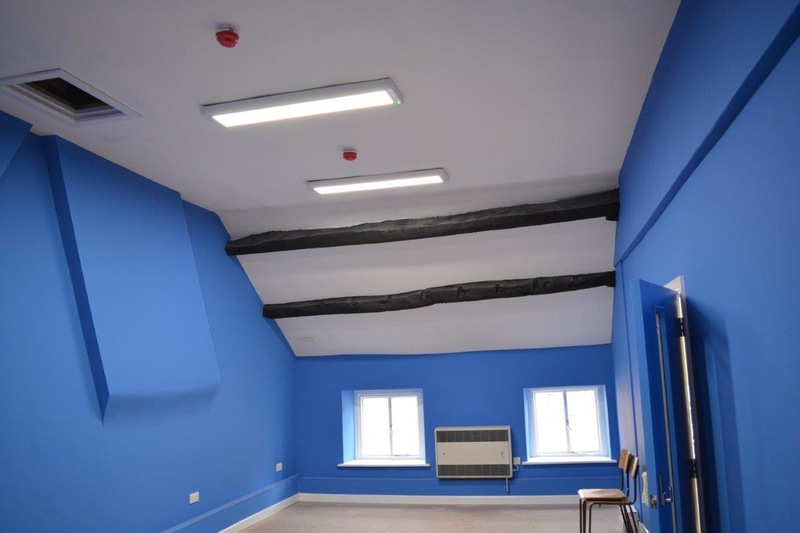 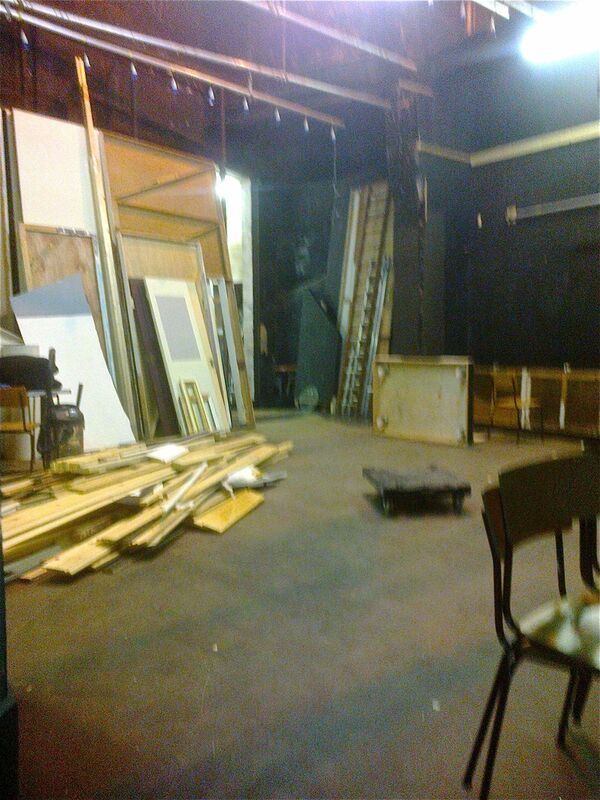 Can’t wait to start rehearsing in this wonderful space! 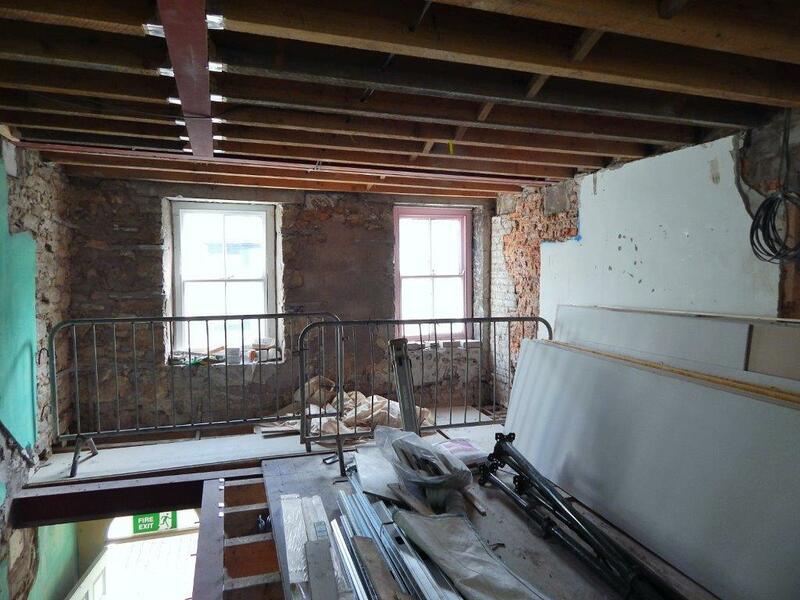 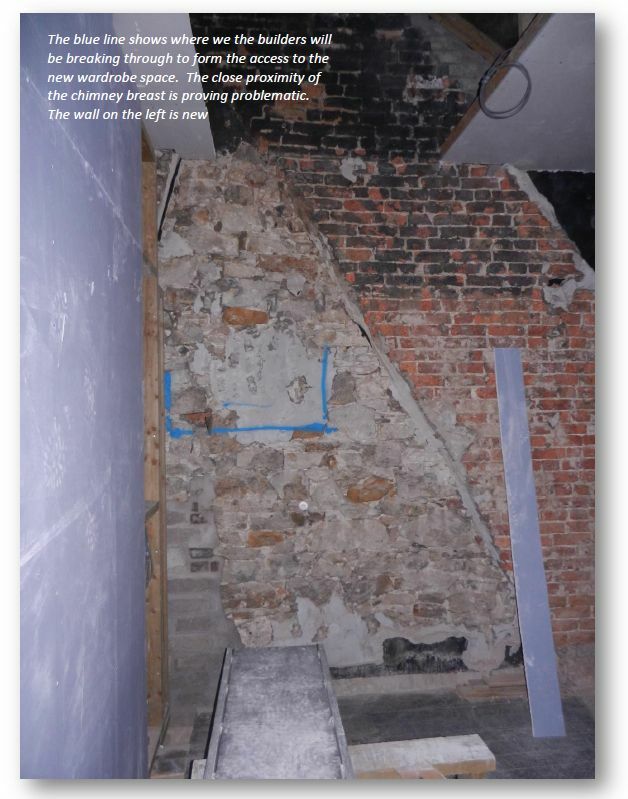 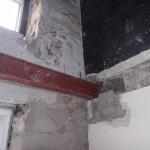 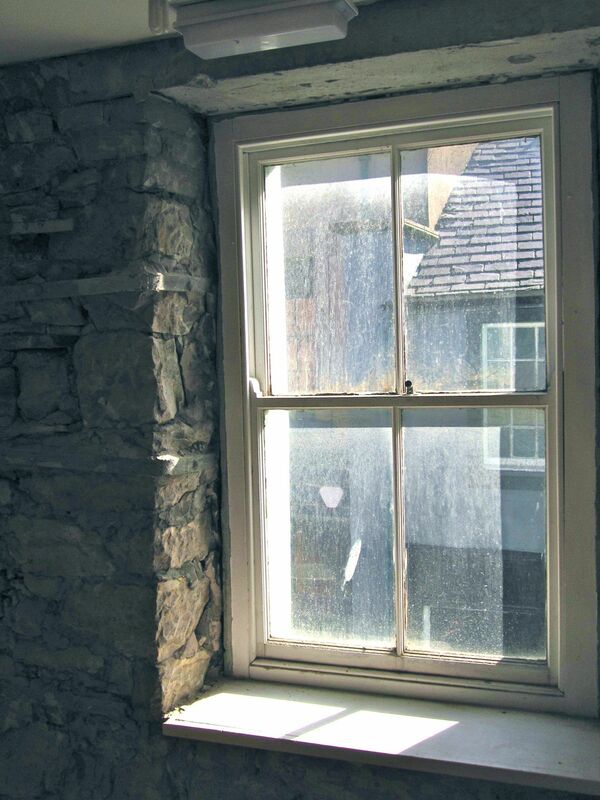 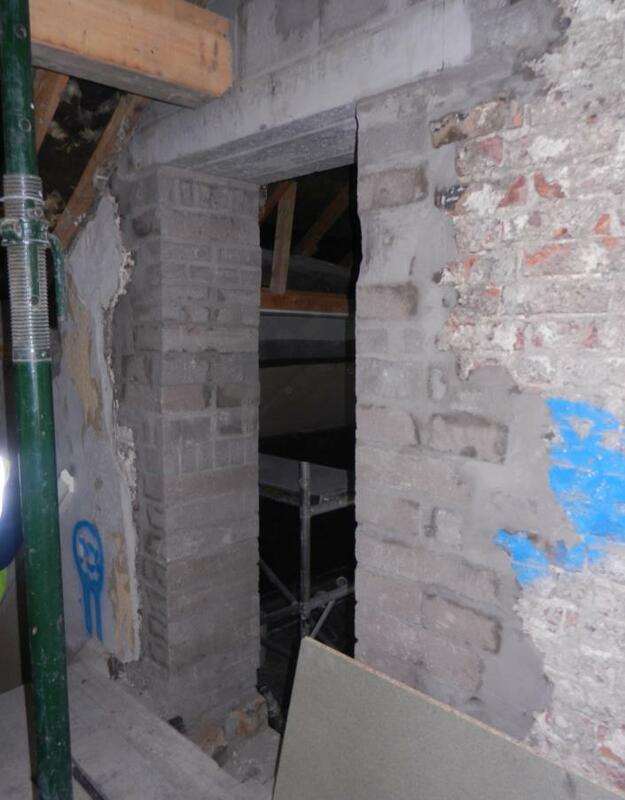 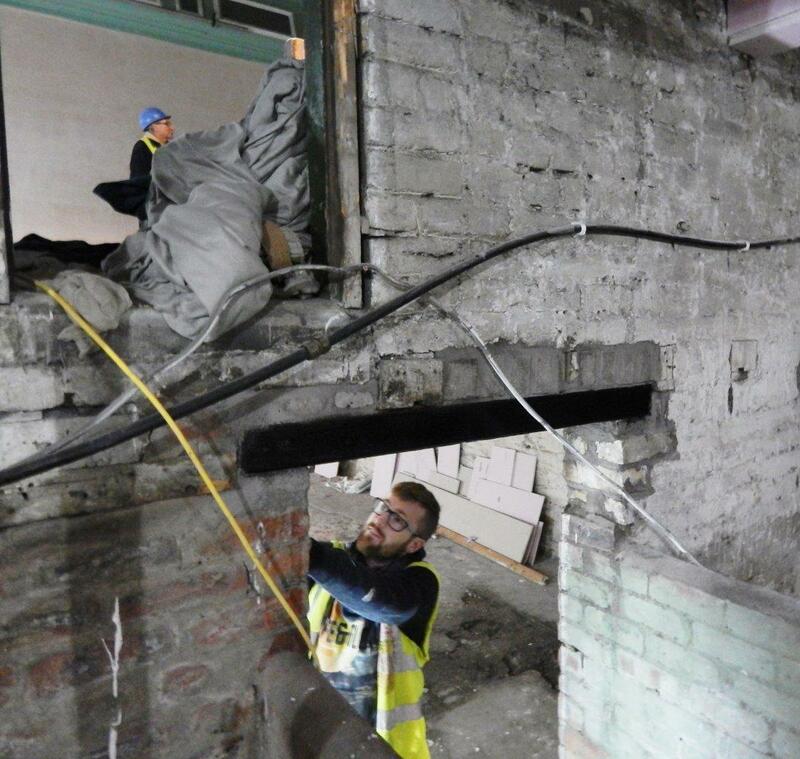 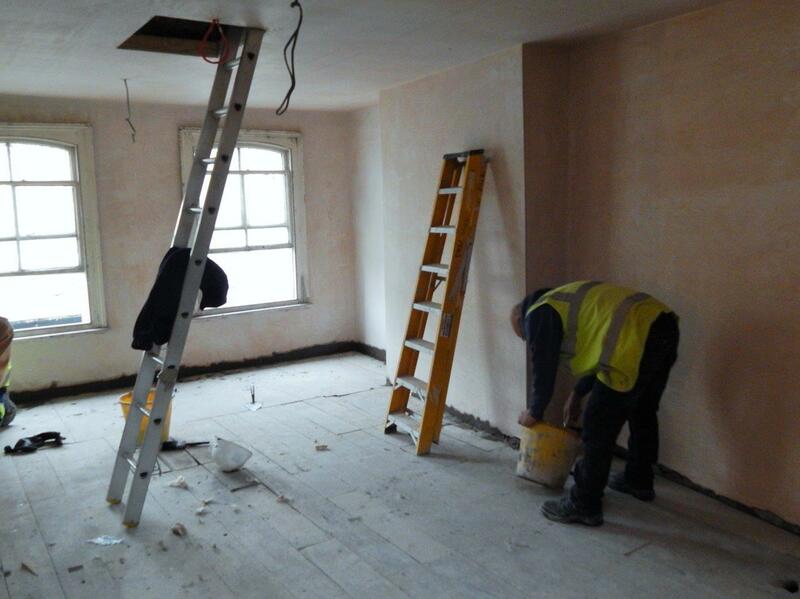 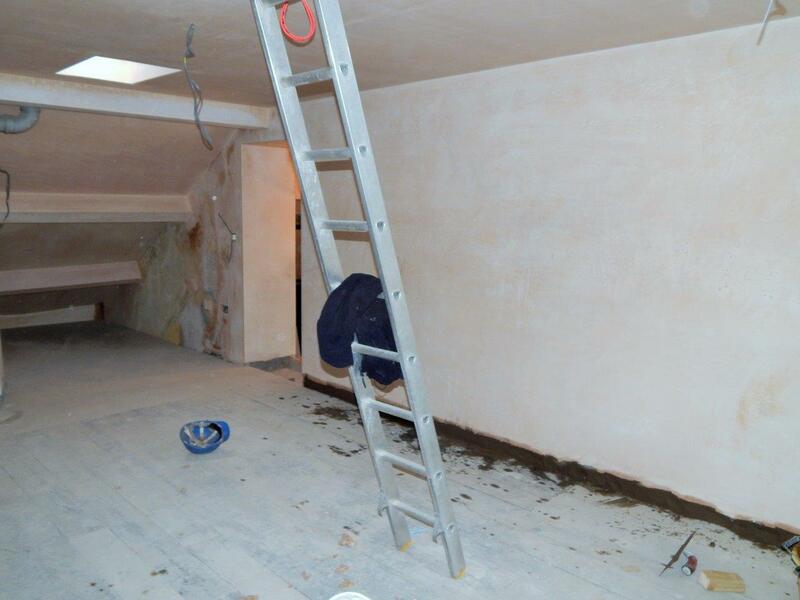 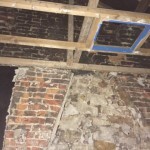 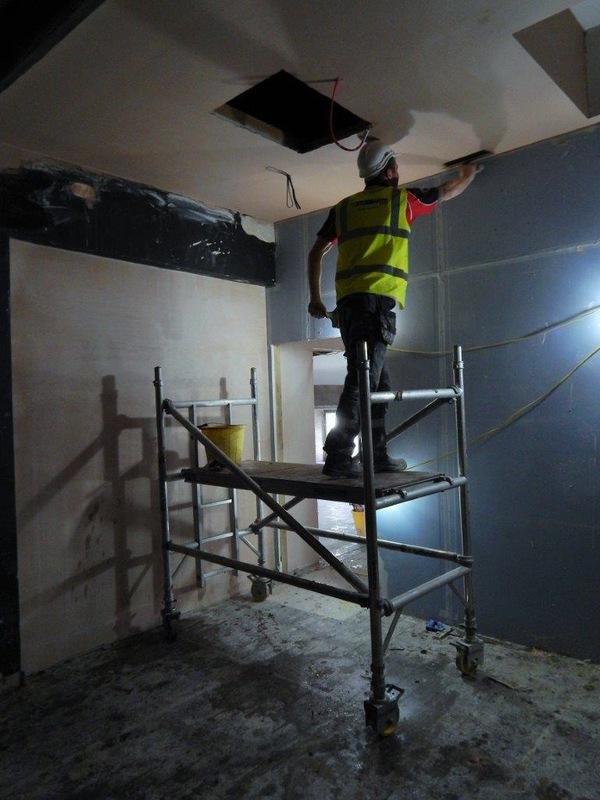 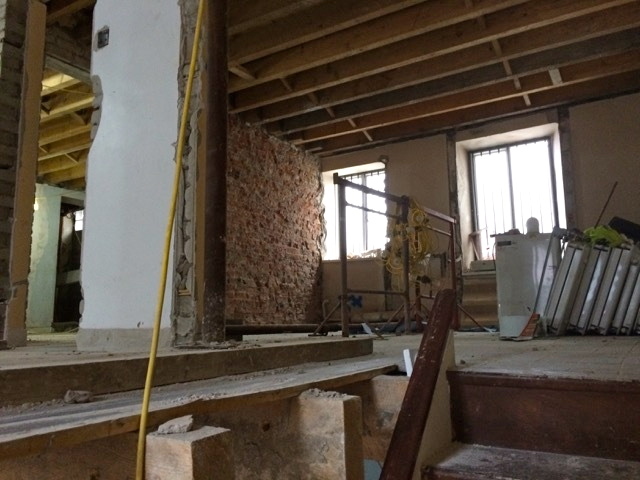 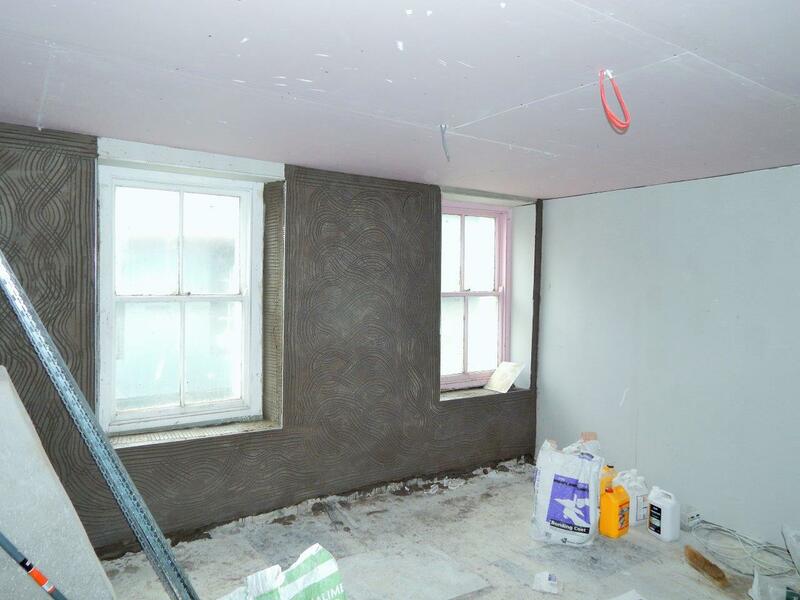 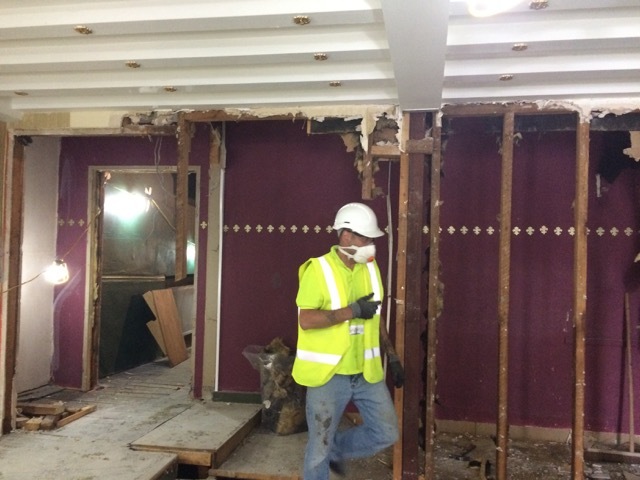 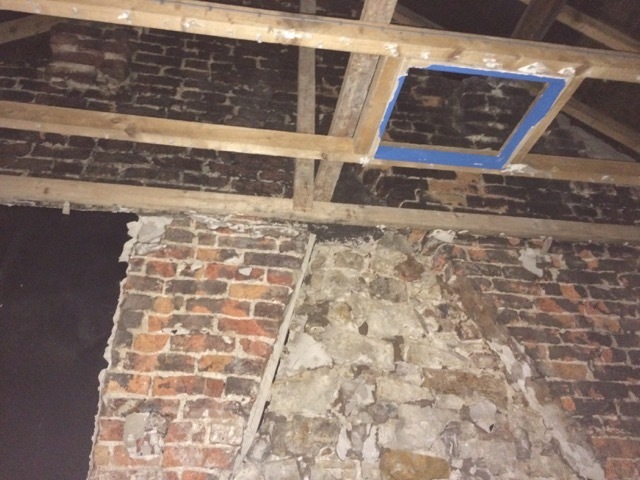 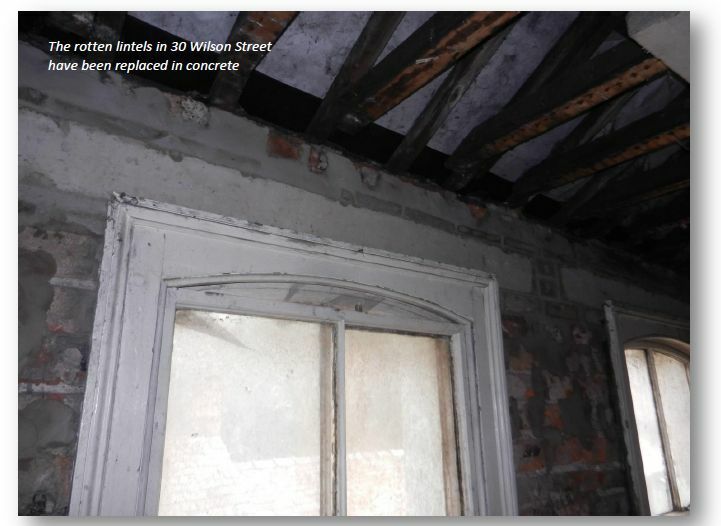 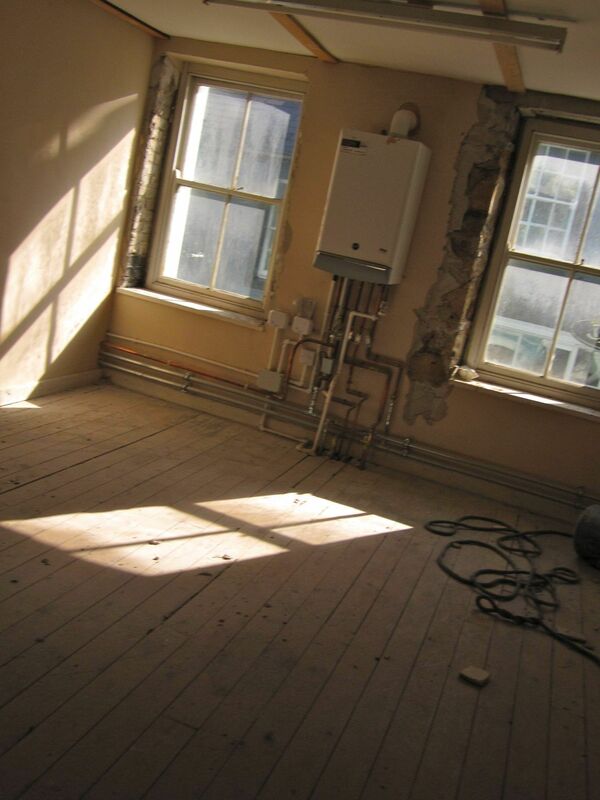 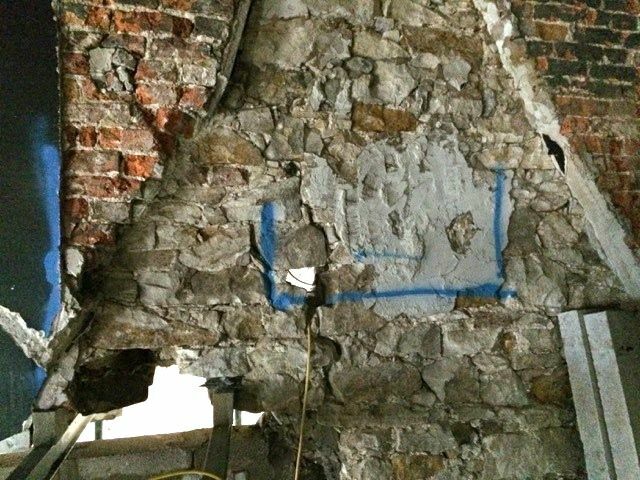 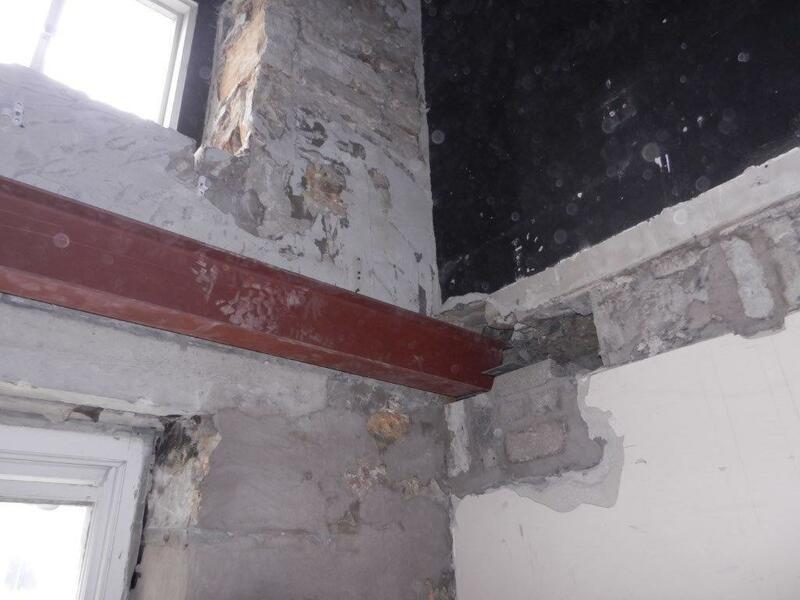 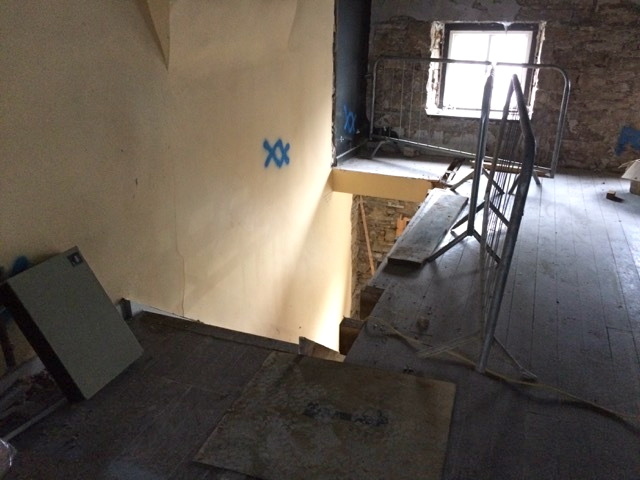 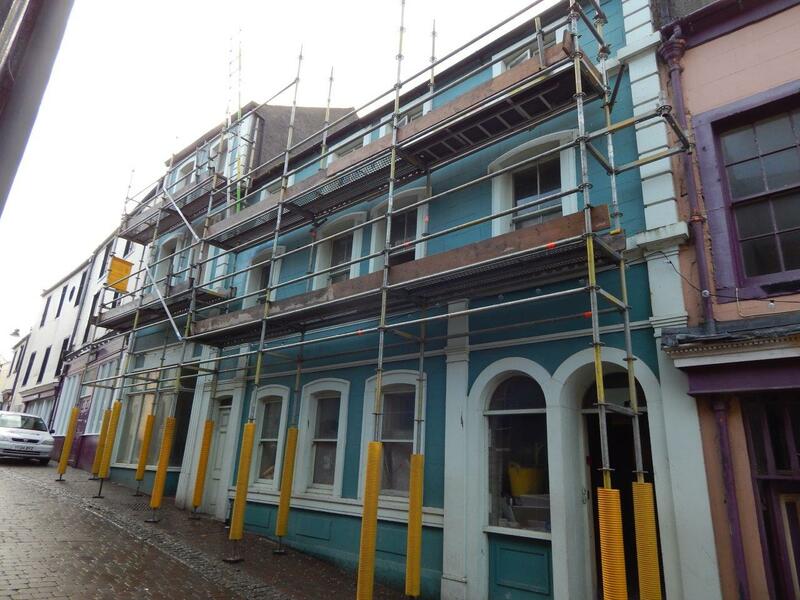 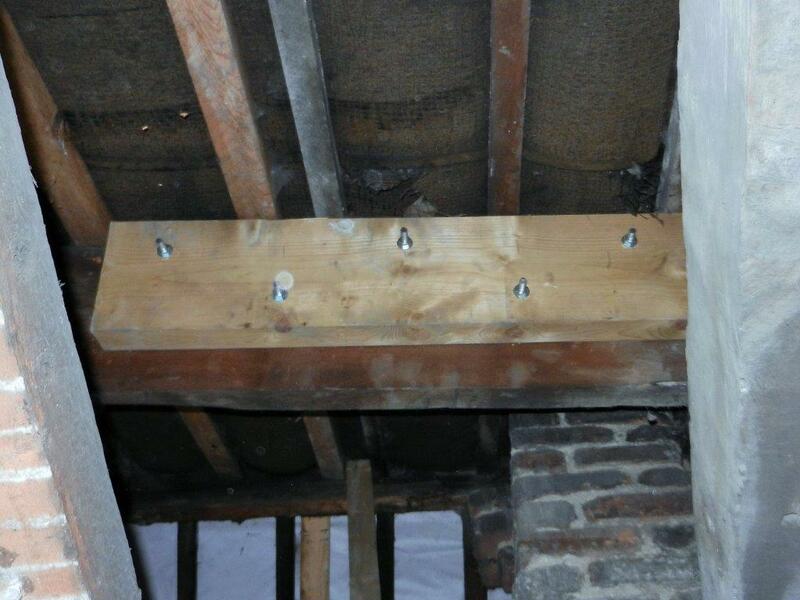 Pears and Torney removed plaster from the walls in 26, 28 and 30 Wilson Street checking for any defects such as ingress of water, dry rot etc. 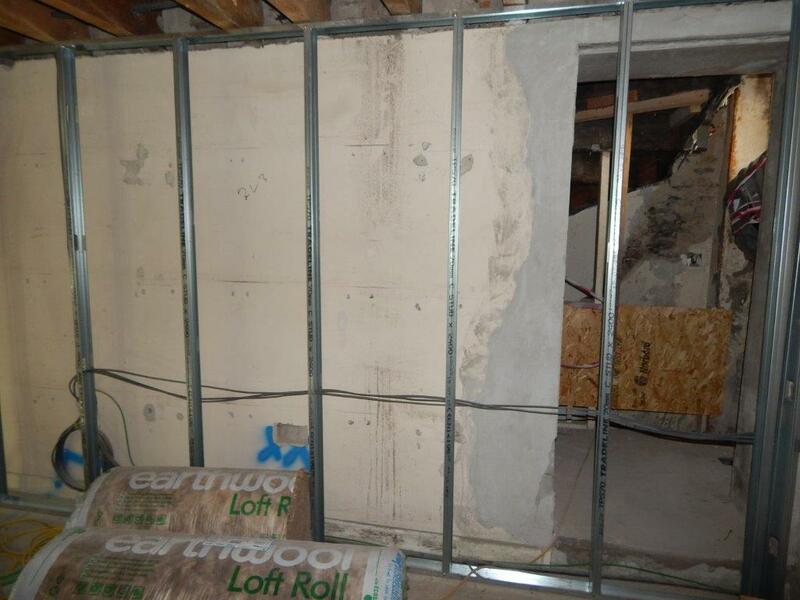 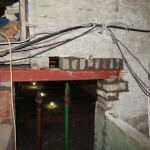 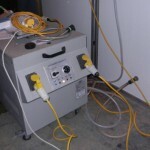 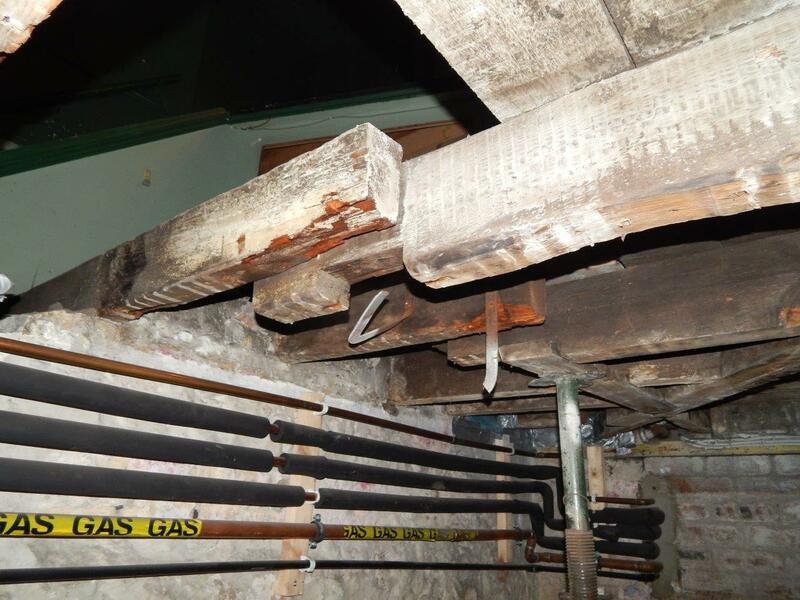 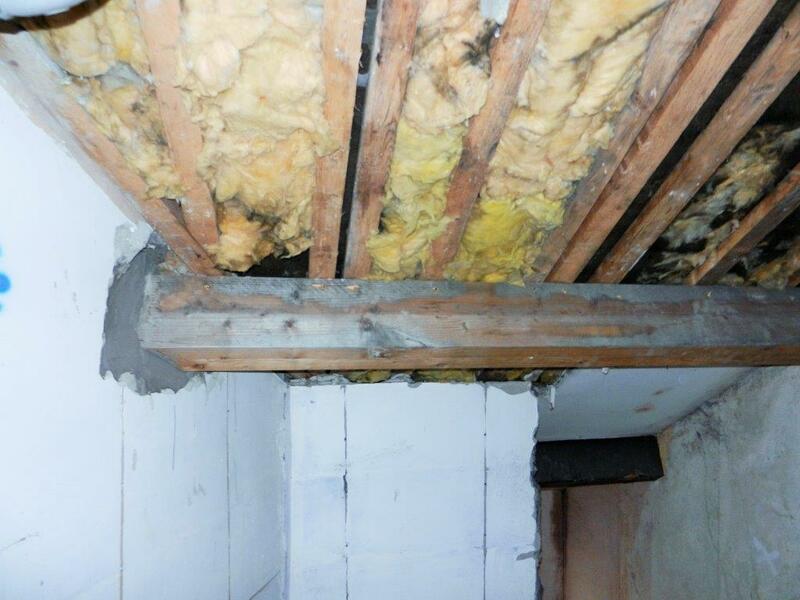 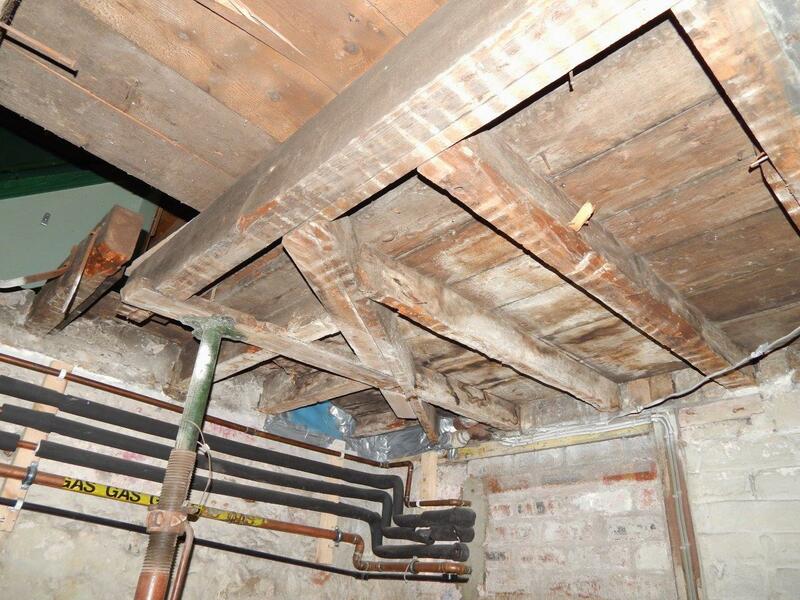 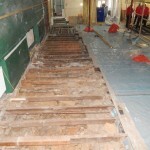 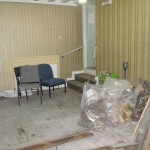 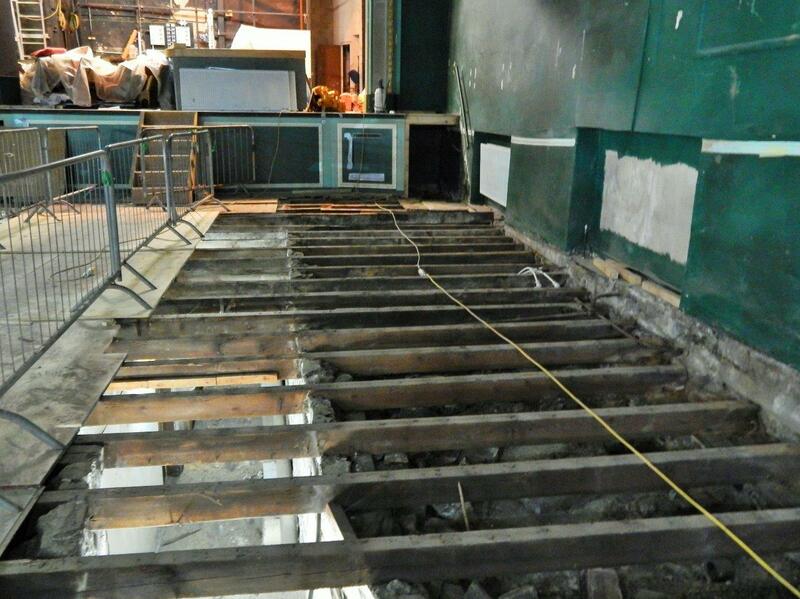 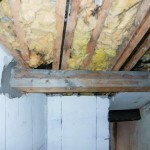 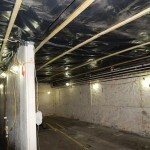 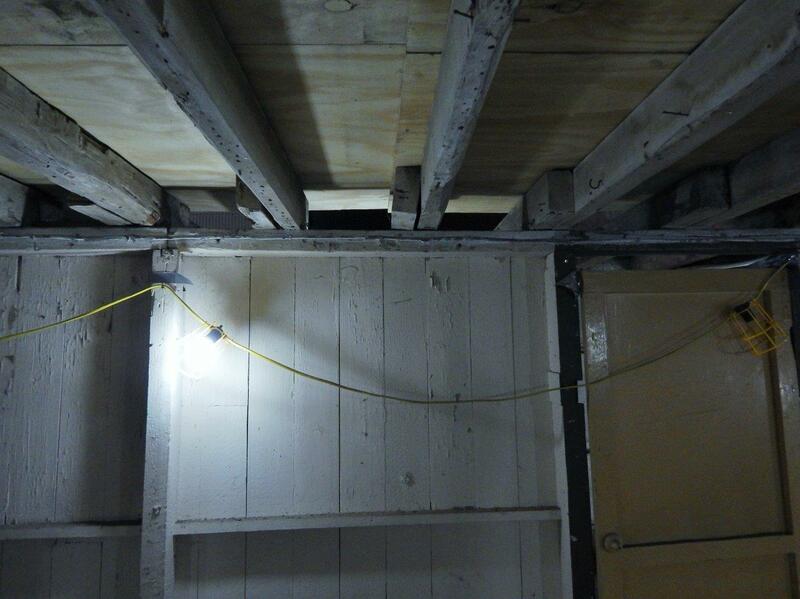 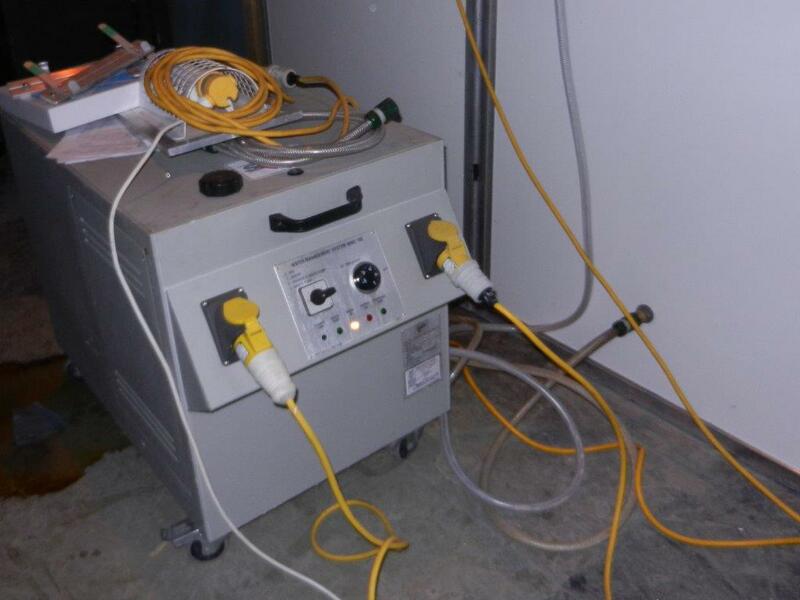 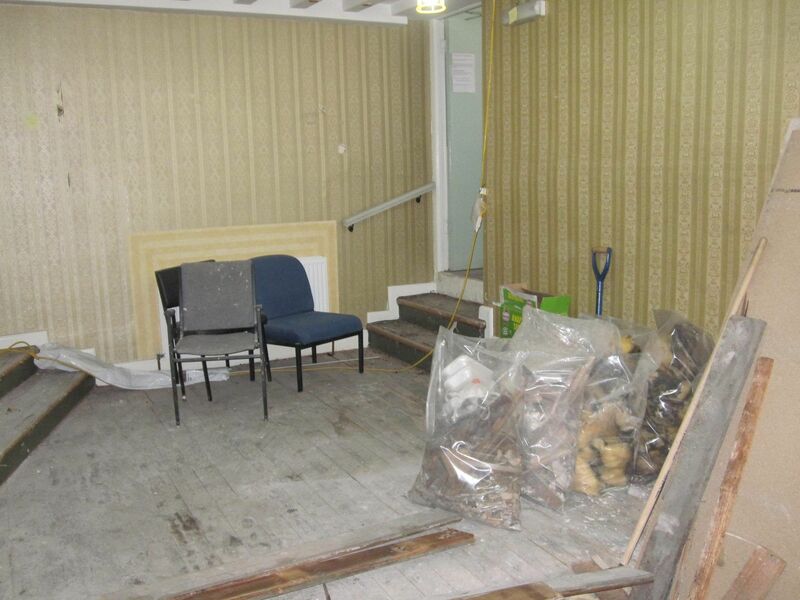 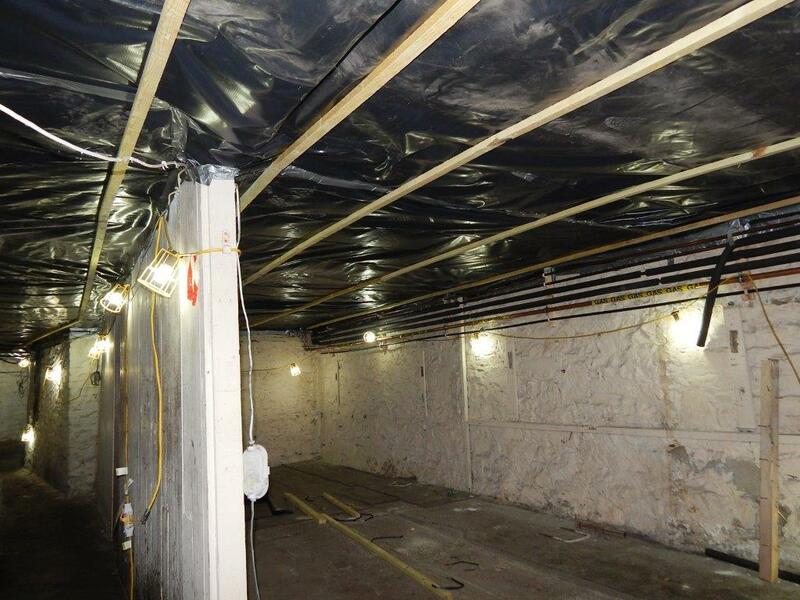 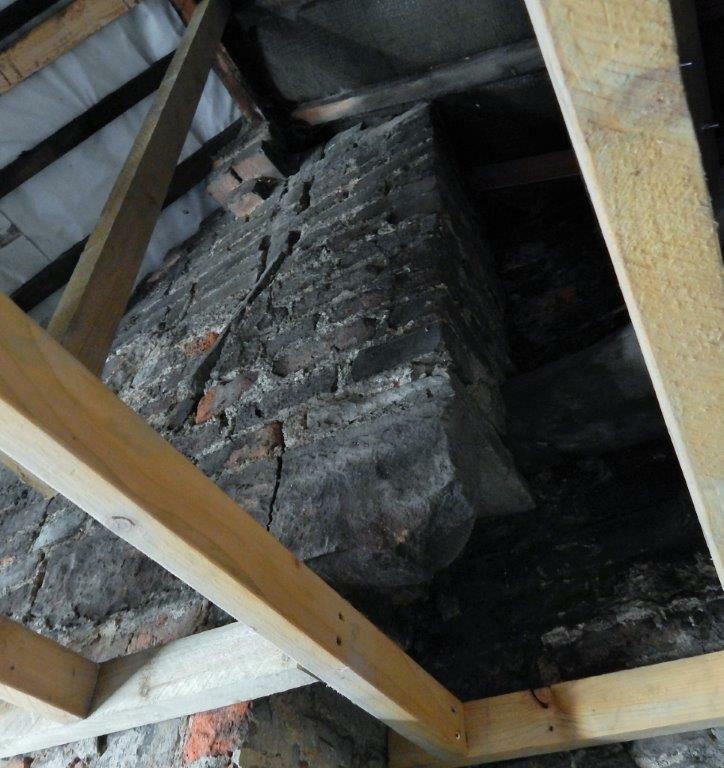 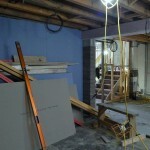 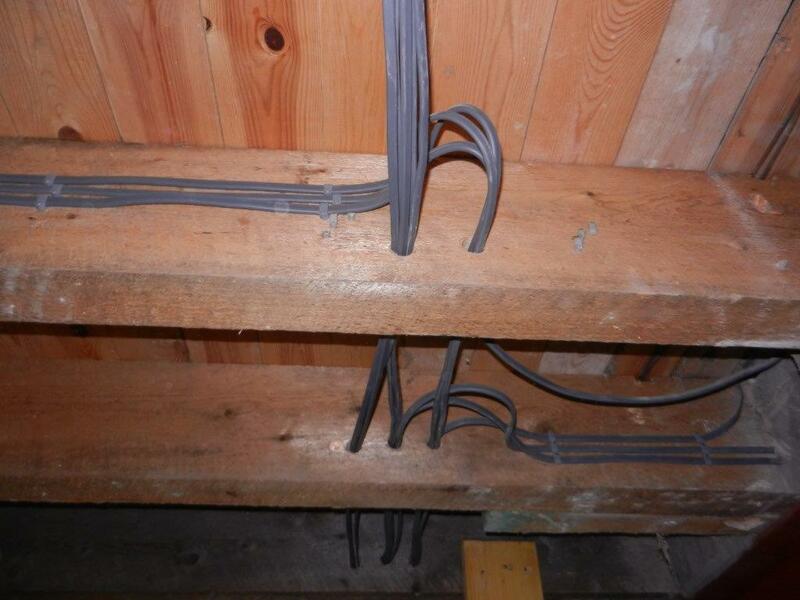 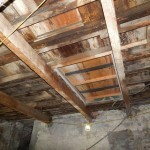 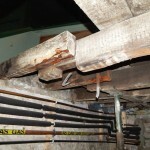 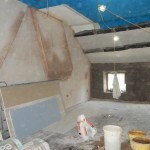 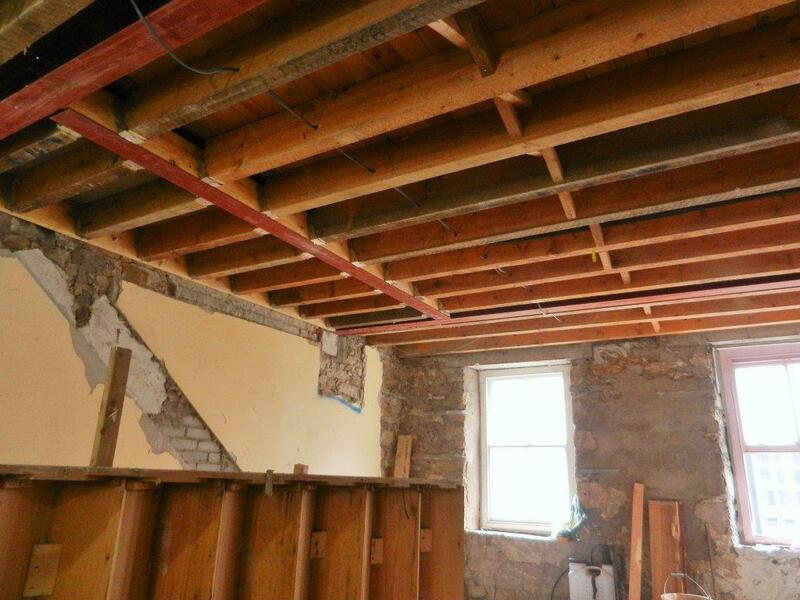 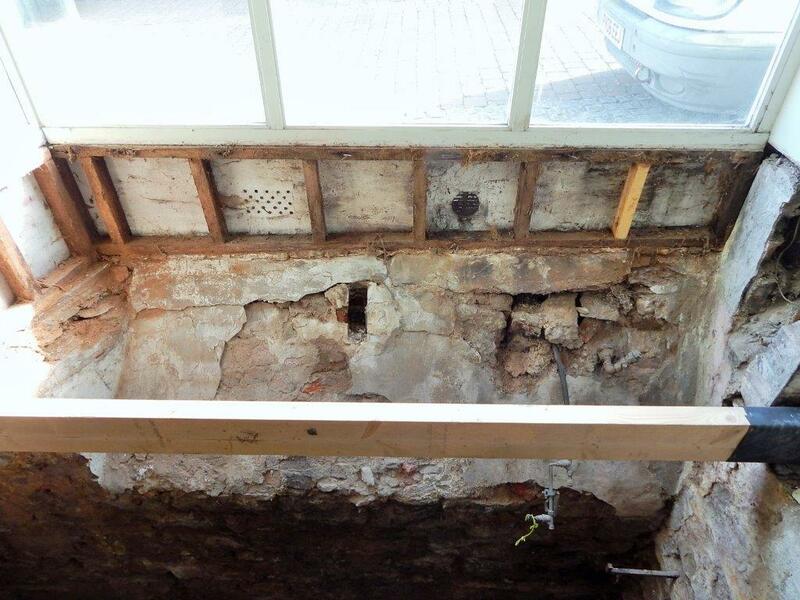 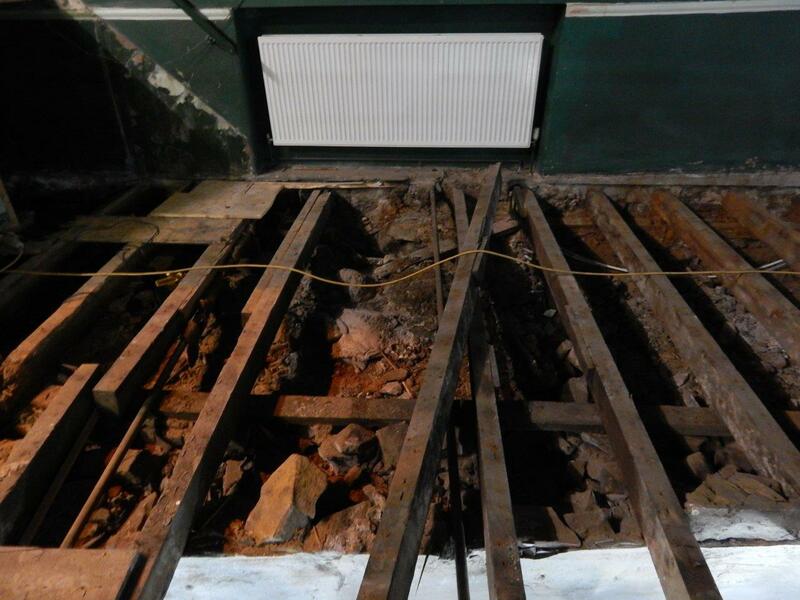 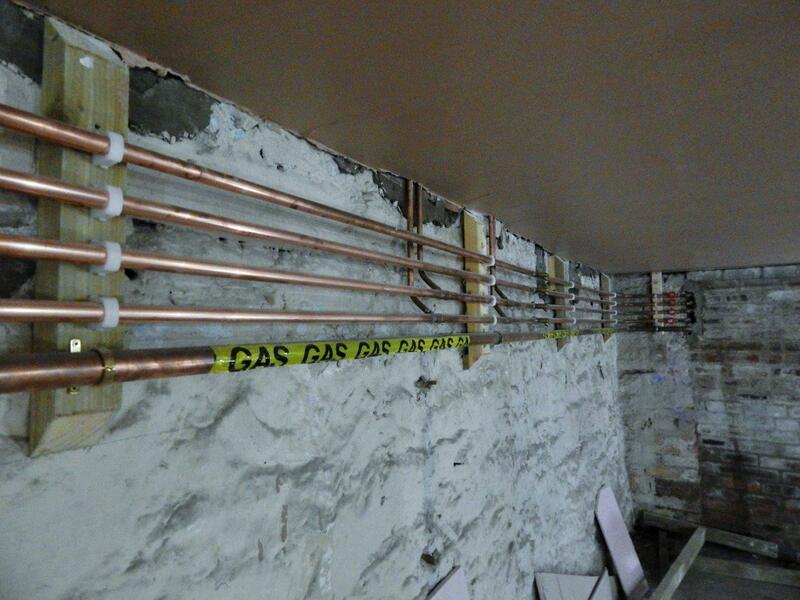 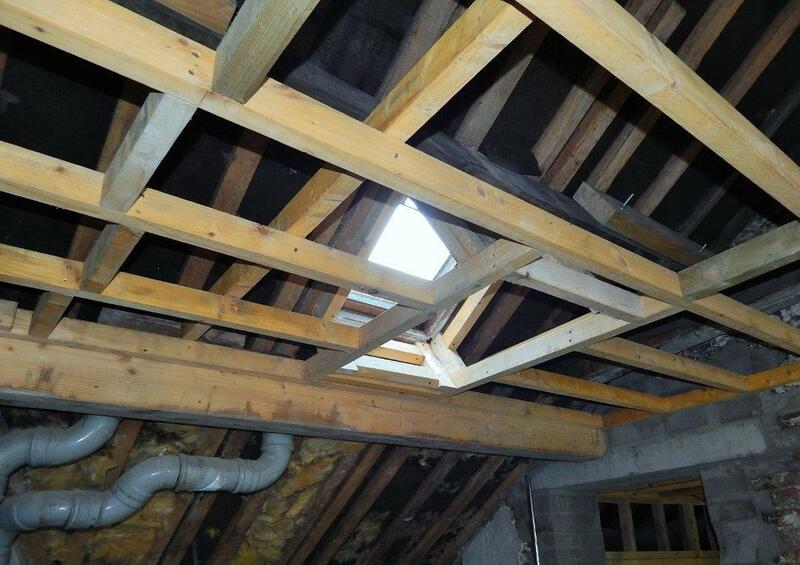 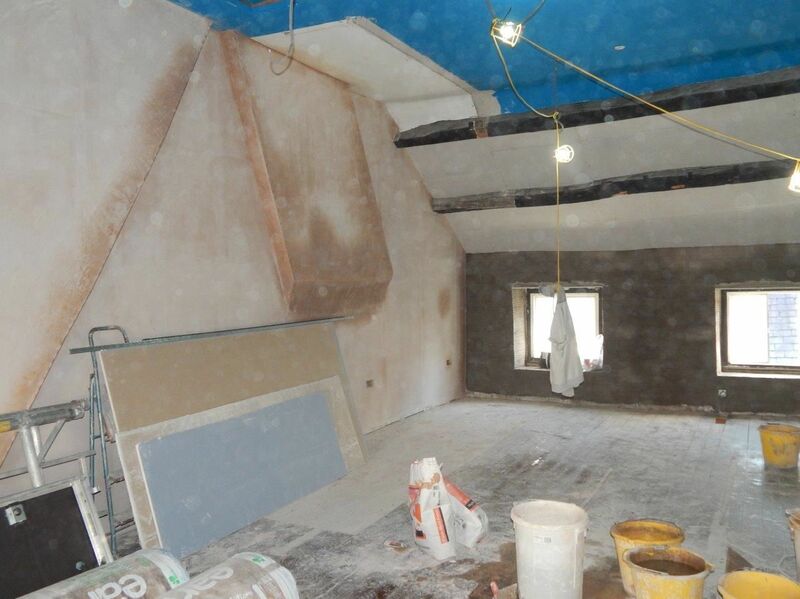 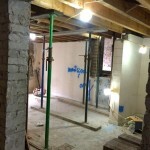 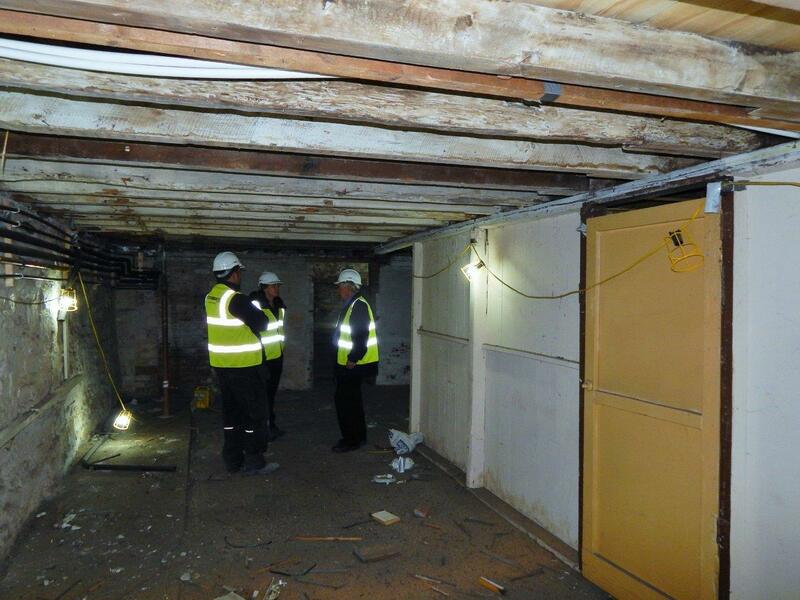 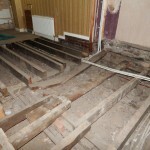 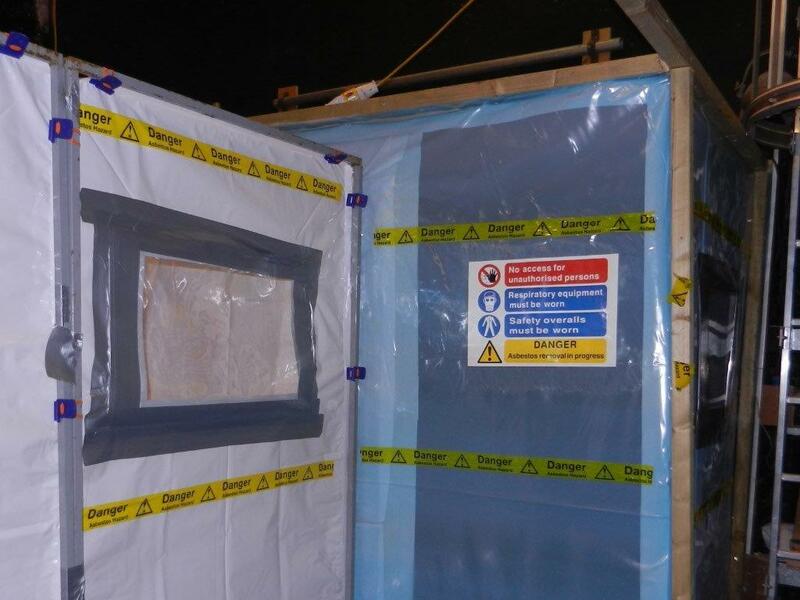 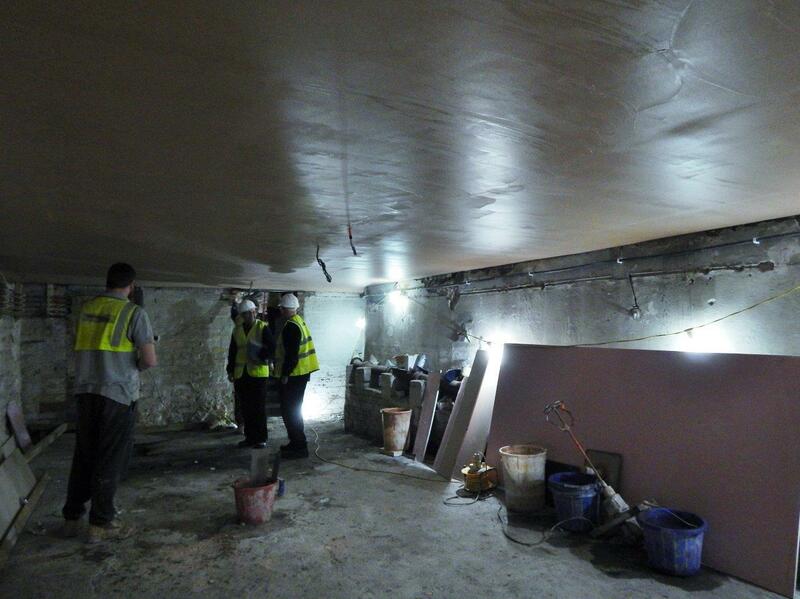 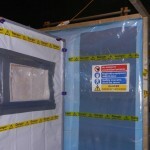 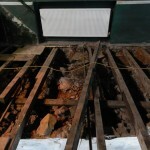 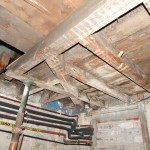 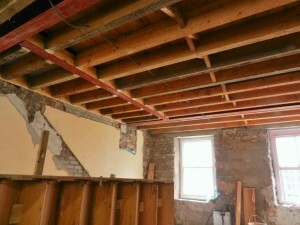 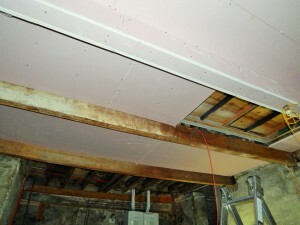 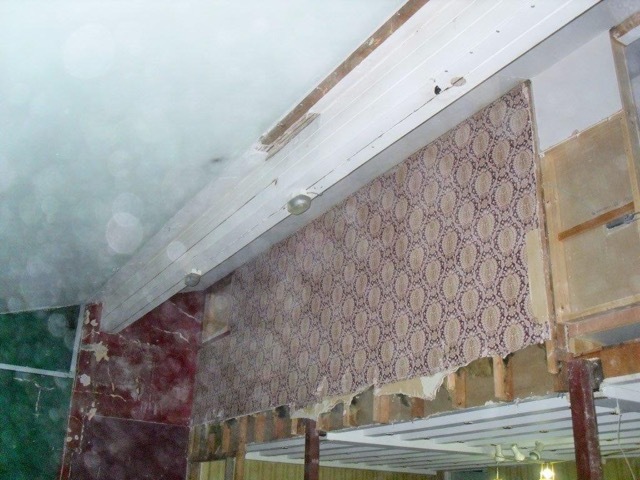 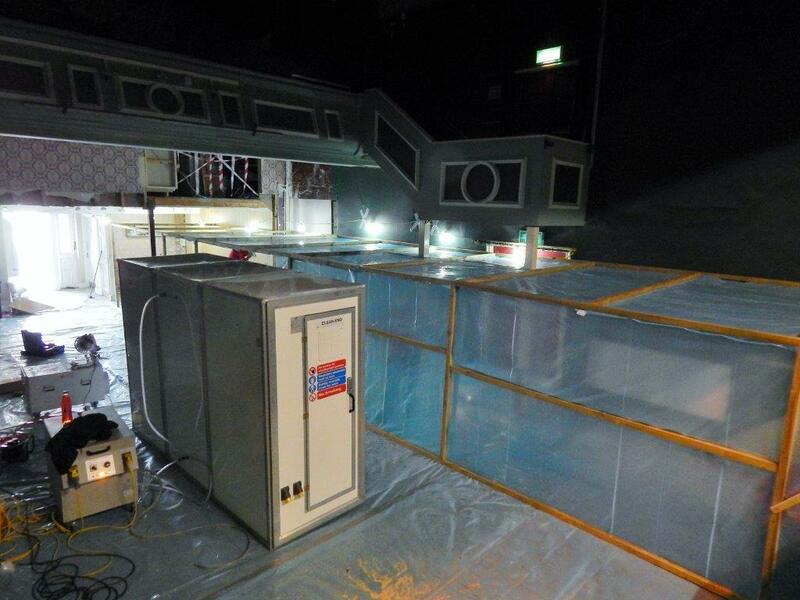 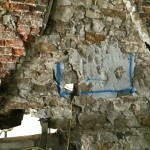 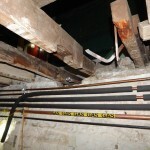 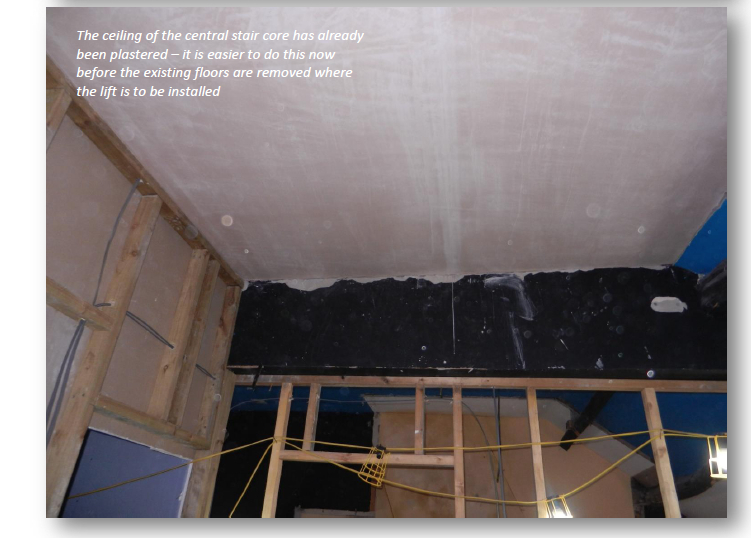 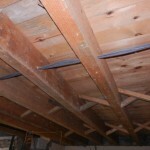 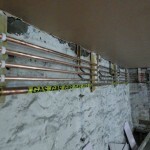 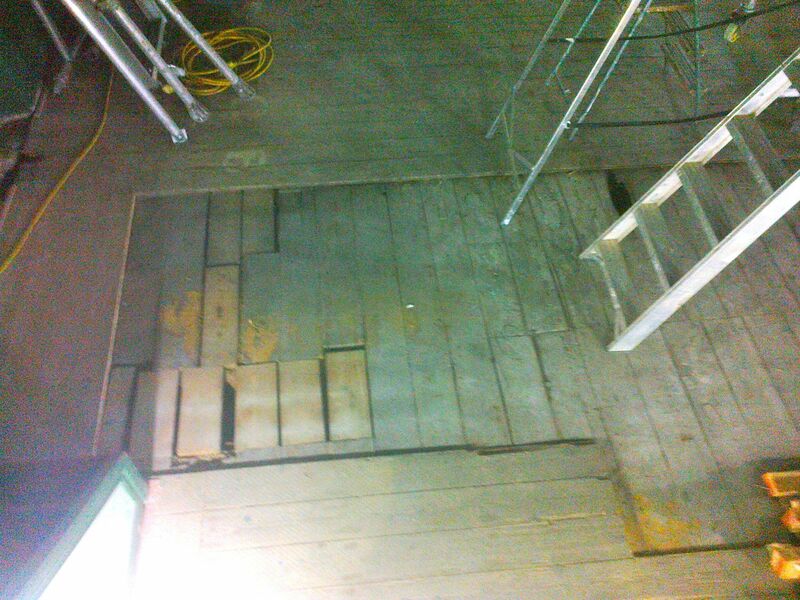 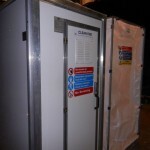 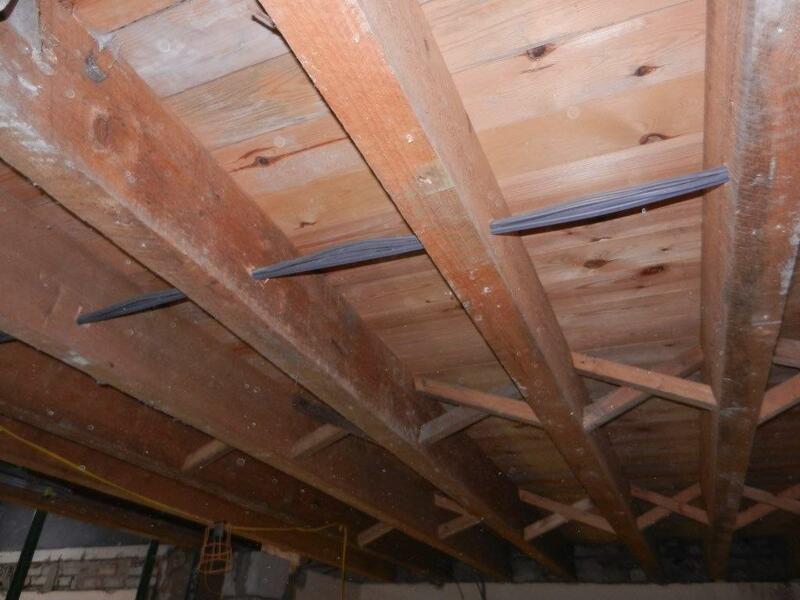 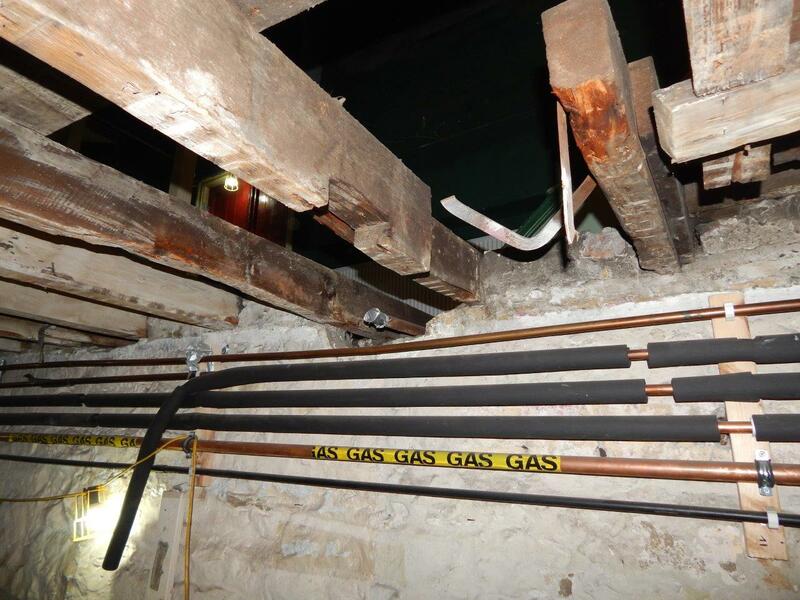 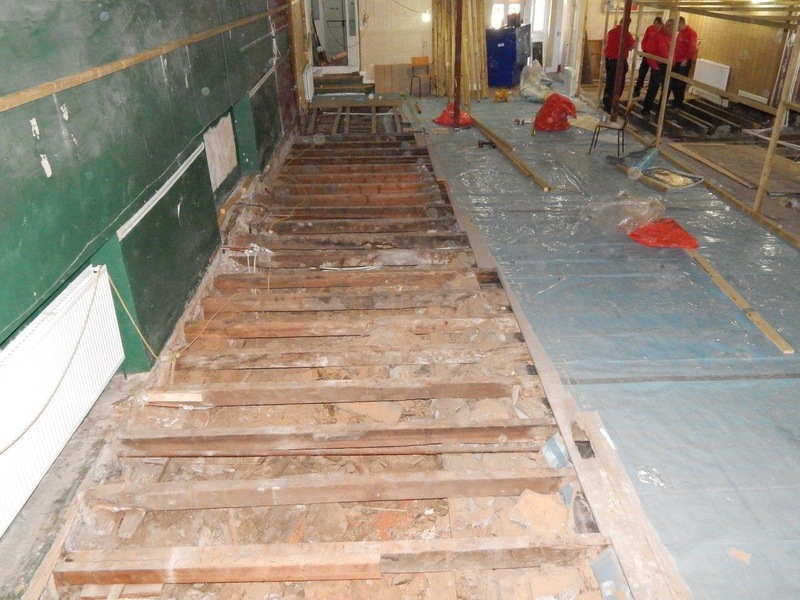 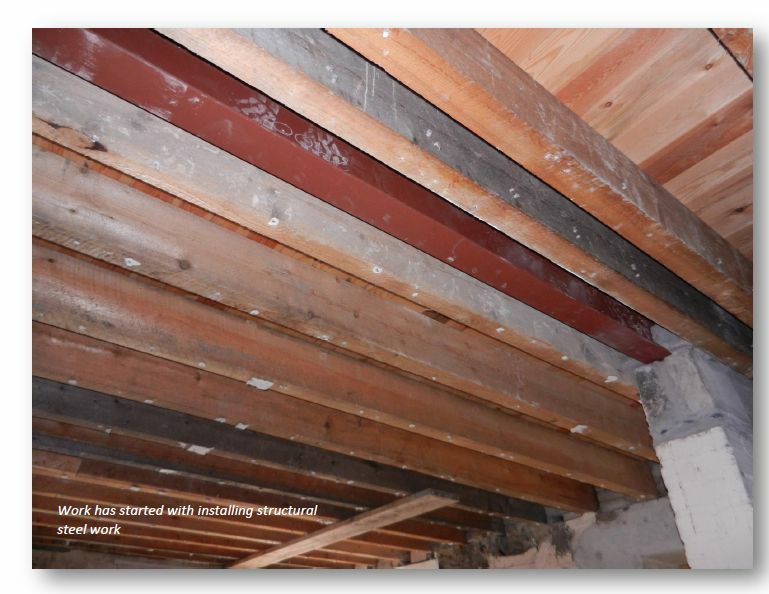 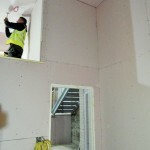 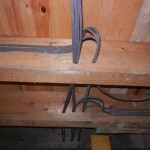 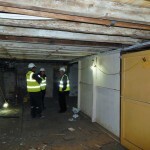 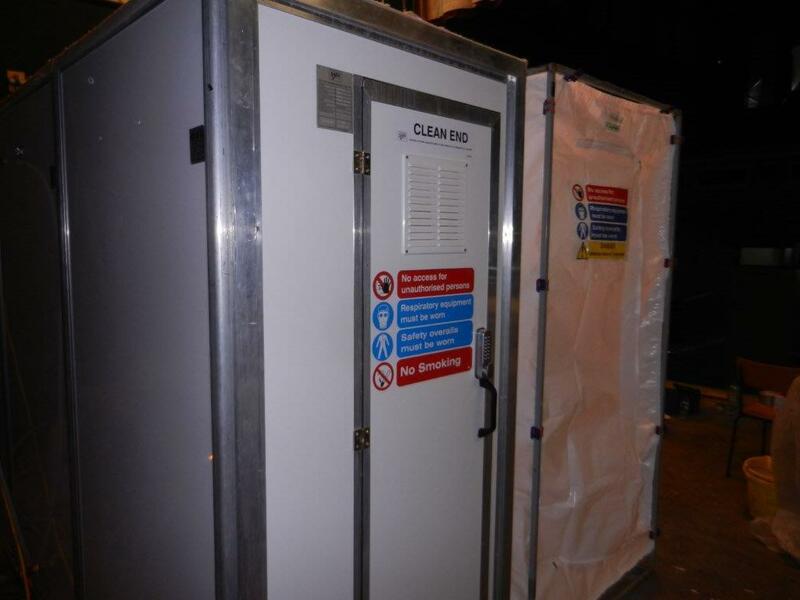 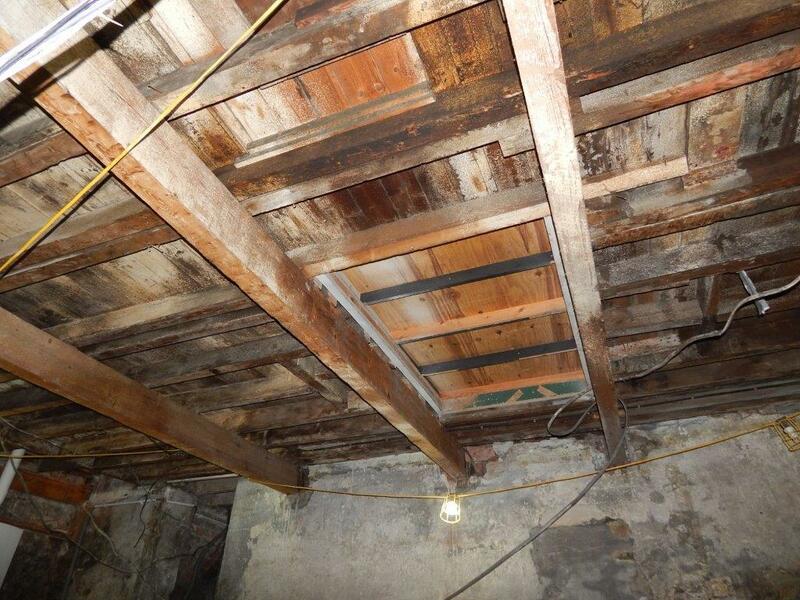 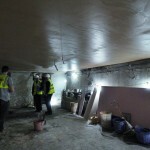 West Coast Thermal have removed the asbestos from the basement. 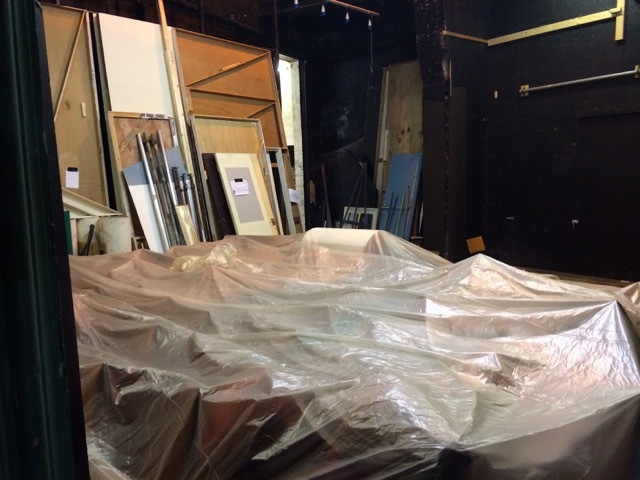 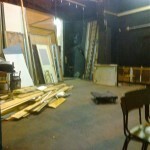 Workshop is being moved into the Props Store by the Stage Crew. 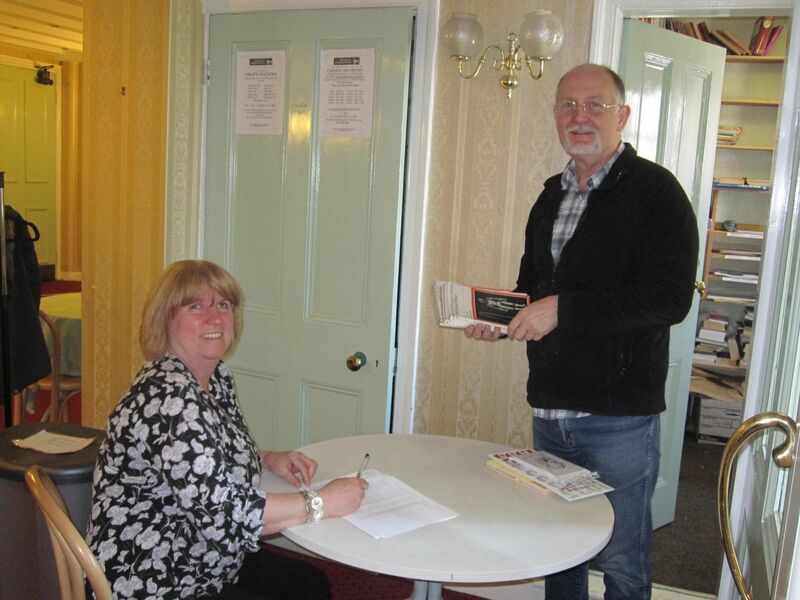 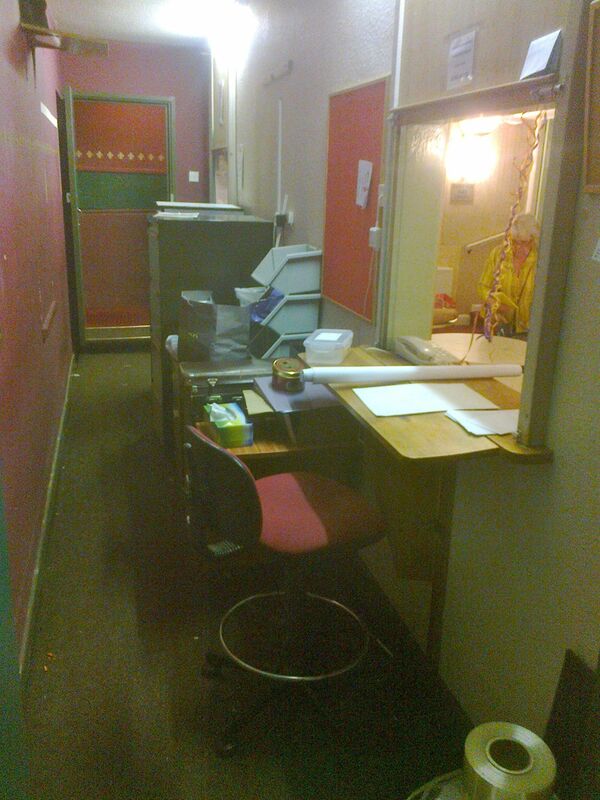 Scripts housed in the front office are being sorted through and the Script Catalogue updated. 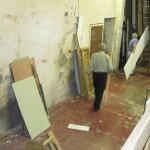 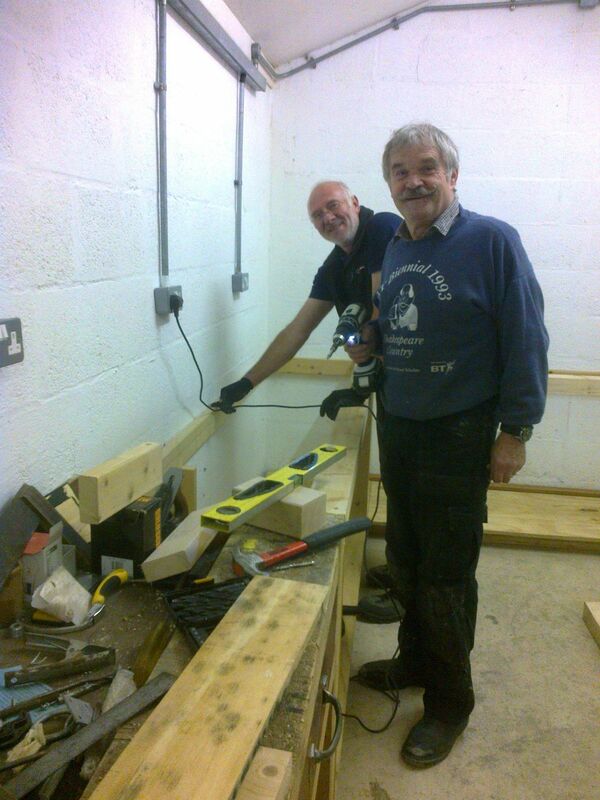 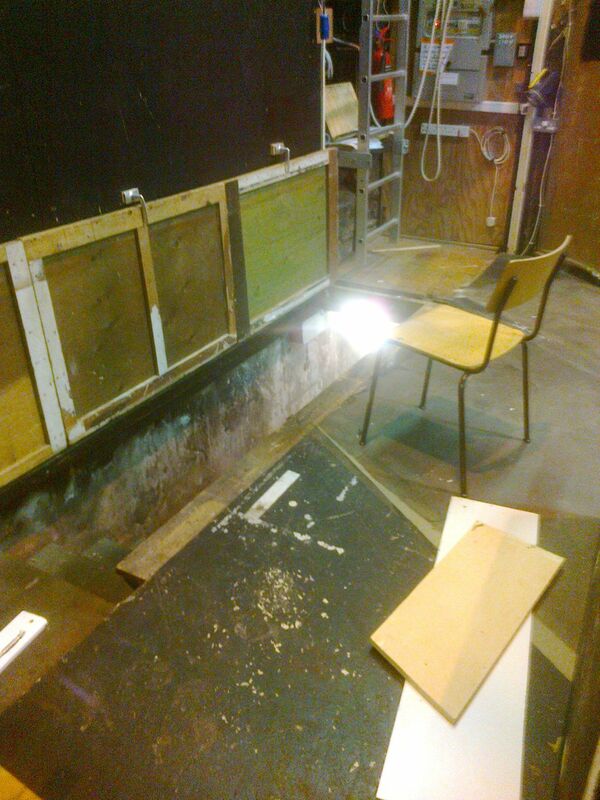 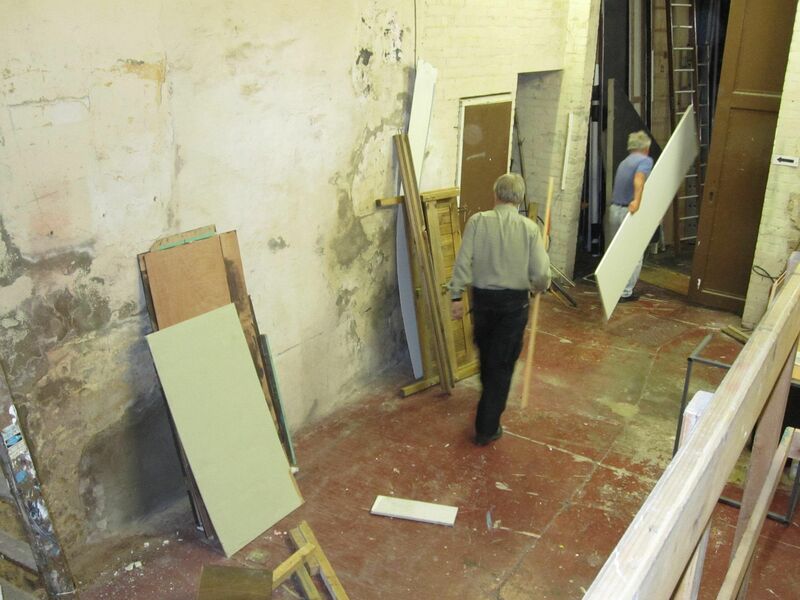 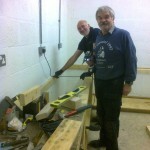 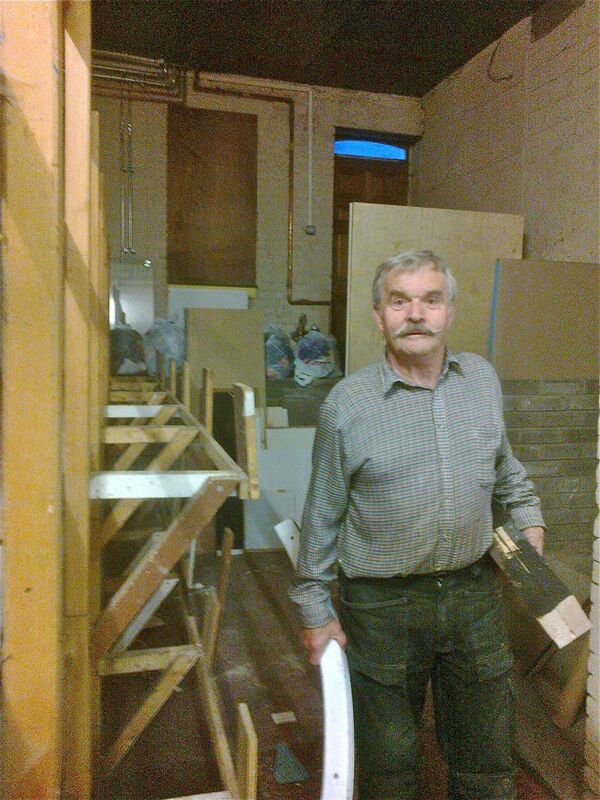 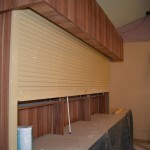 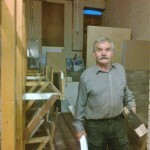 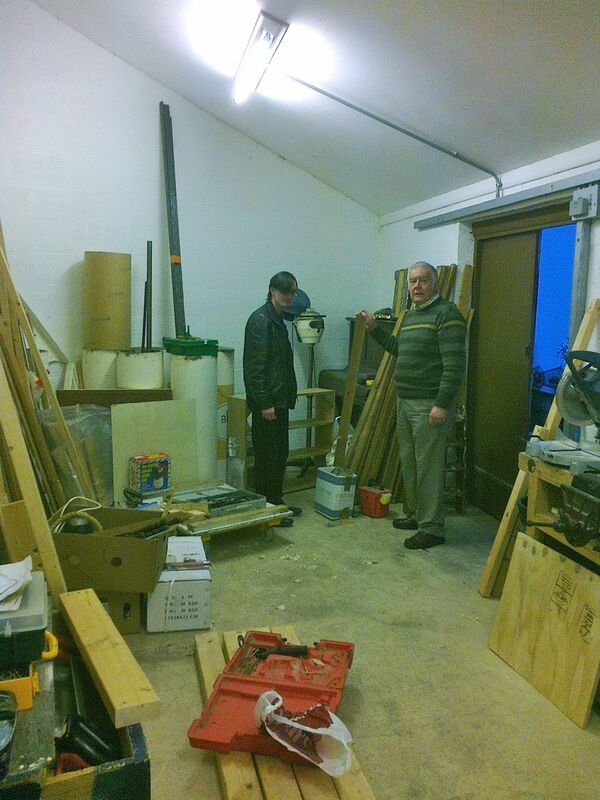 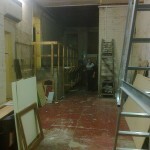 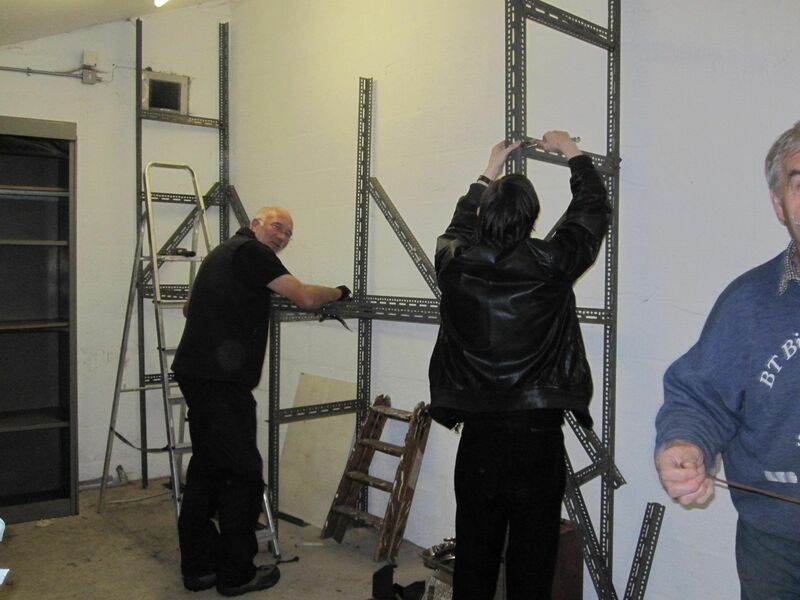 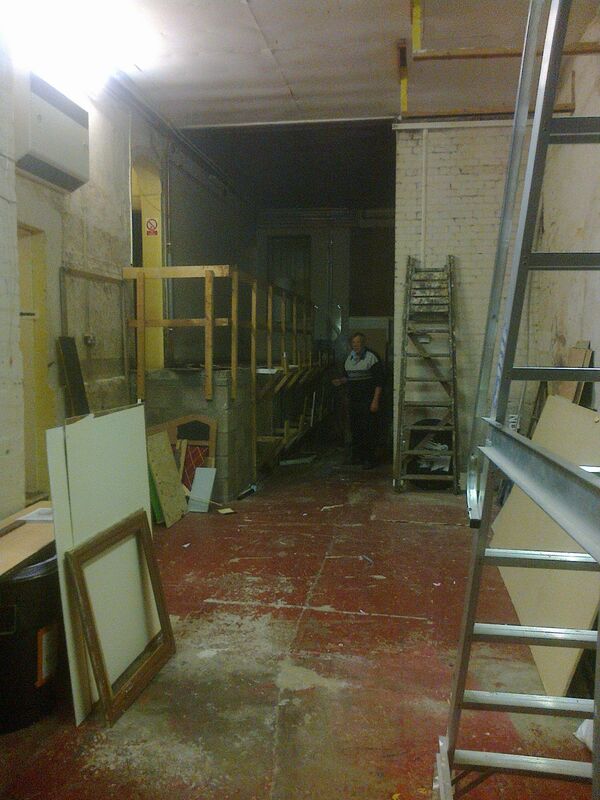 Stage Crew are fitting out the new workshop. 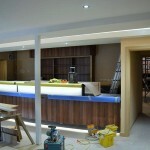 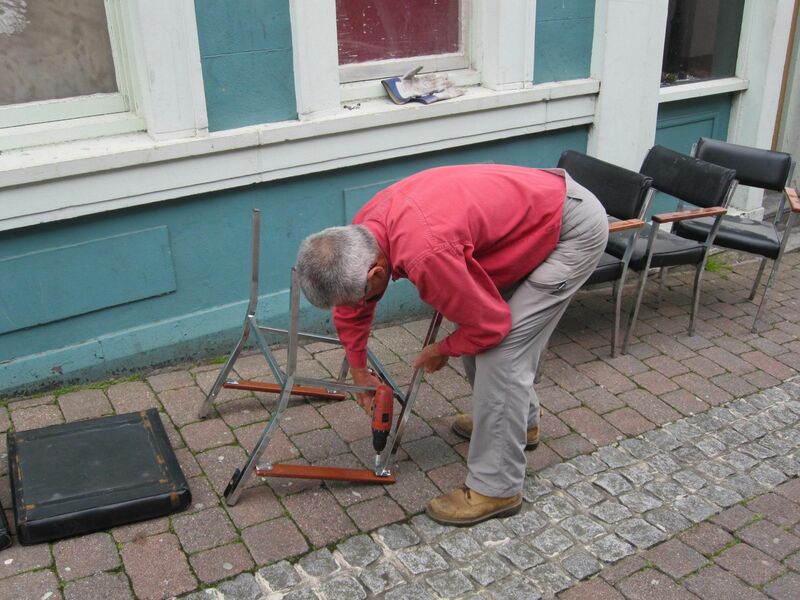 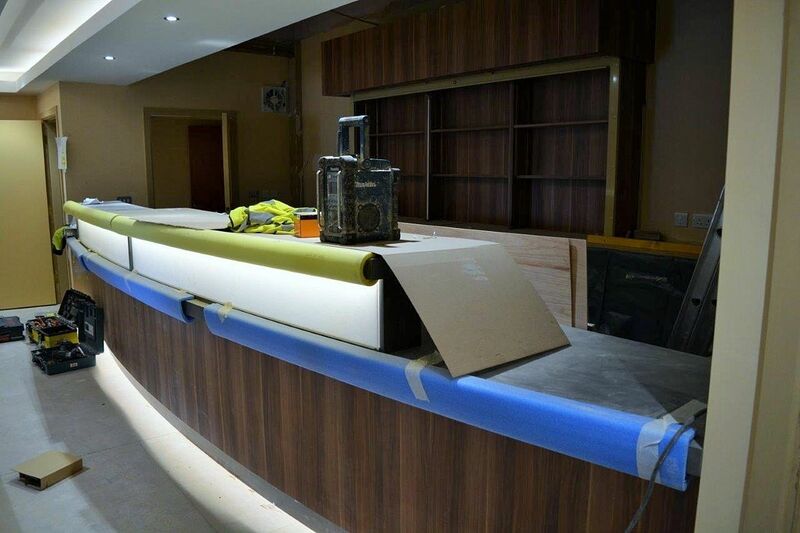 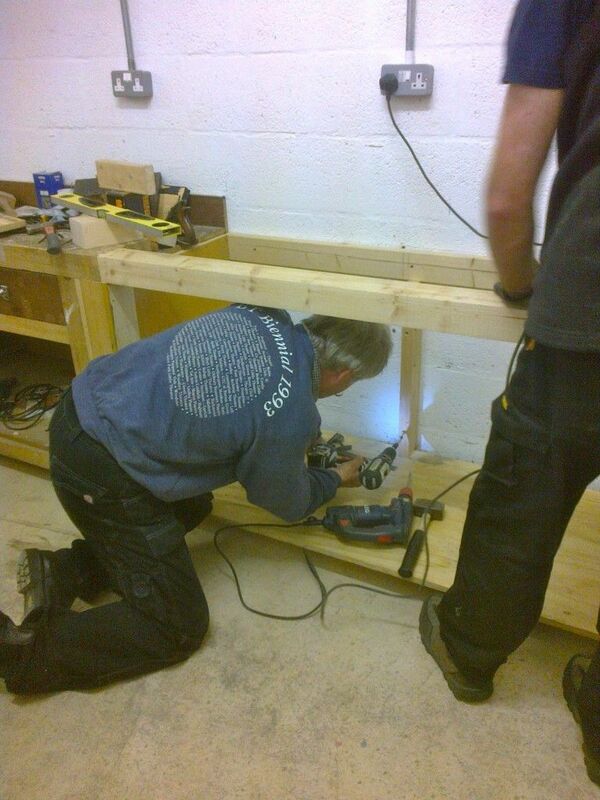 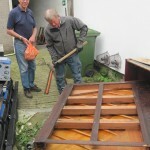 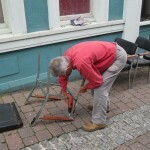 Work bench being fitted. 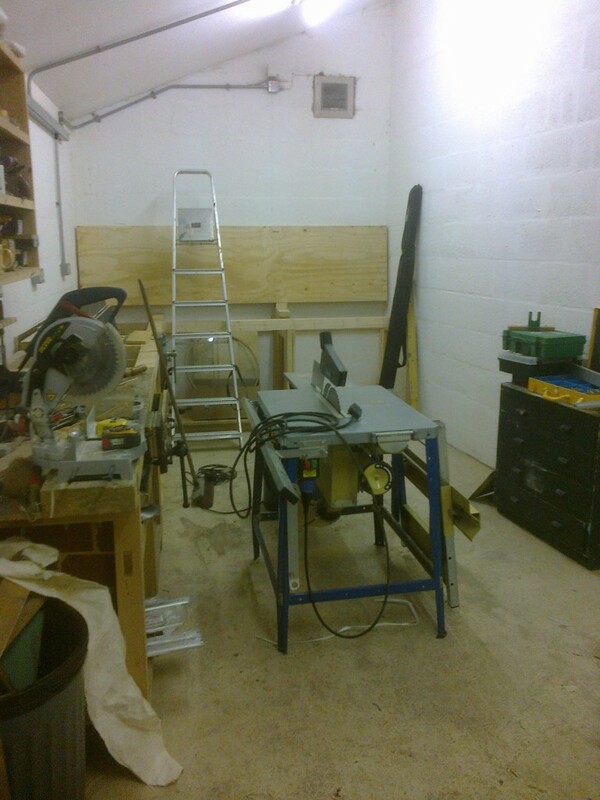 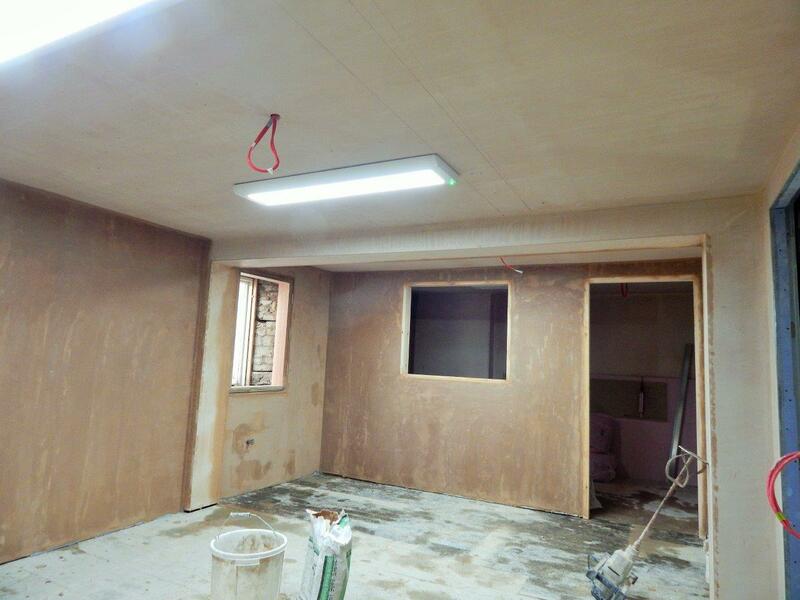 The new workshop is looking really good! 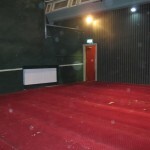 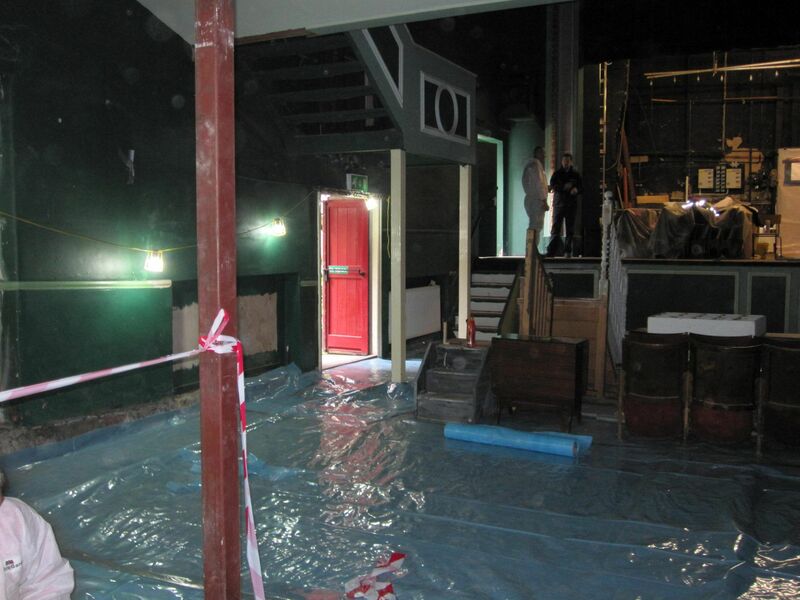 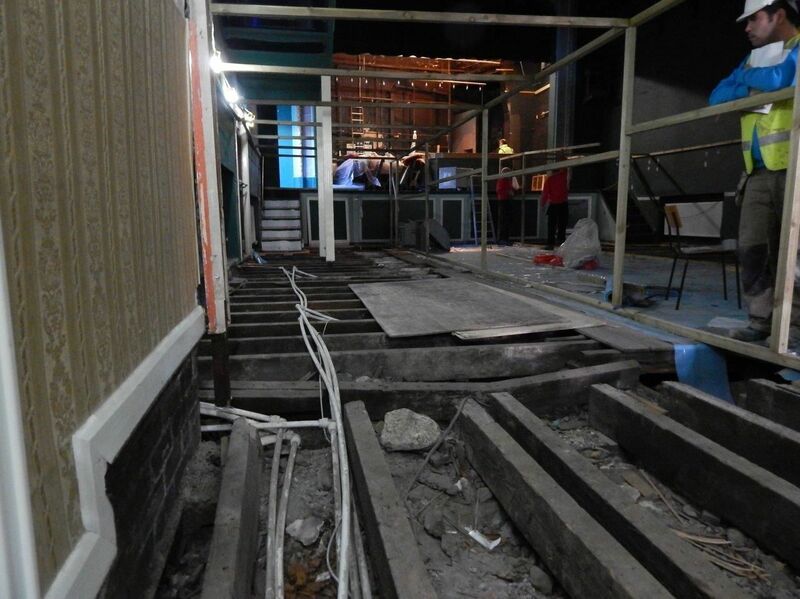 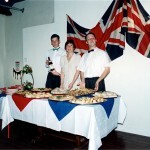 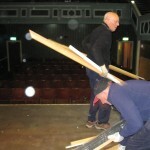 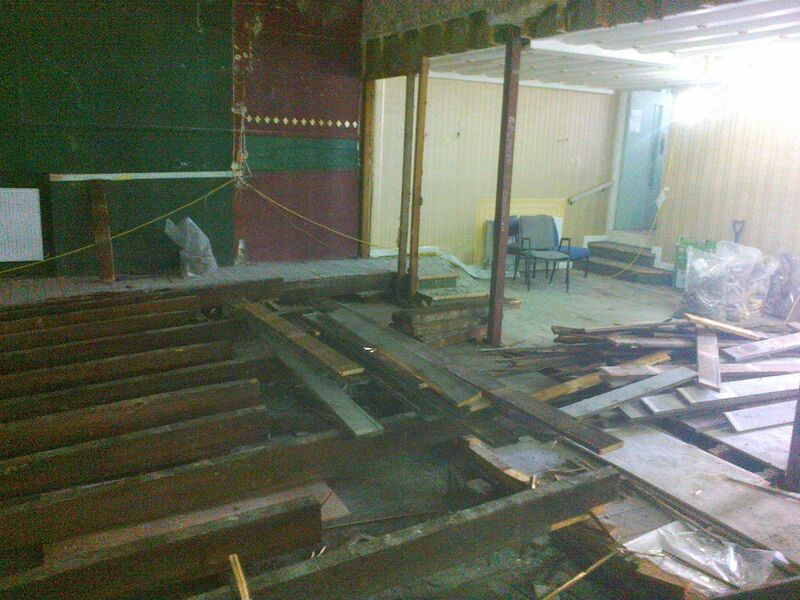 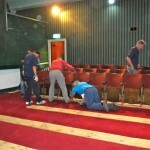 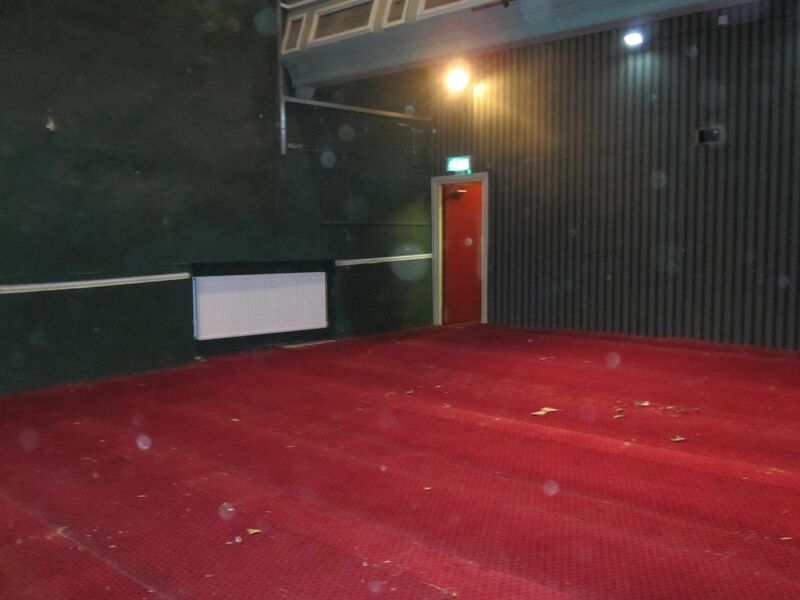 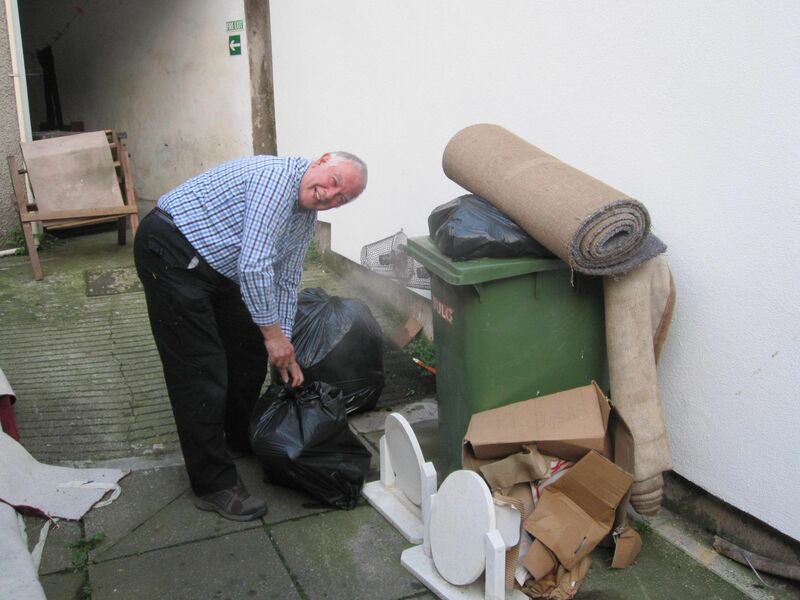 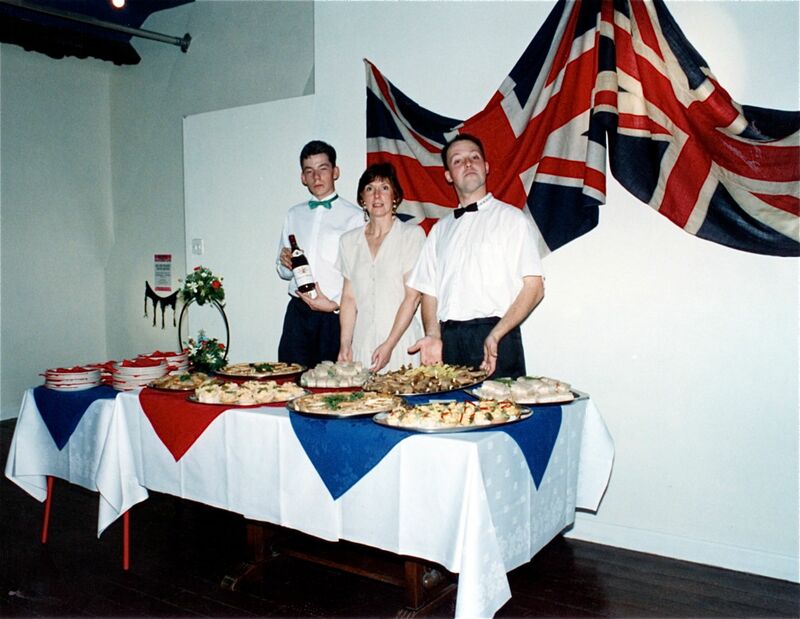 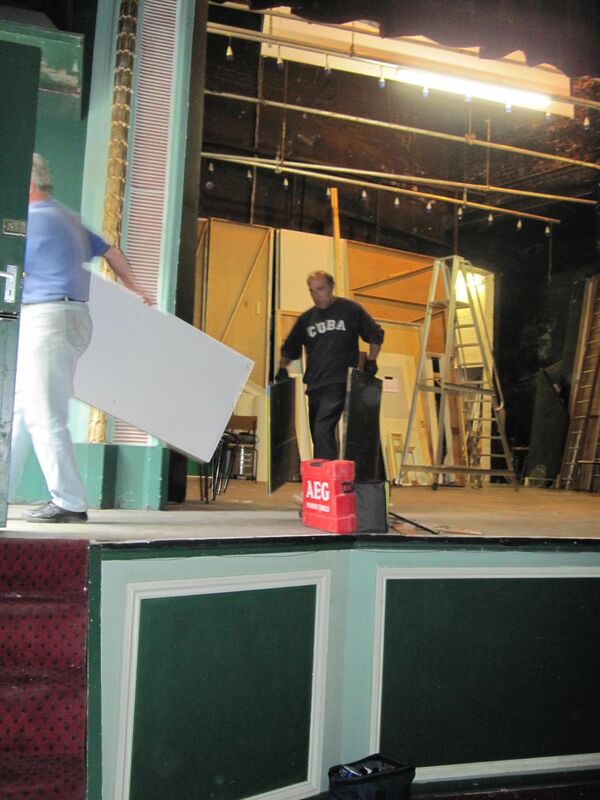 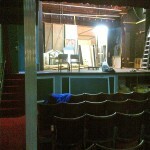 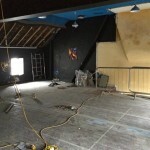 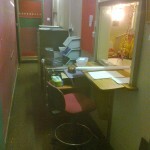 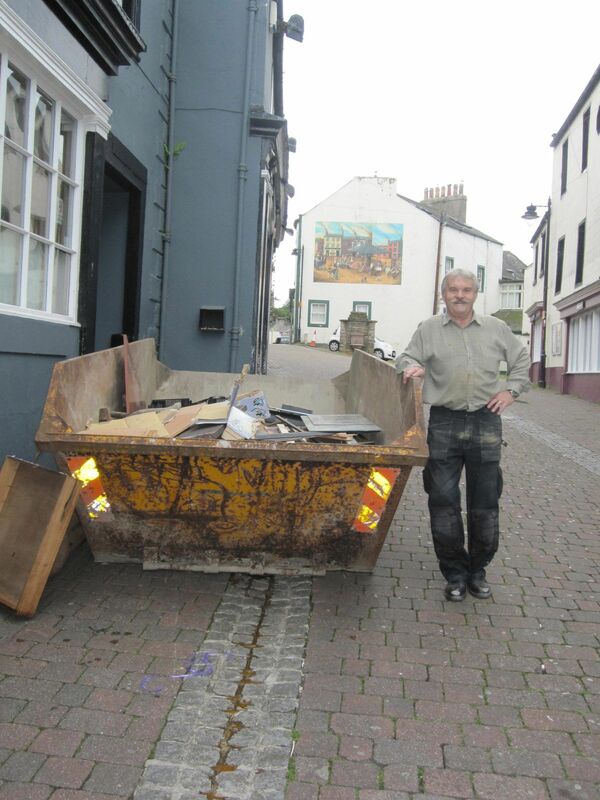 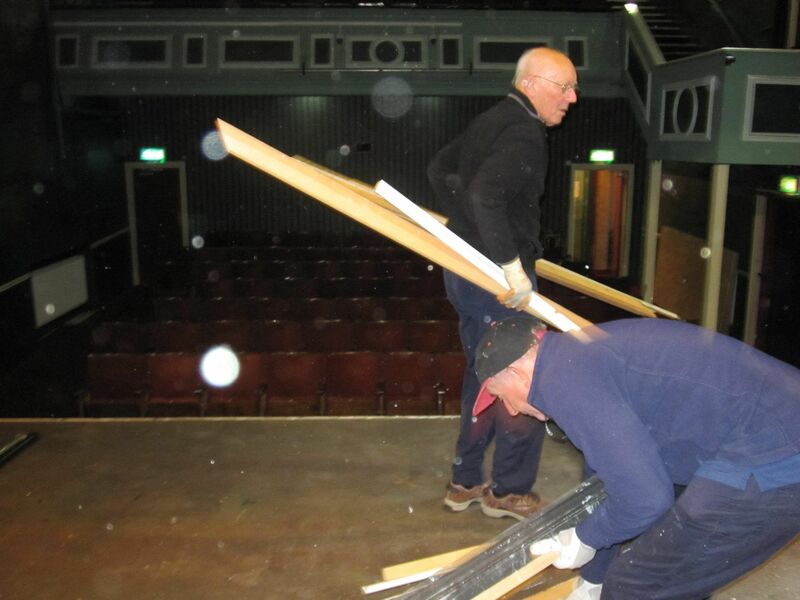 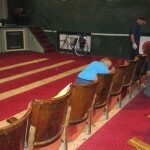 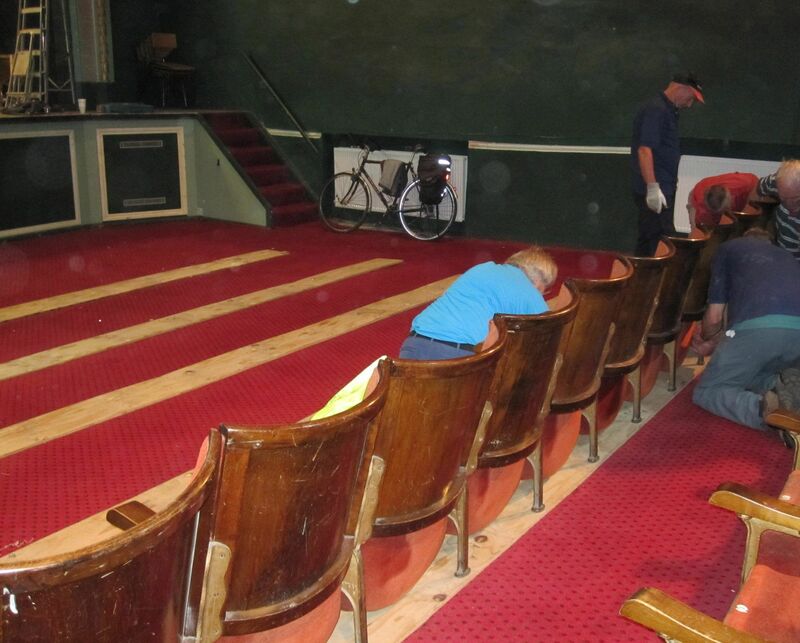 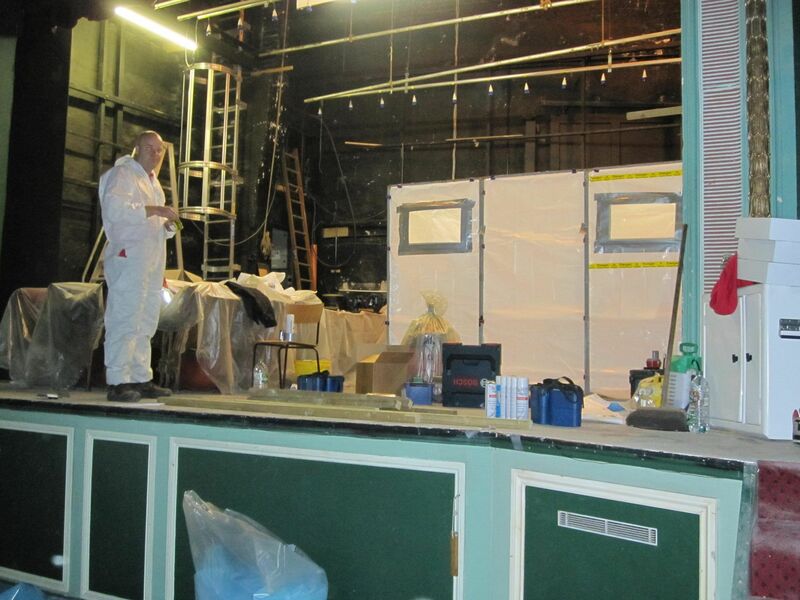 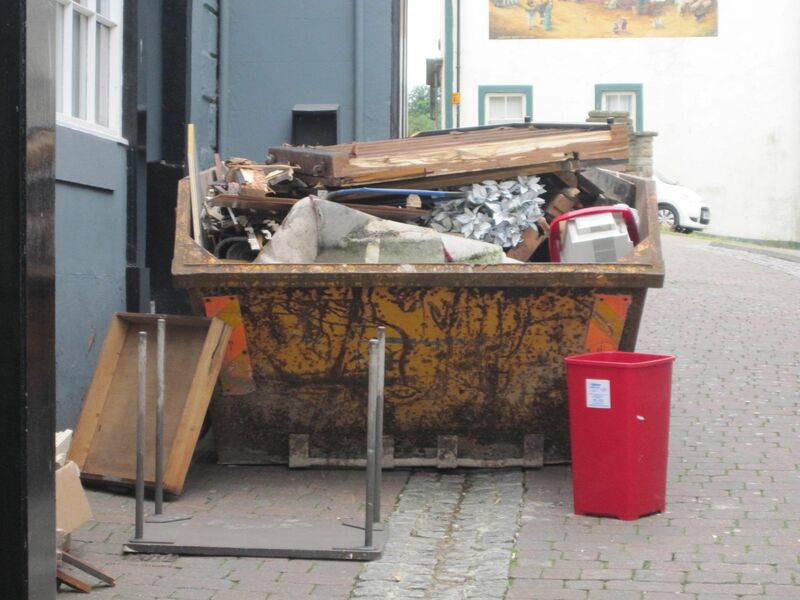 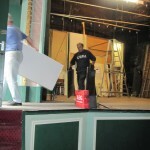 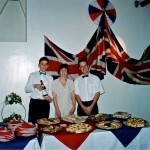 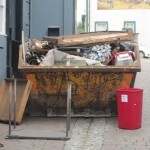 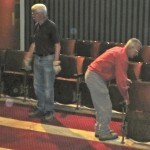 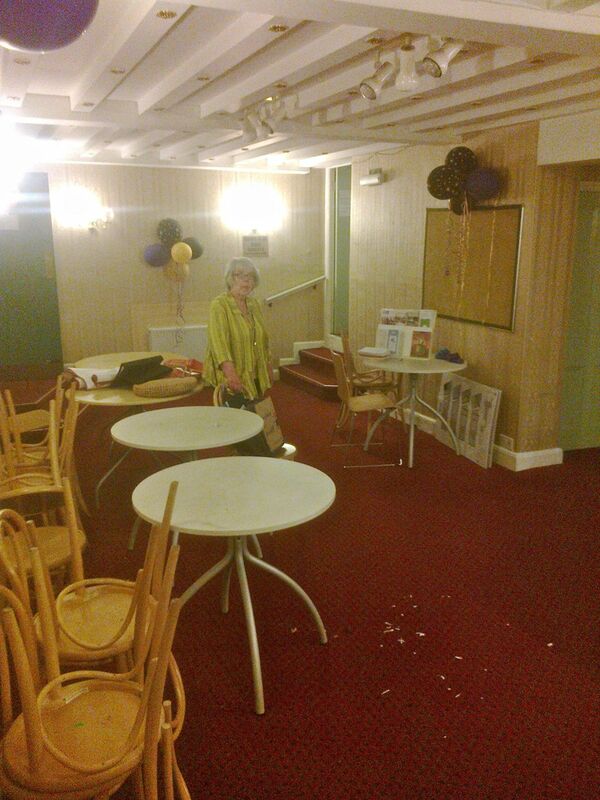 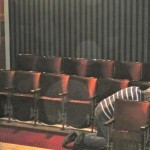 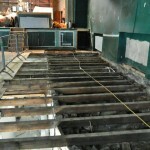 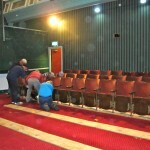 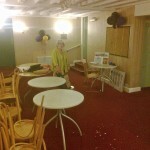 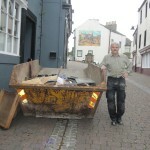 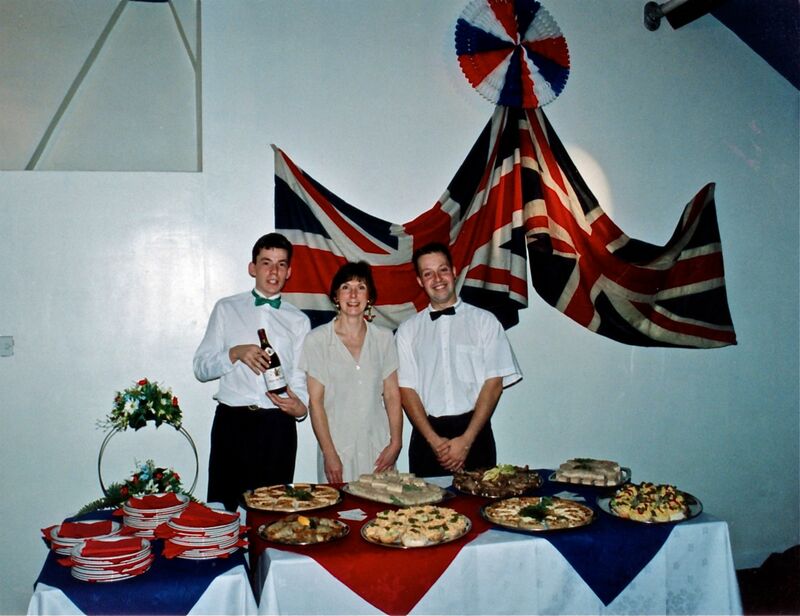 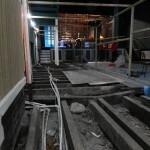 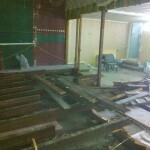 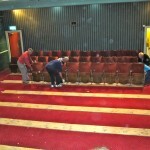 The day the theatre had to be cleared! 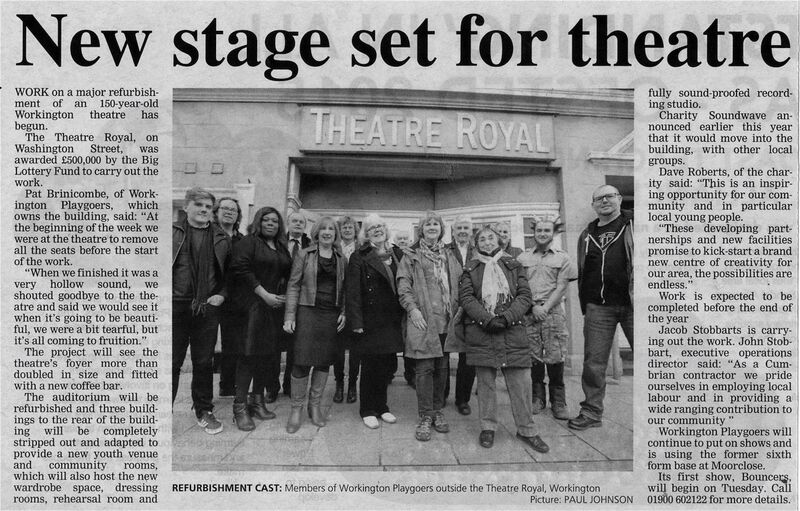 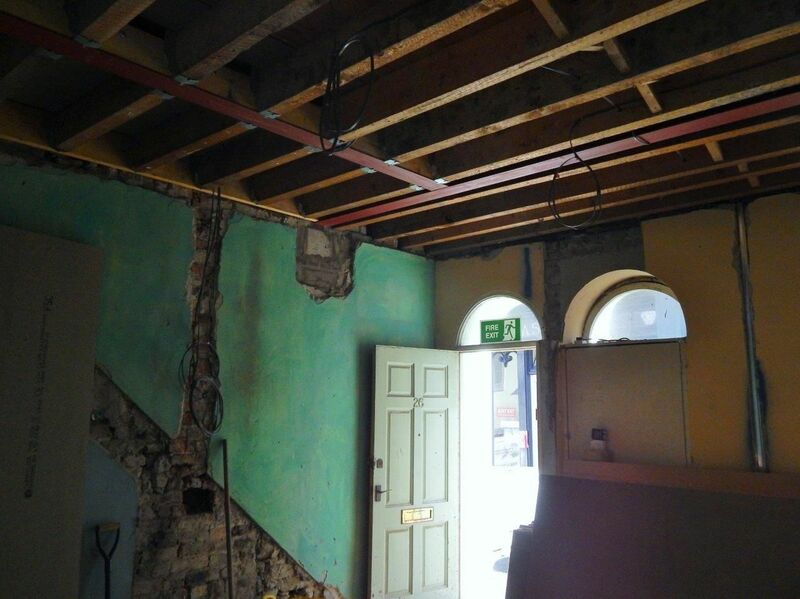 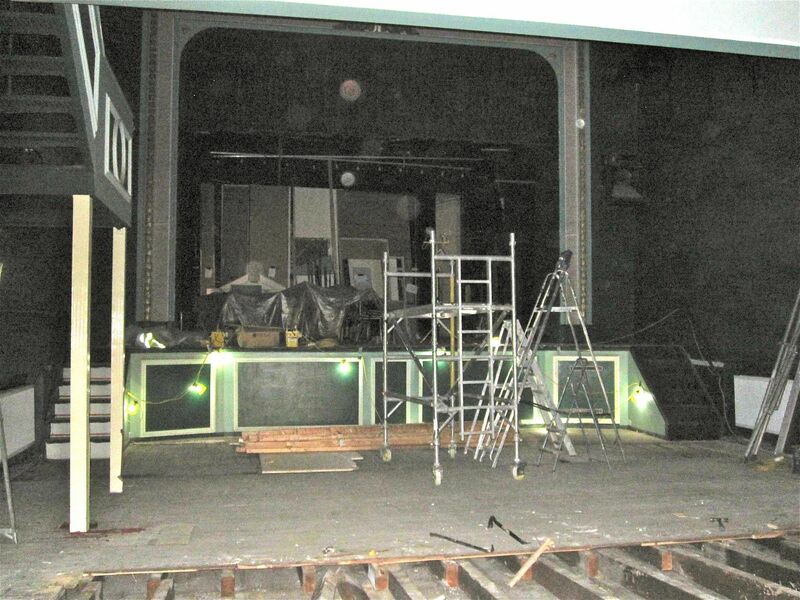 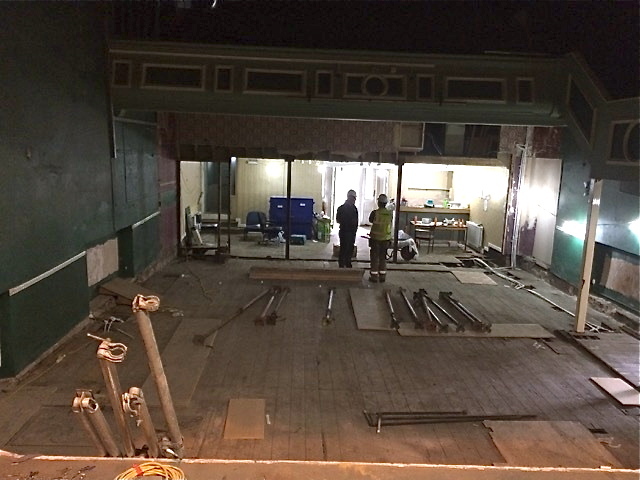 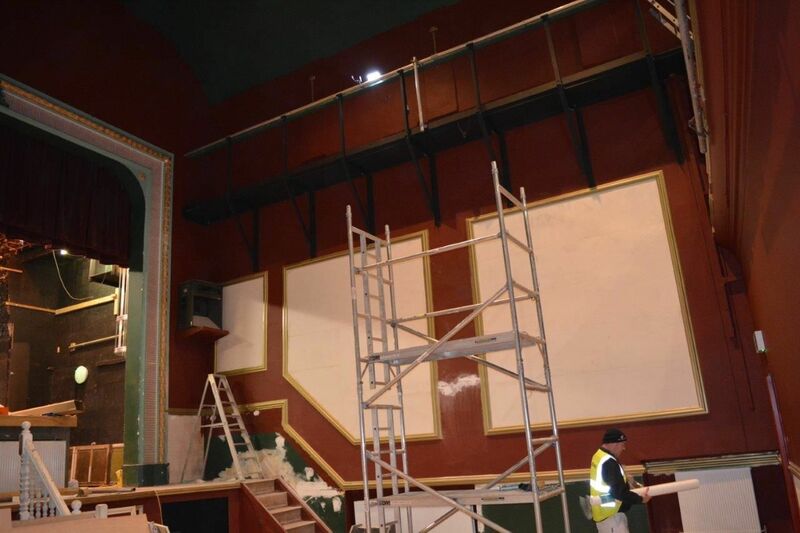 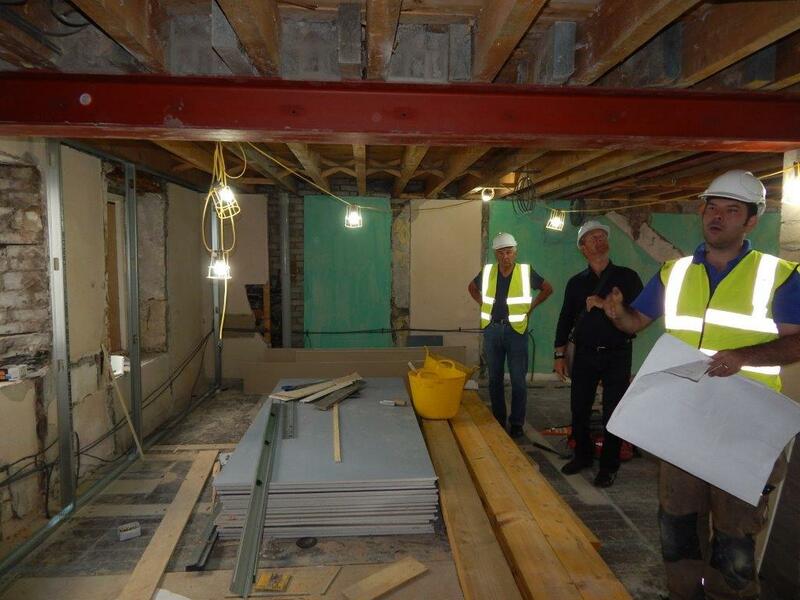 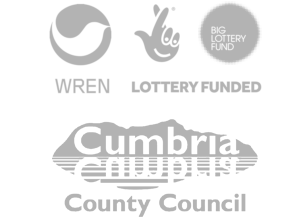 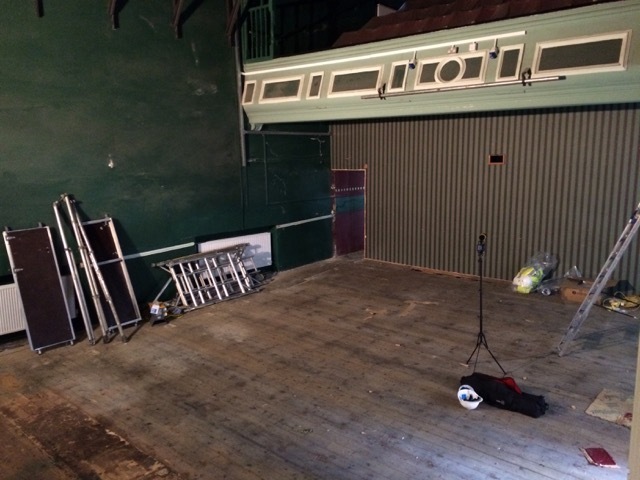 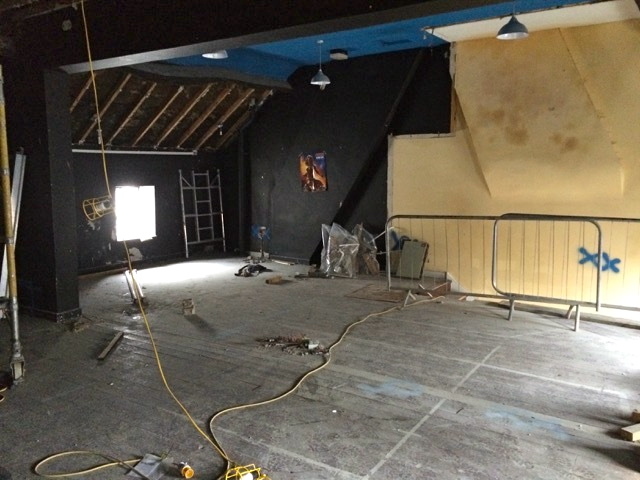 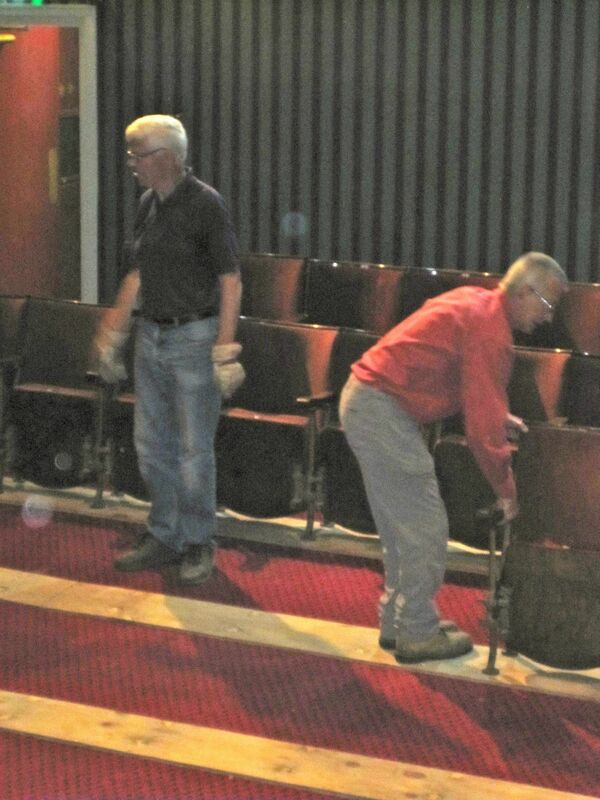 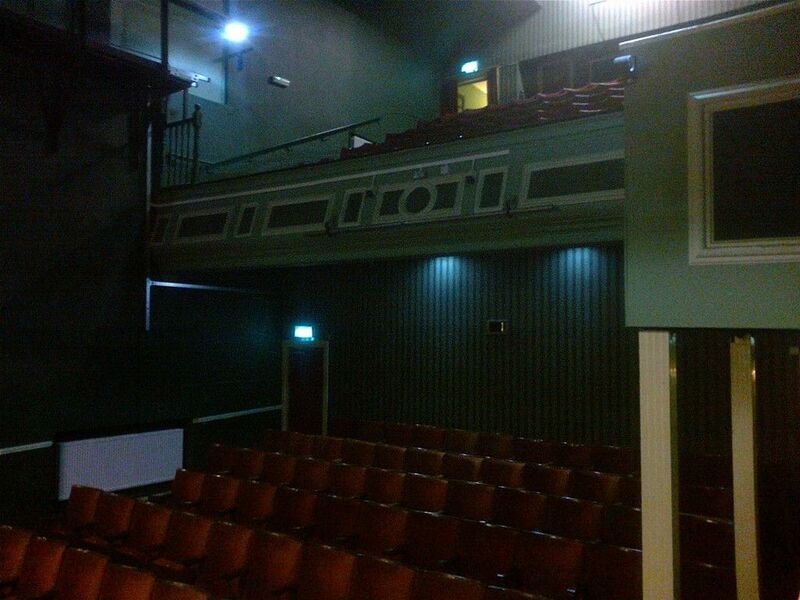 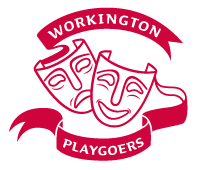 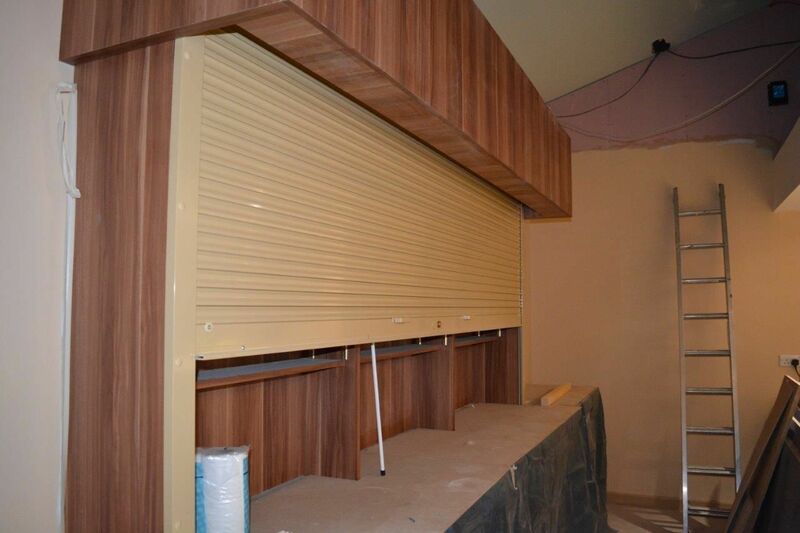 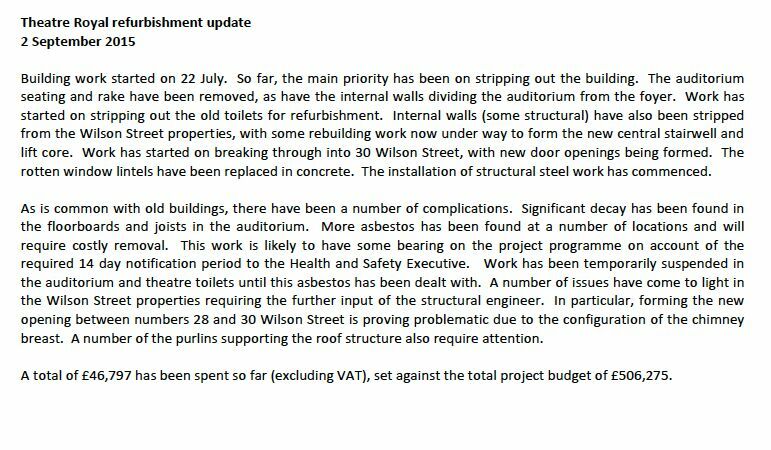 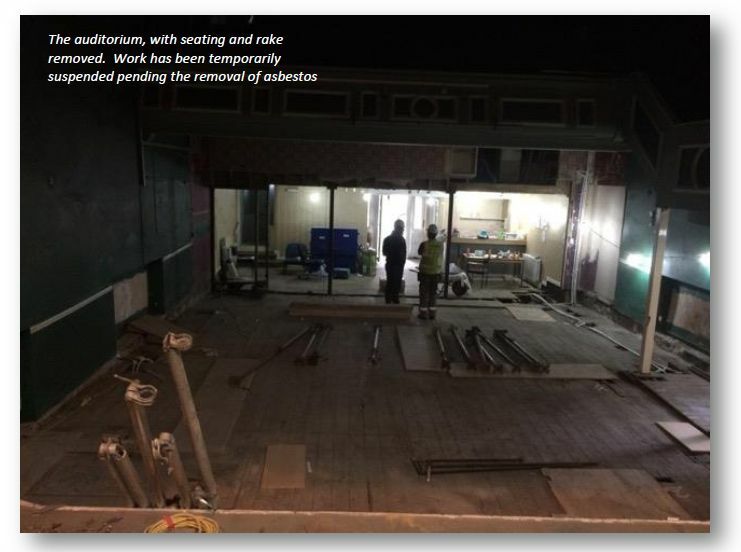 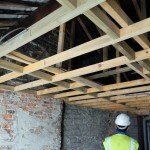 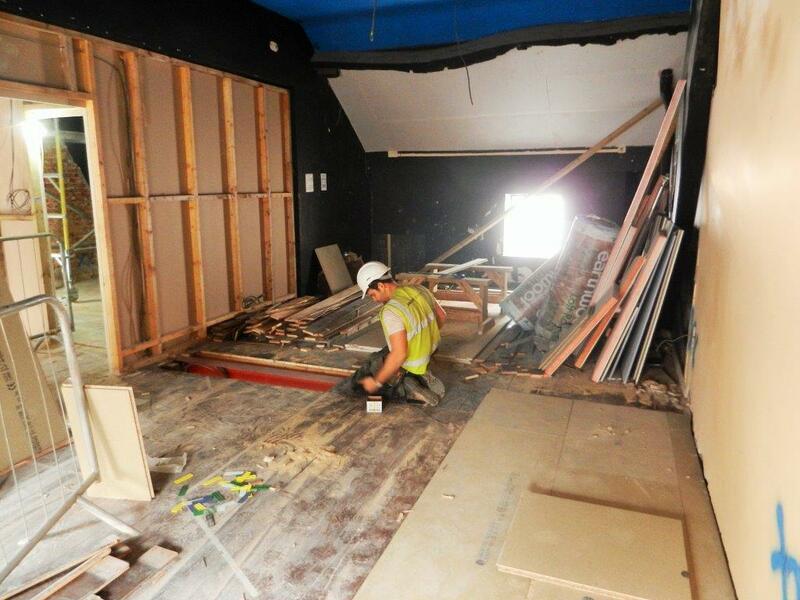 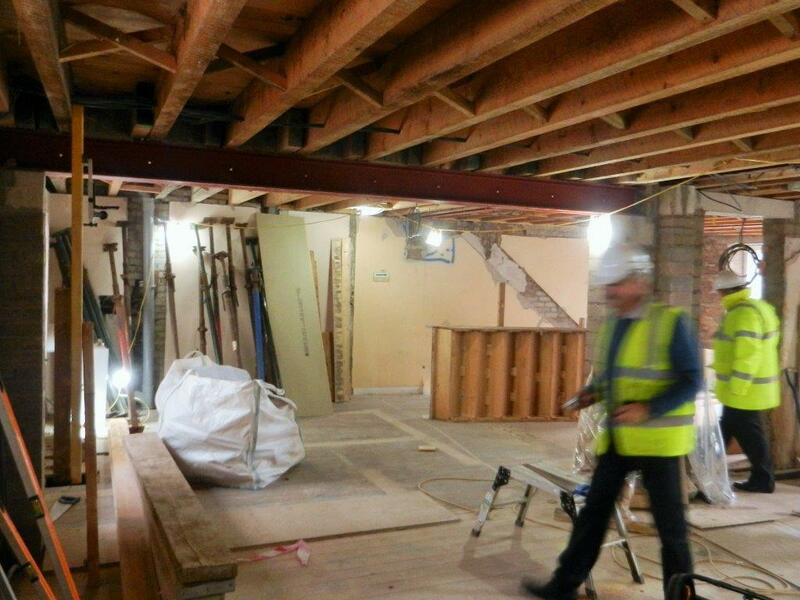 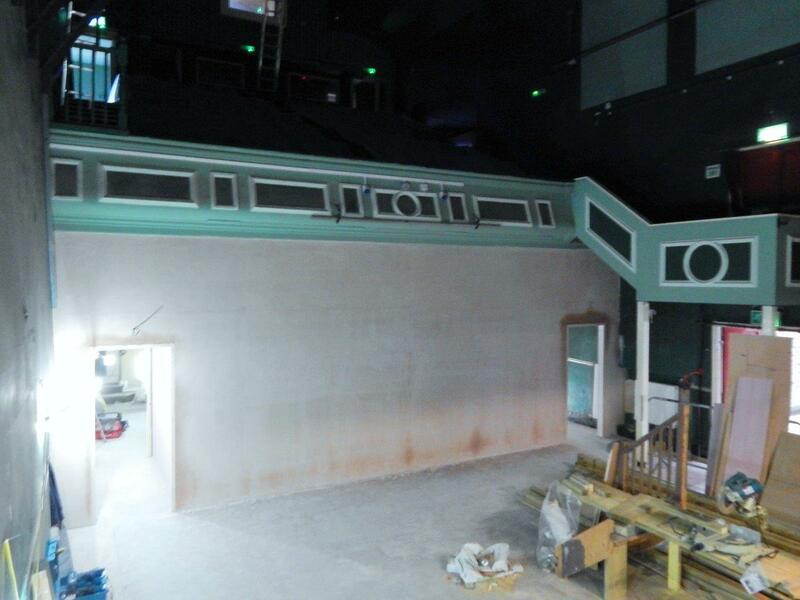 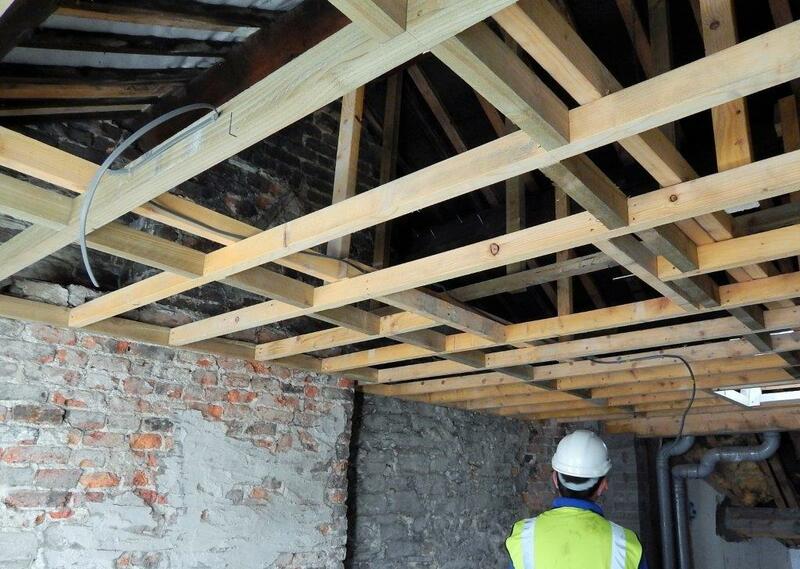 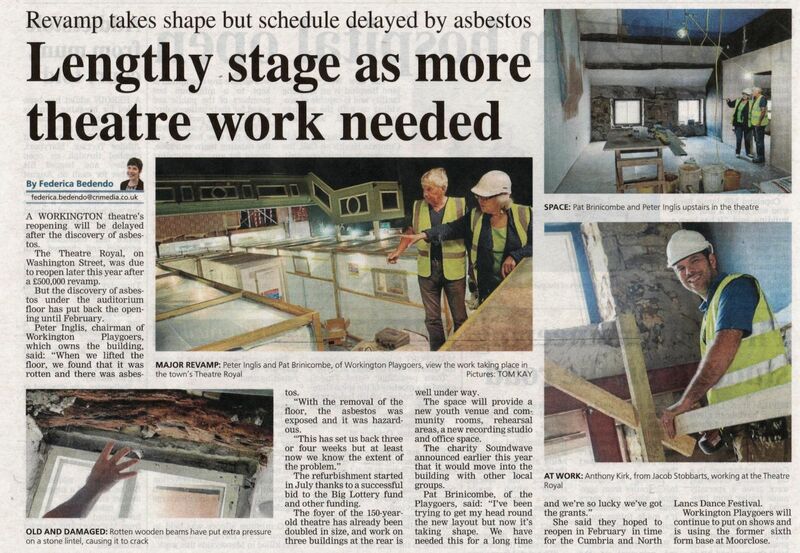 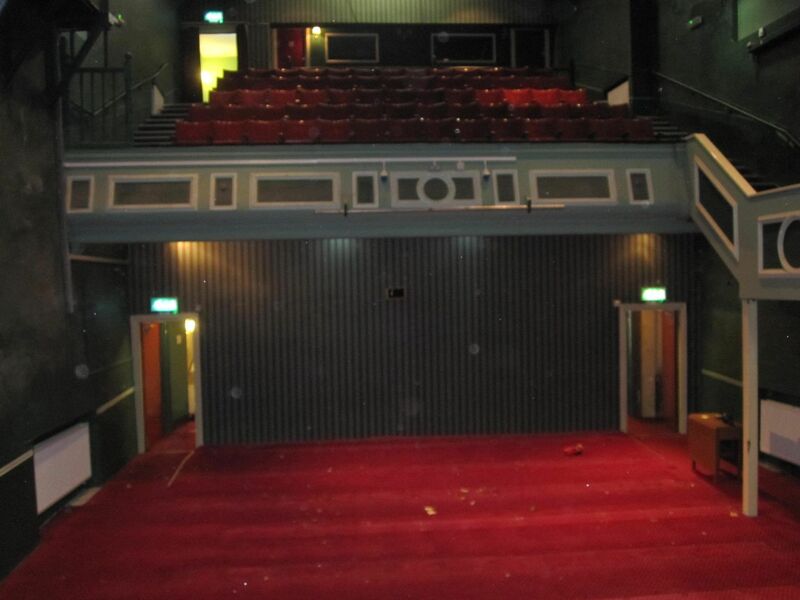 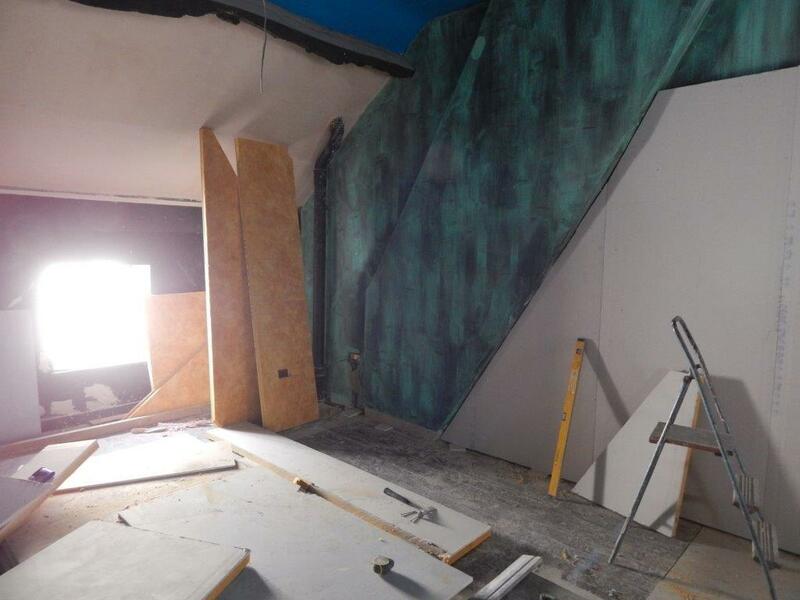 Work on the theatre starting on the 23rd July 2015! 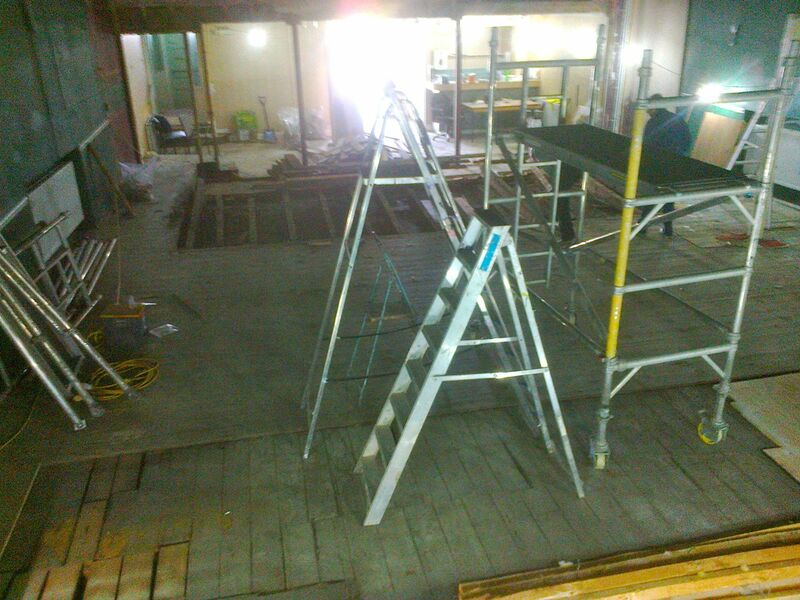 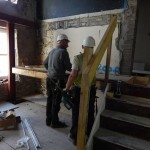 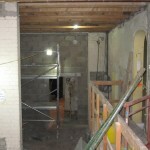 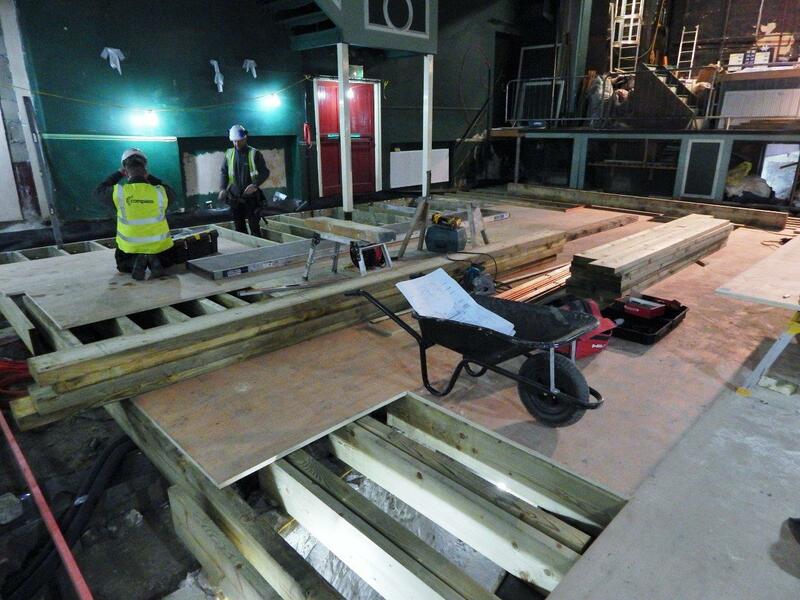 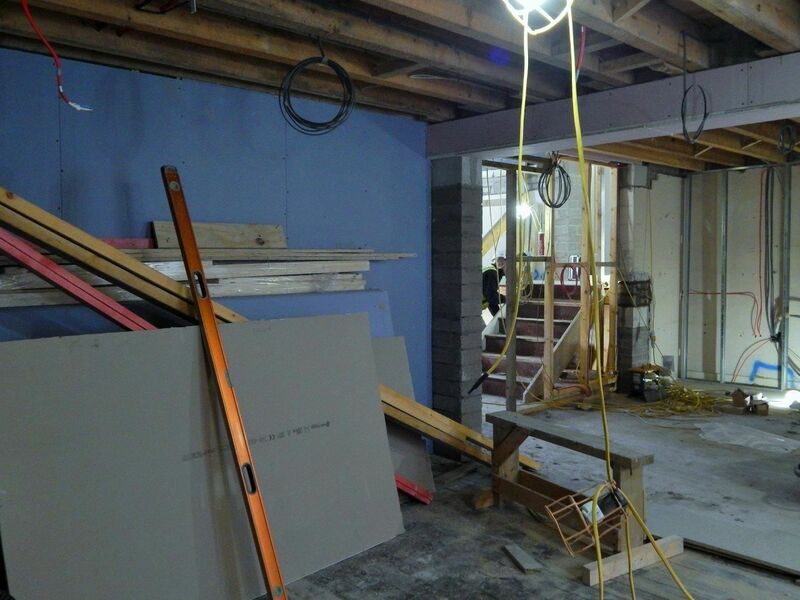 Work on the Foyer and Auditorium has started! 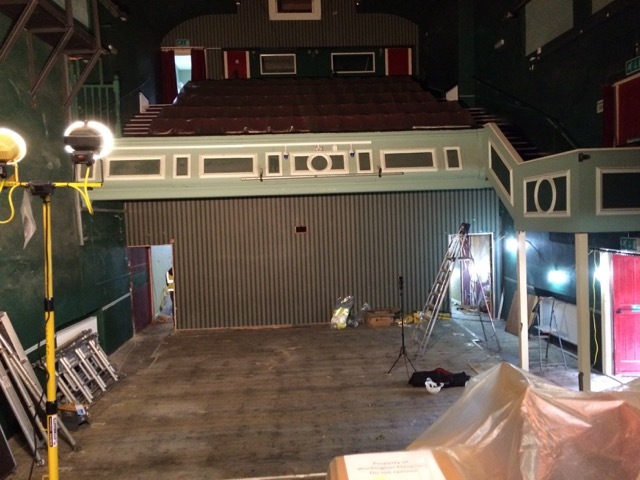 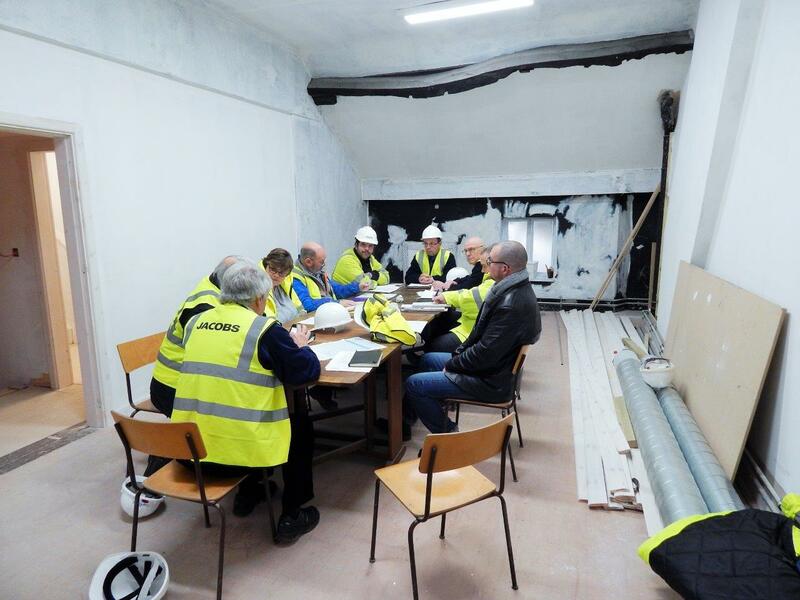 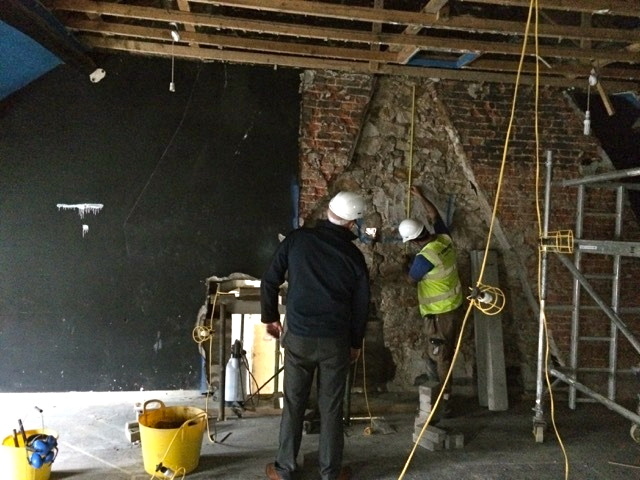 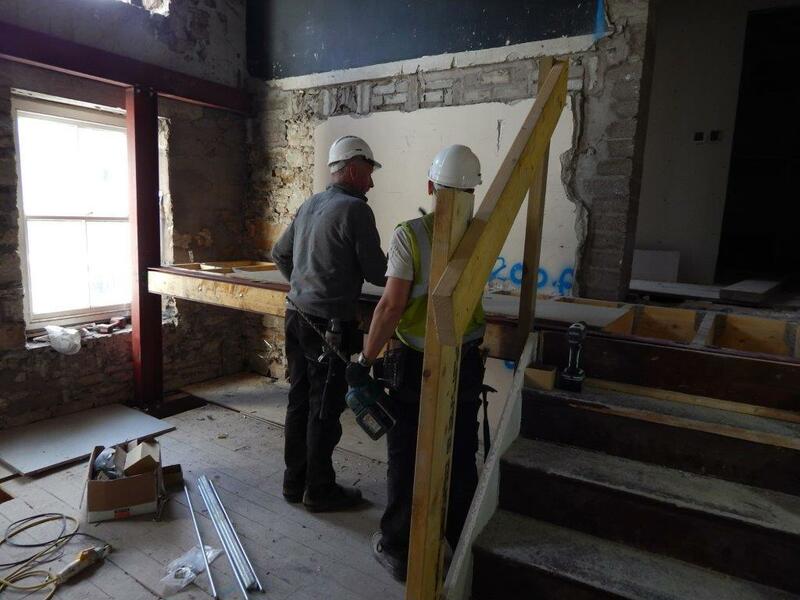 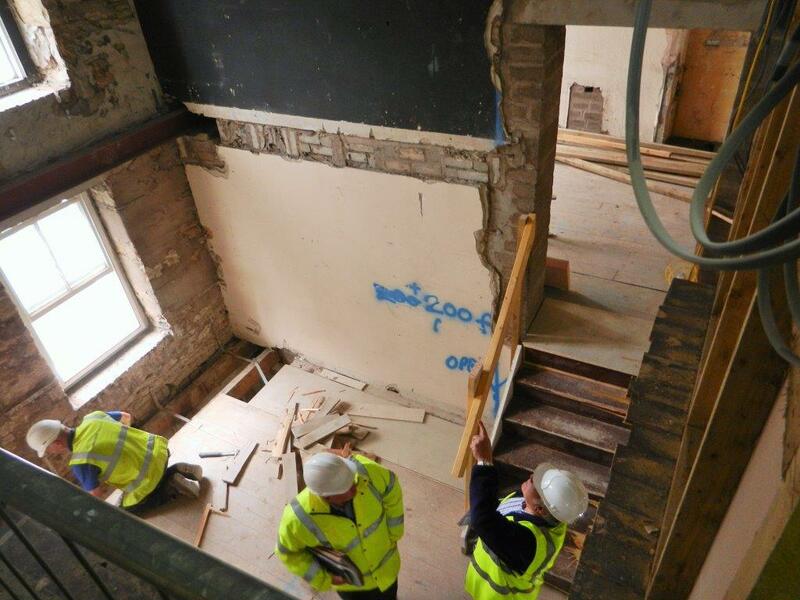 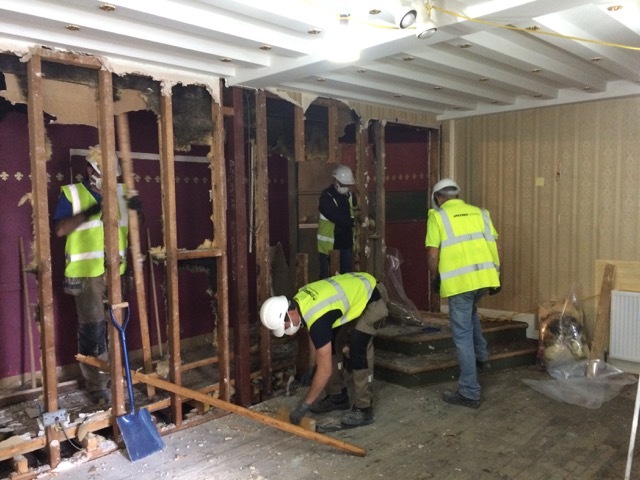 John Stobart of Jacob Stobart and Peter Inglis were interviewed and filmed by ITV this morning for a feature on the Theatre refurbishment. 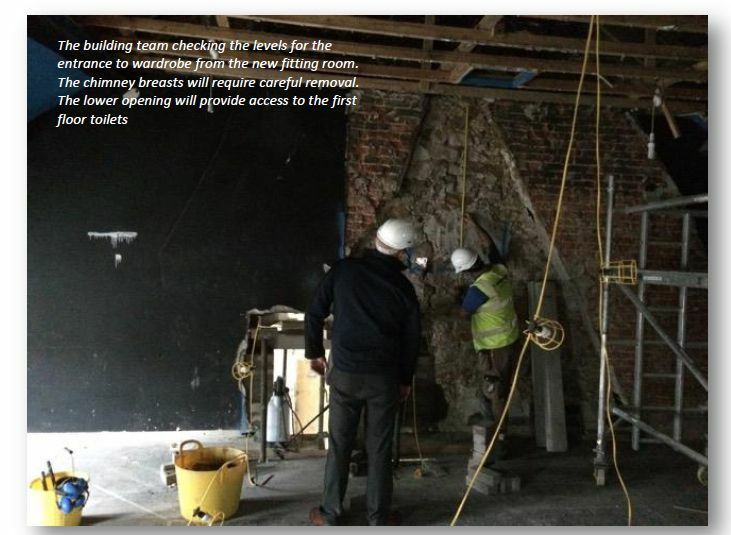 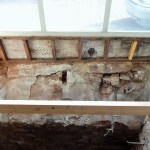 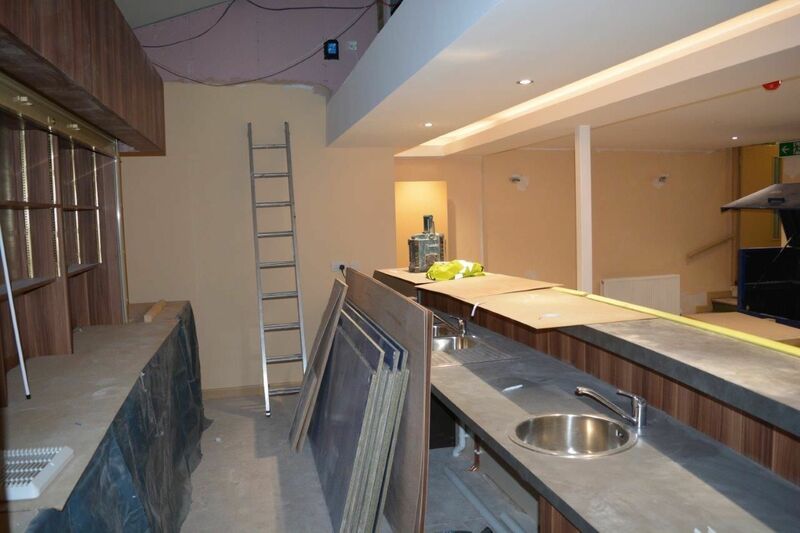 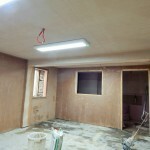 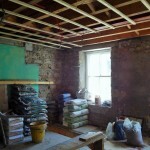 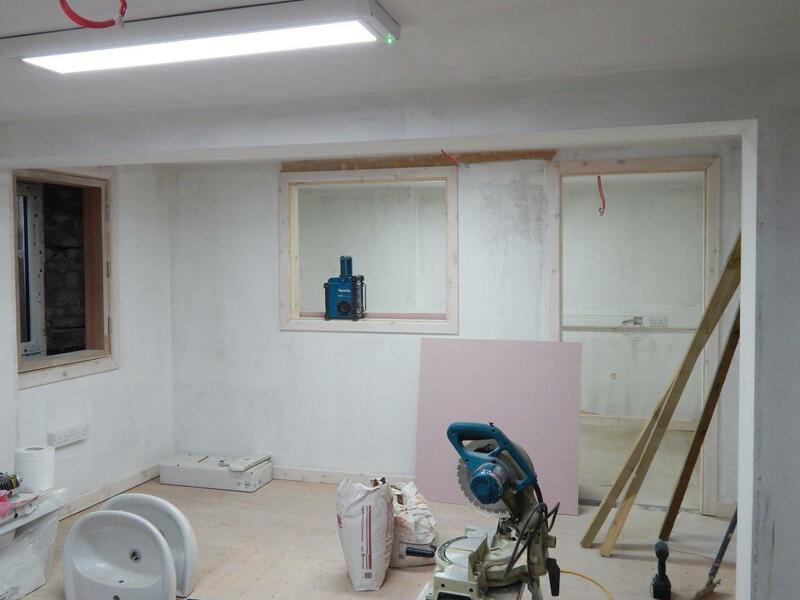 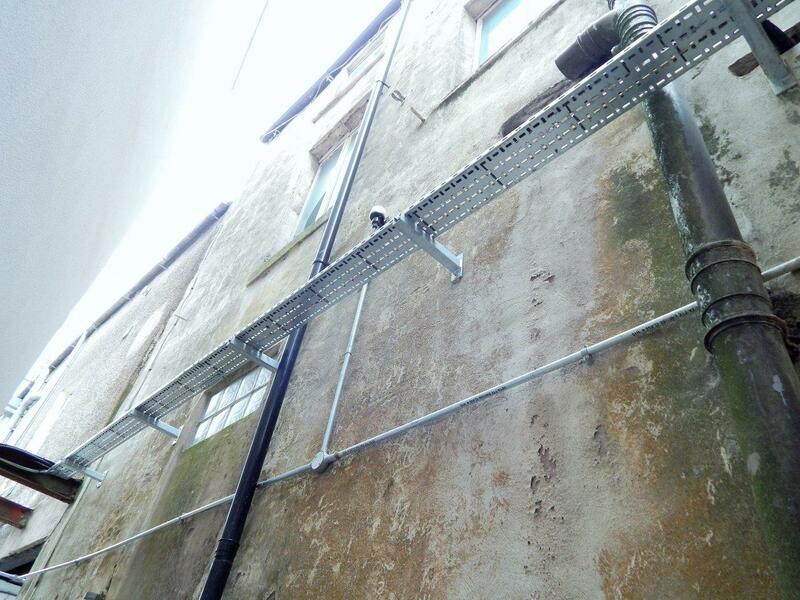 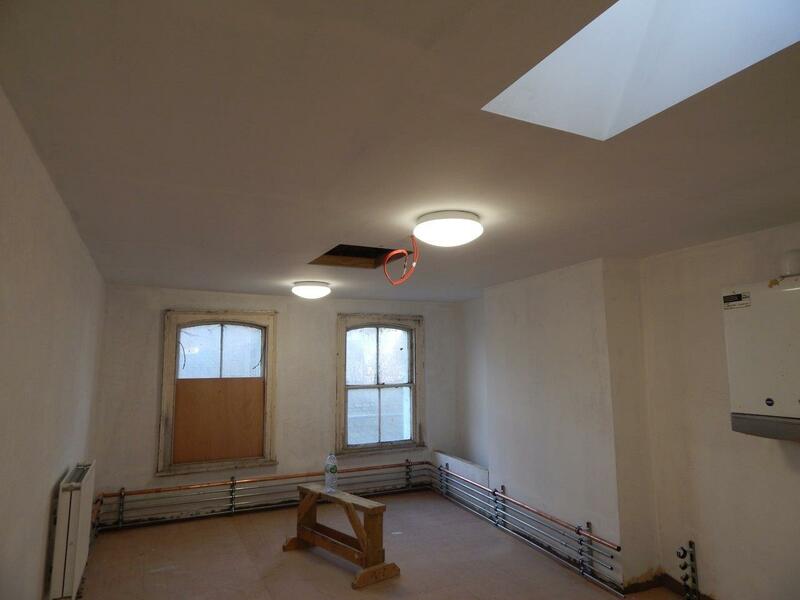 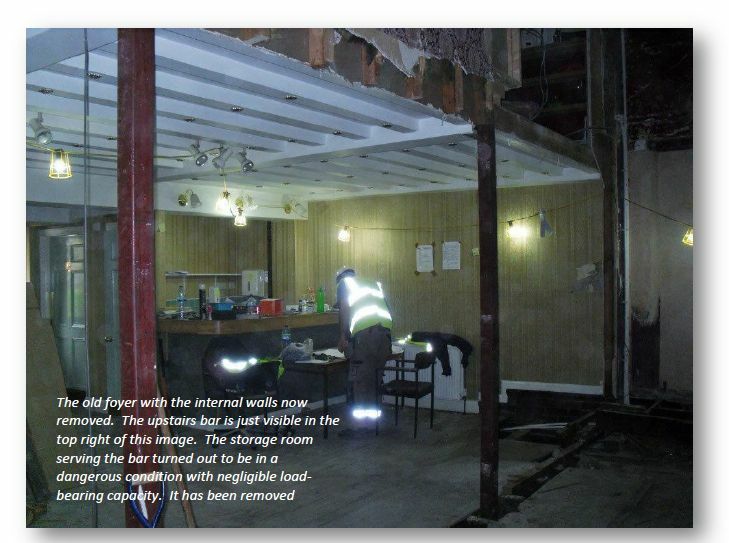 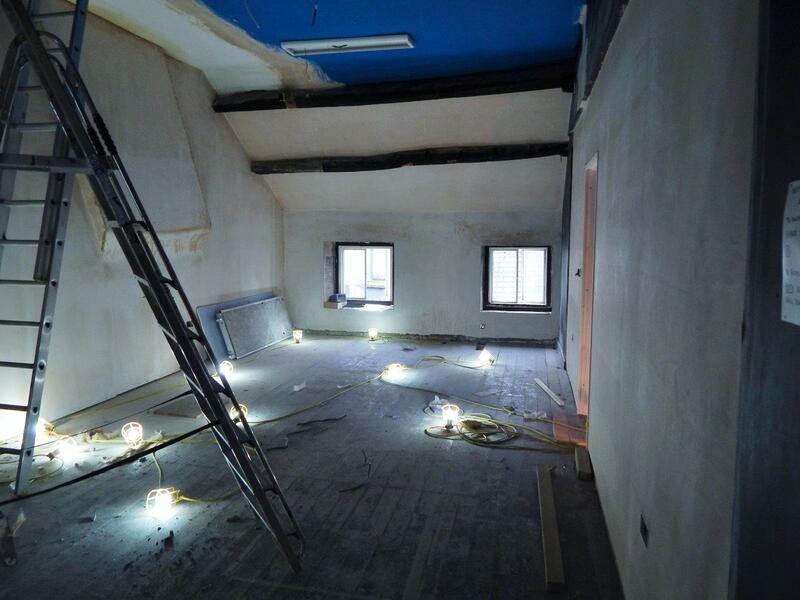 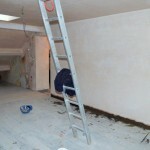 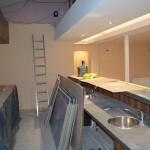 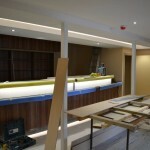 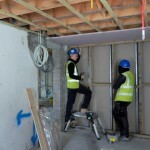 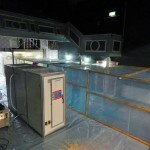 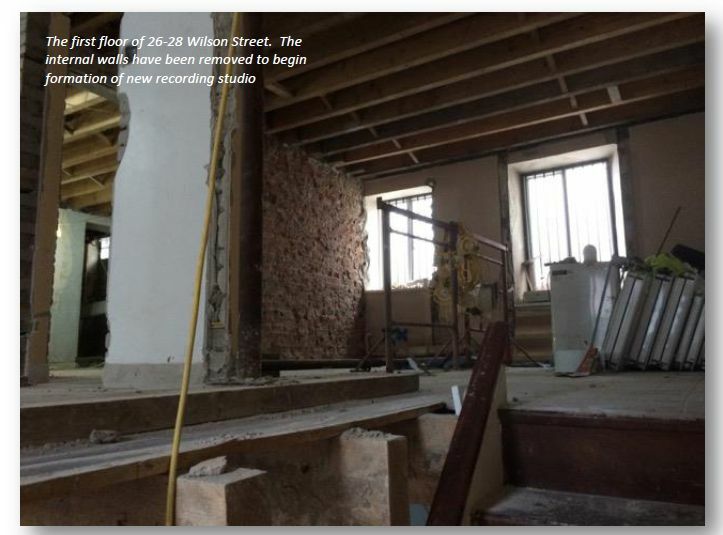 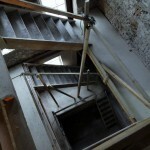 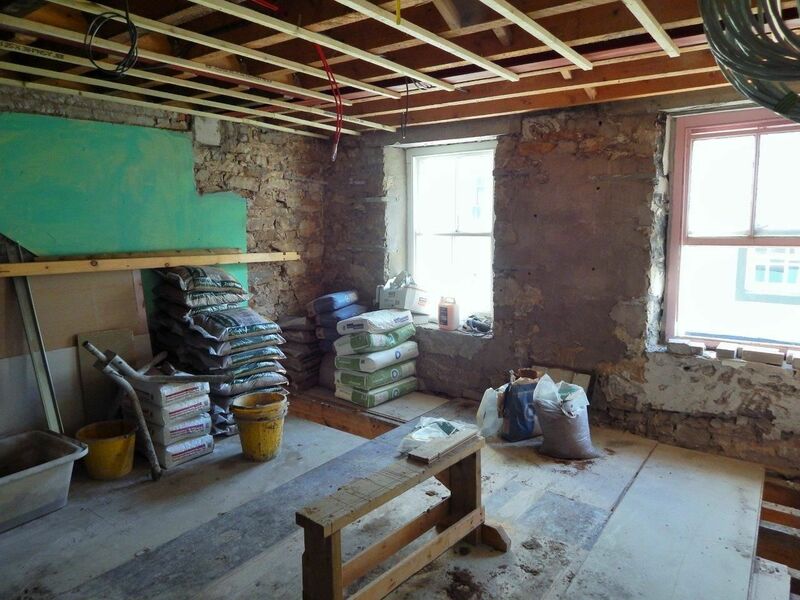 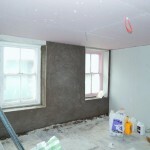 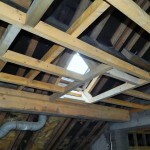 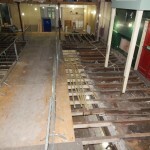 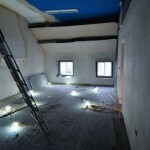 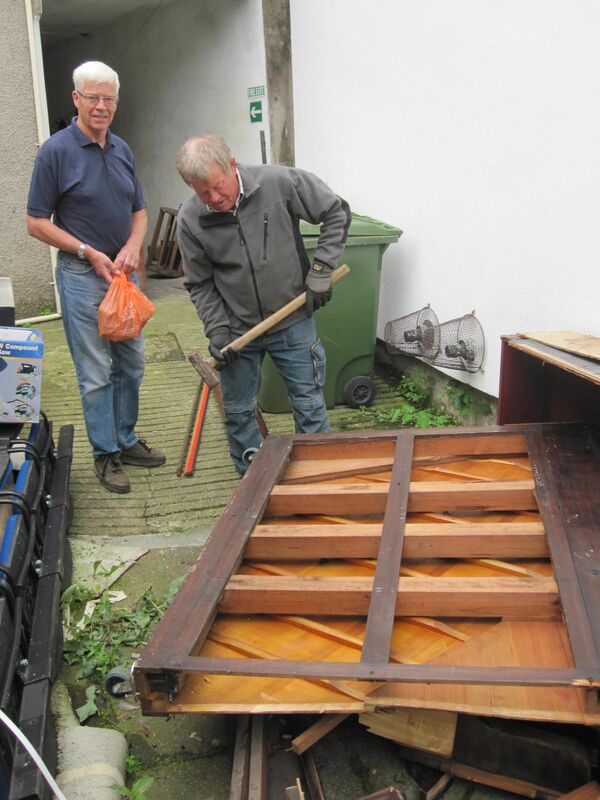 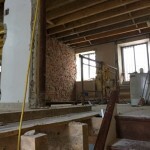 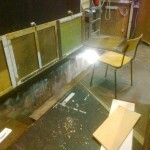 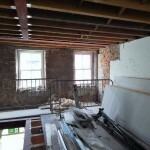 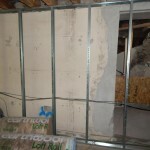 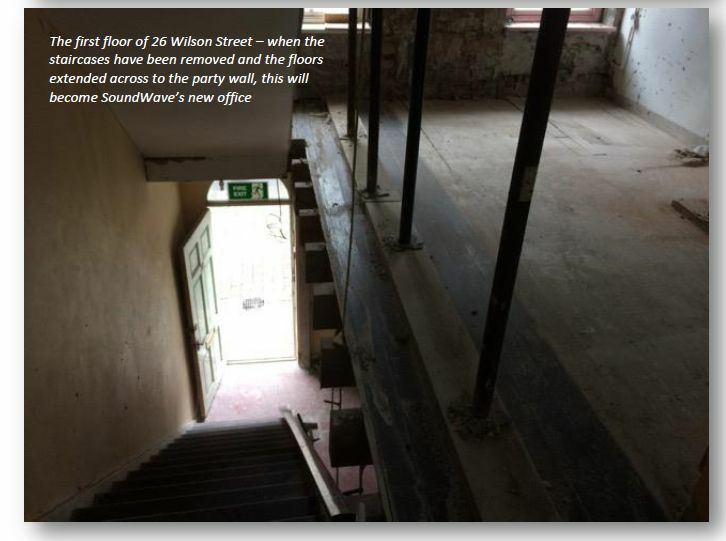 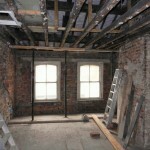 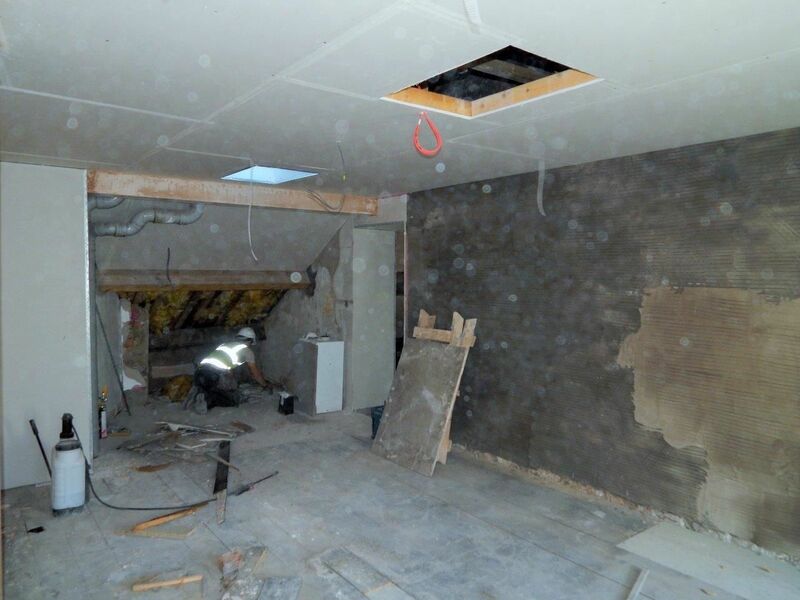 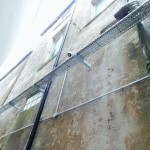 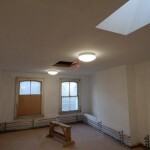 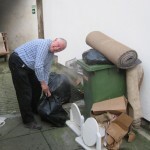 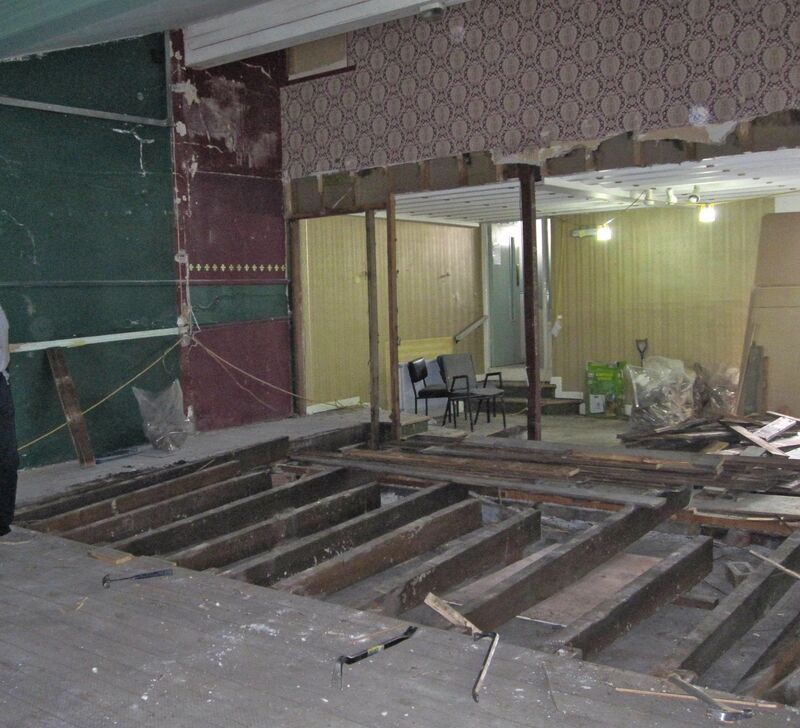 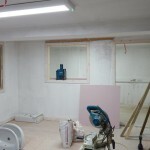 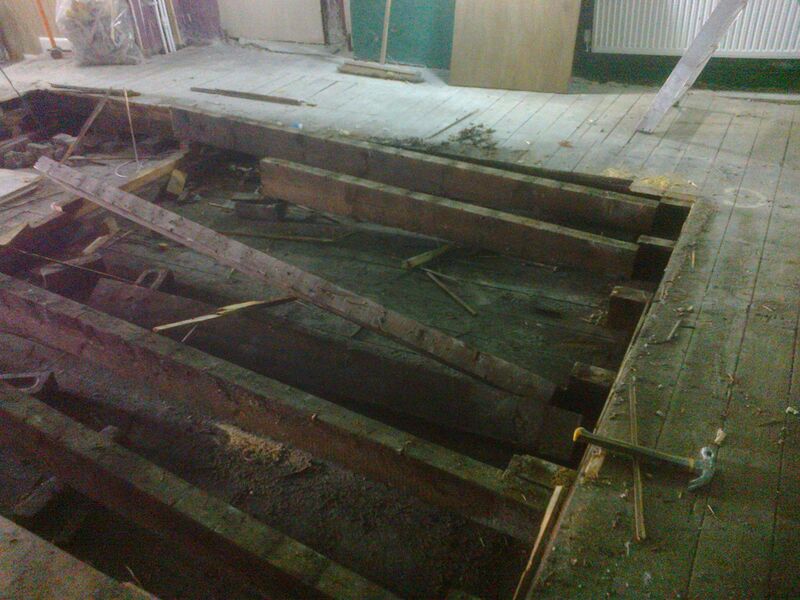 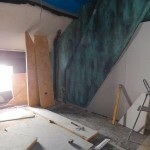 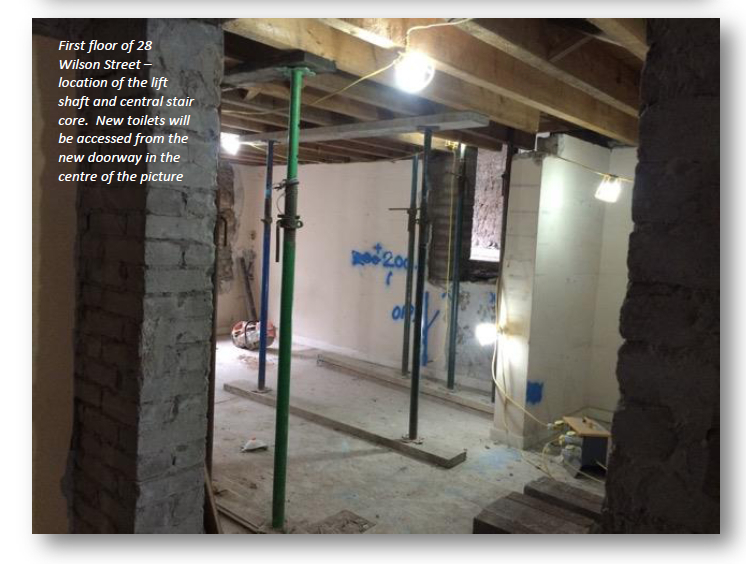 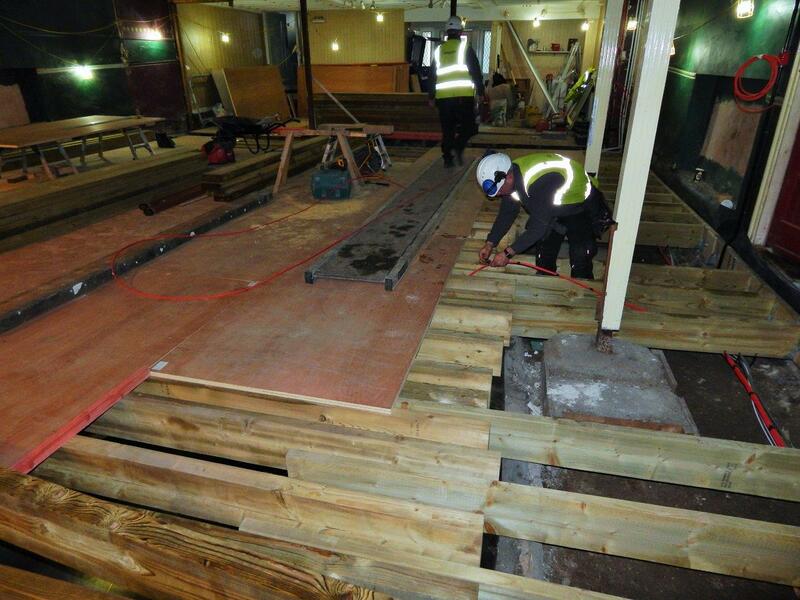 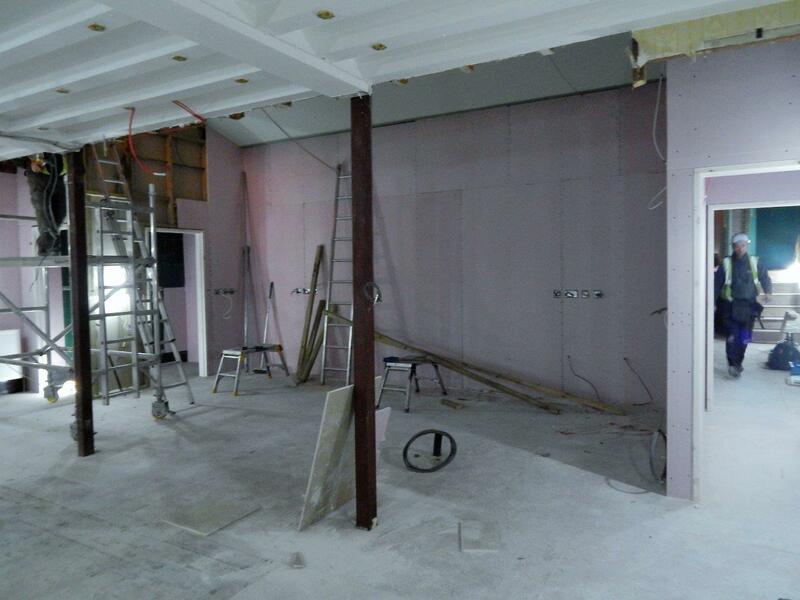 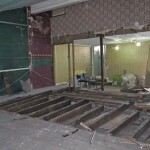 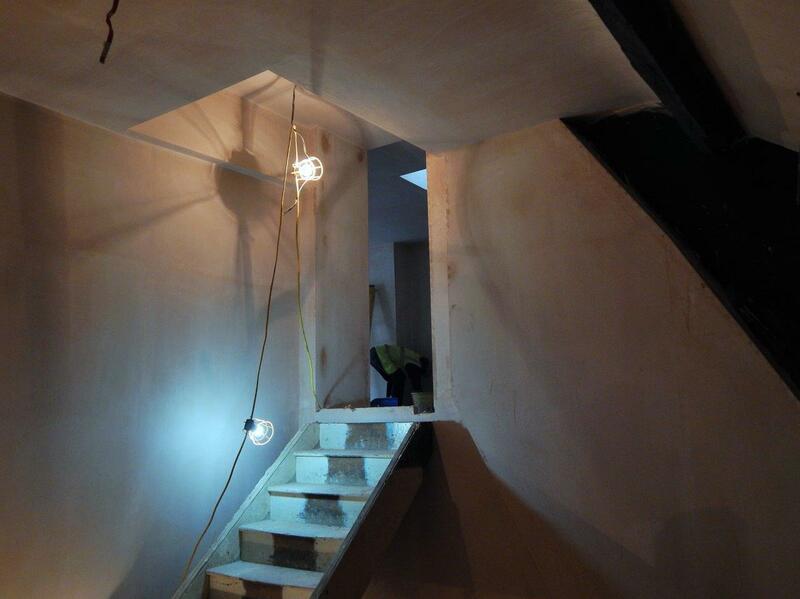 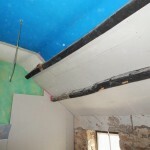 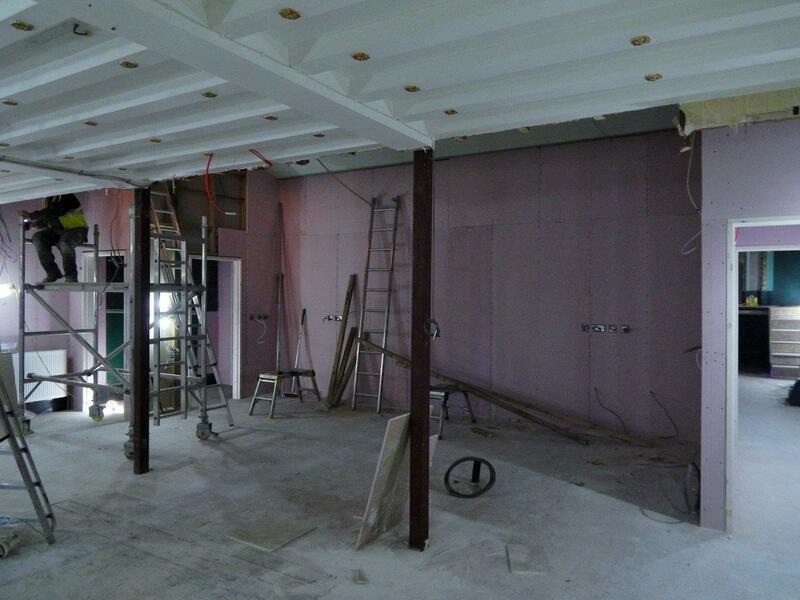 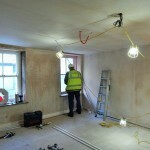 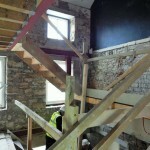 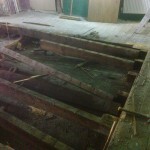 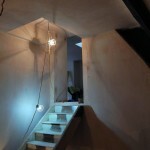 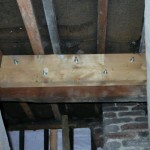 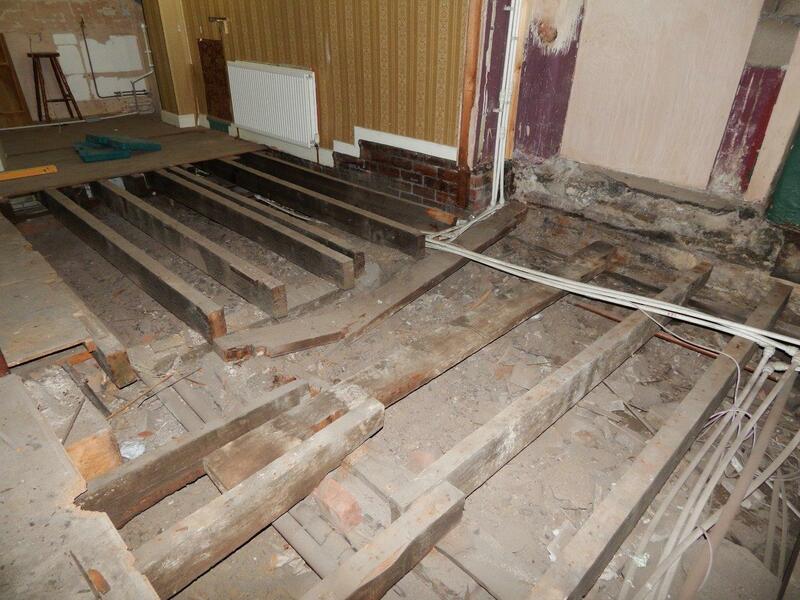 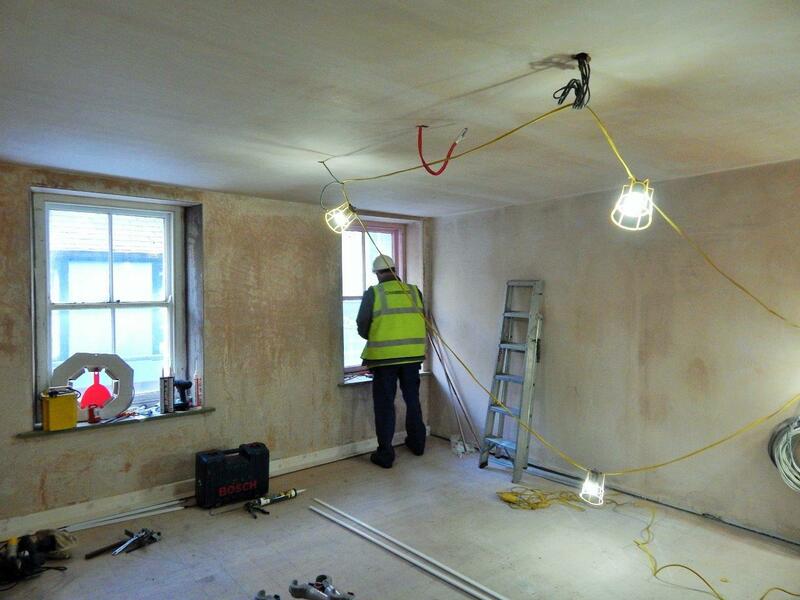 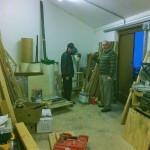 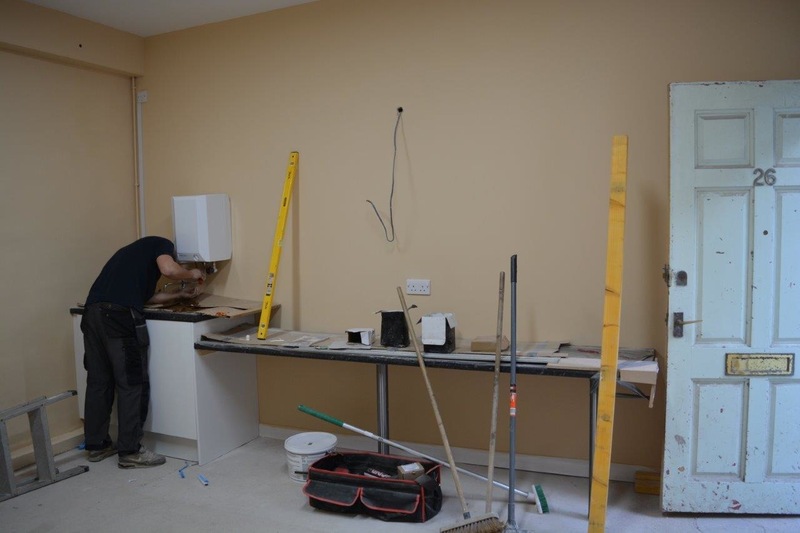 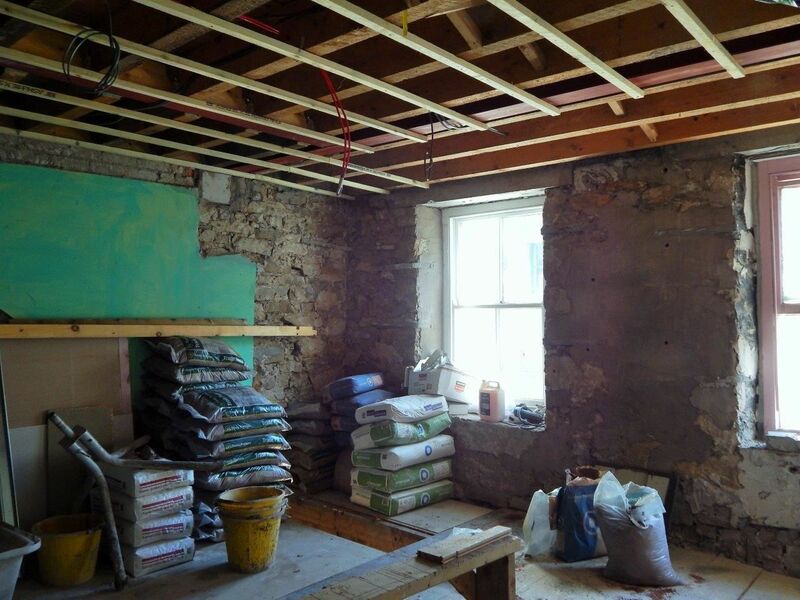 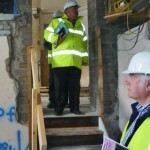 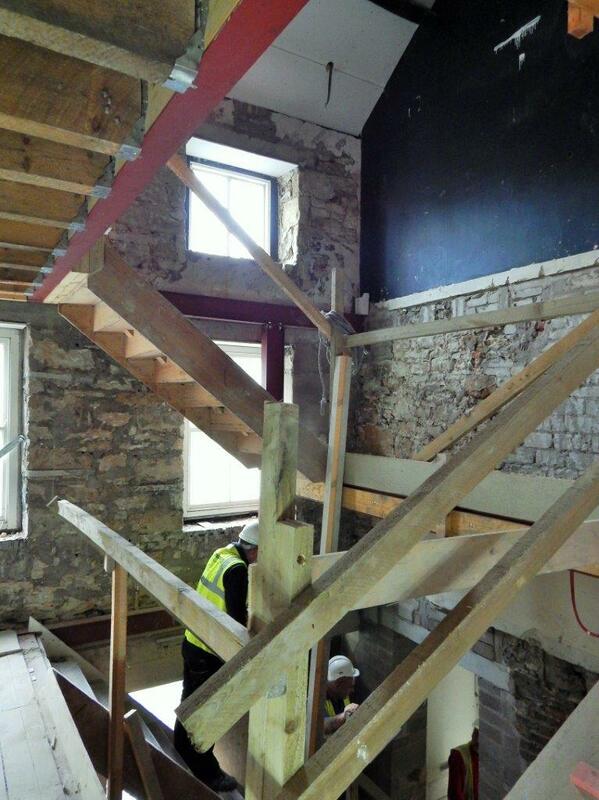 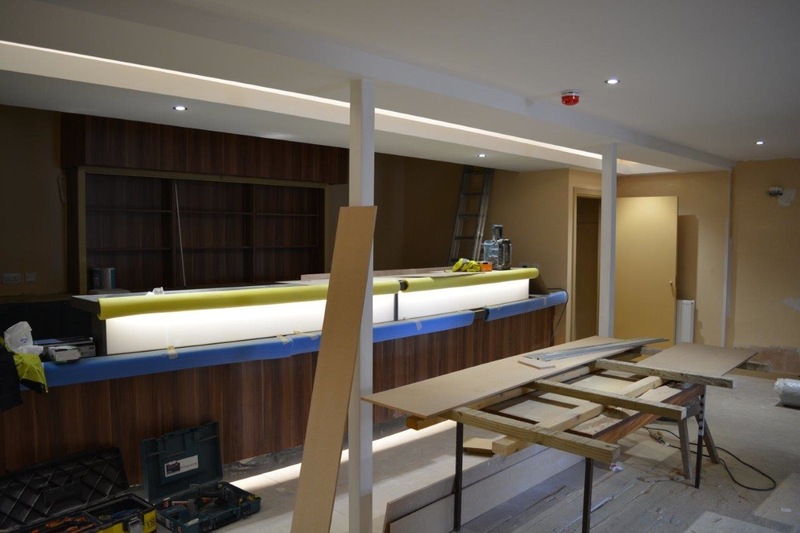 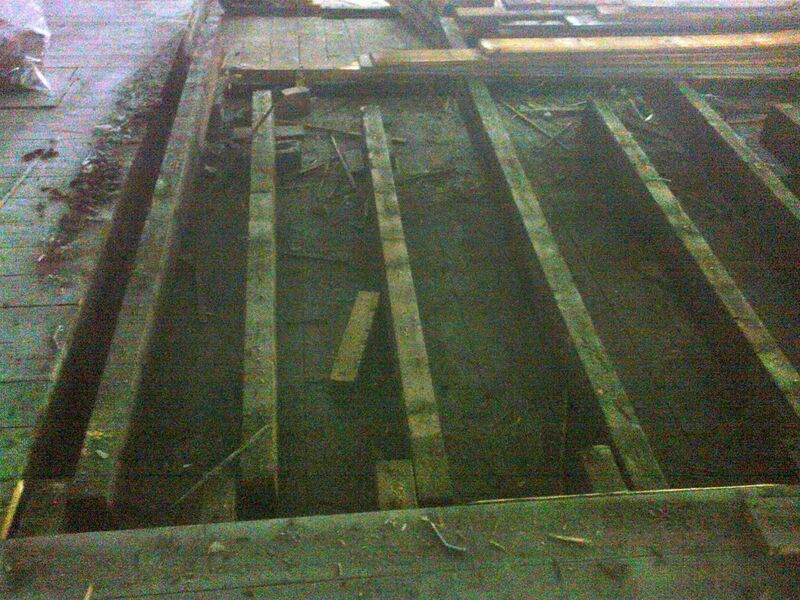 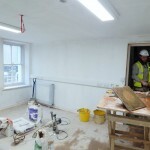 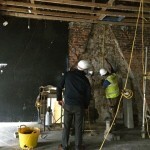 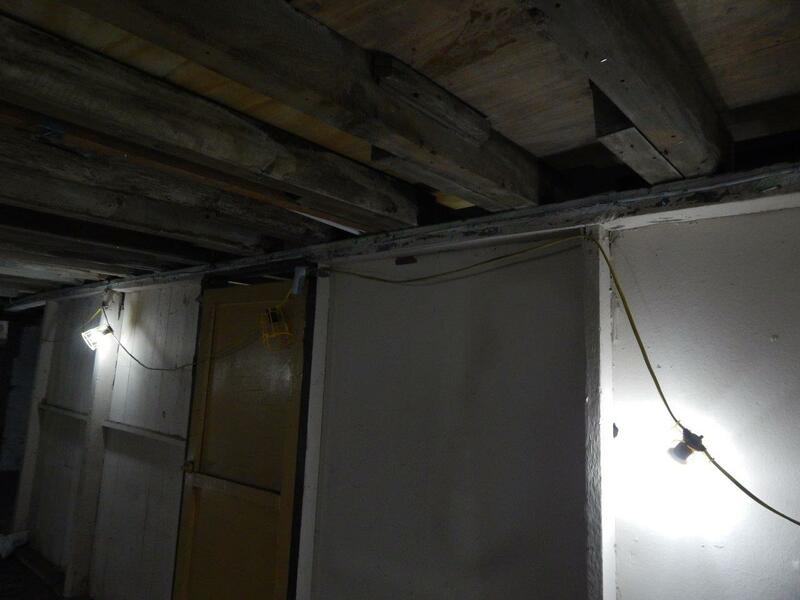 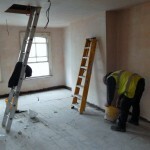 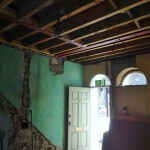 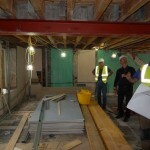 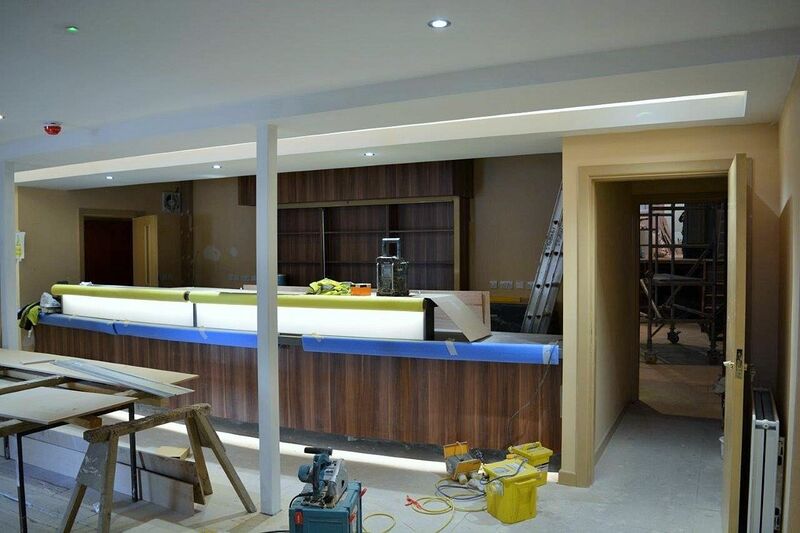 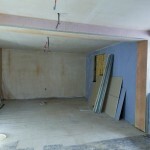 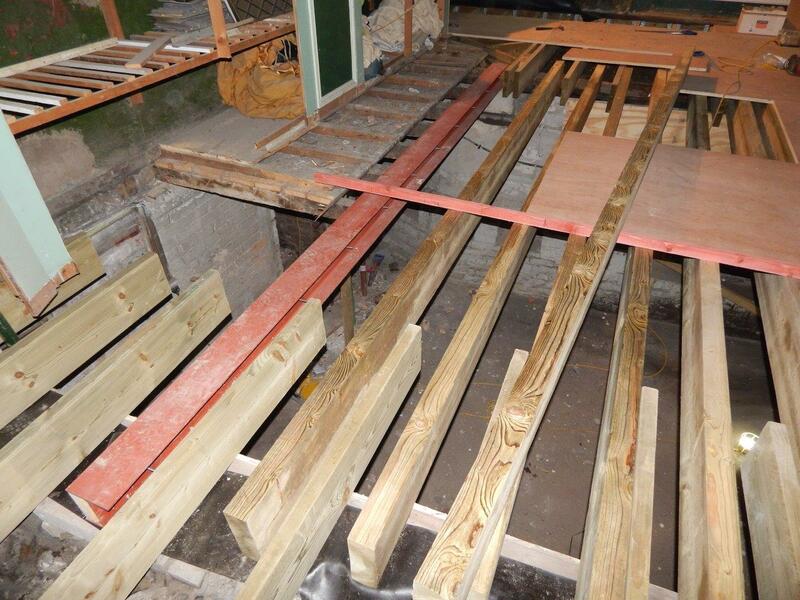 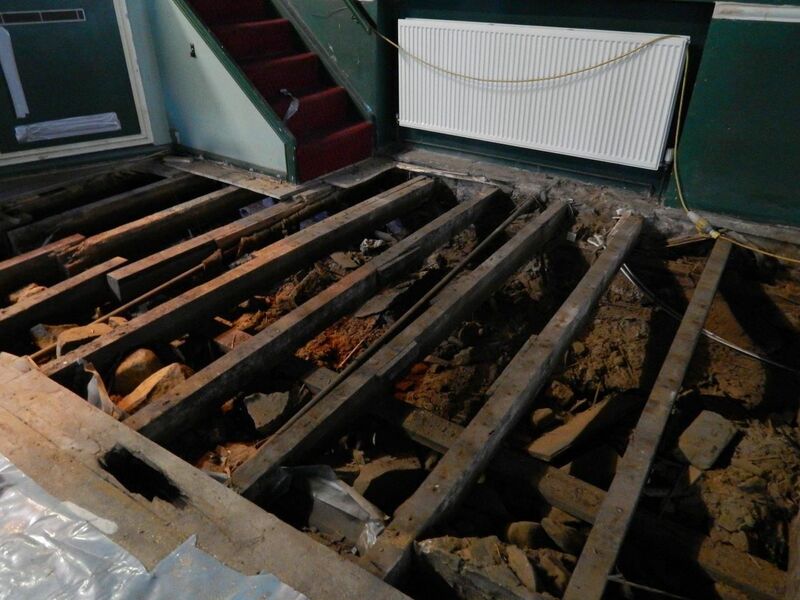 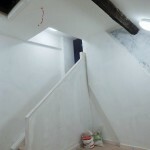 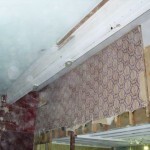 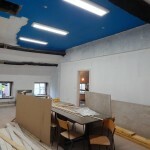 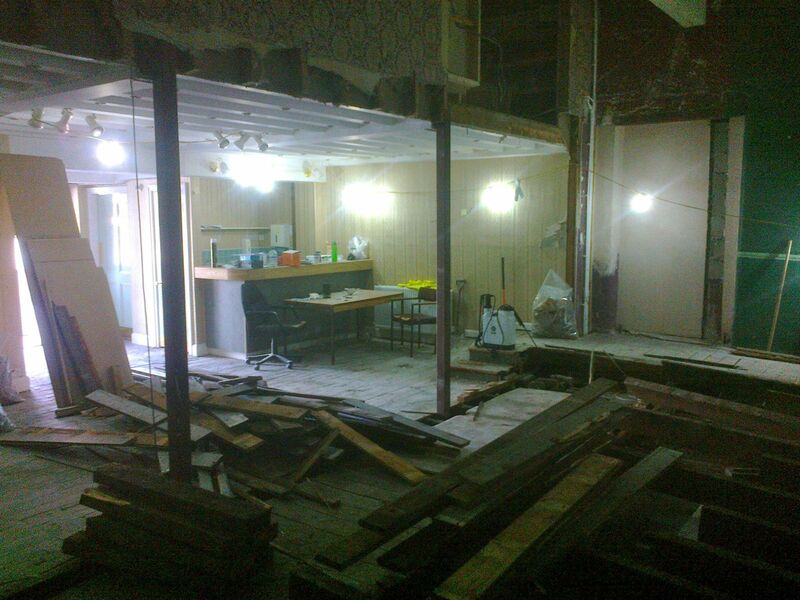 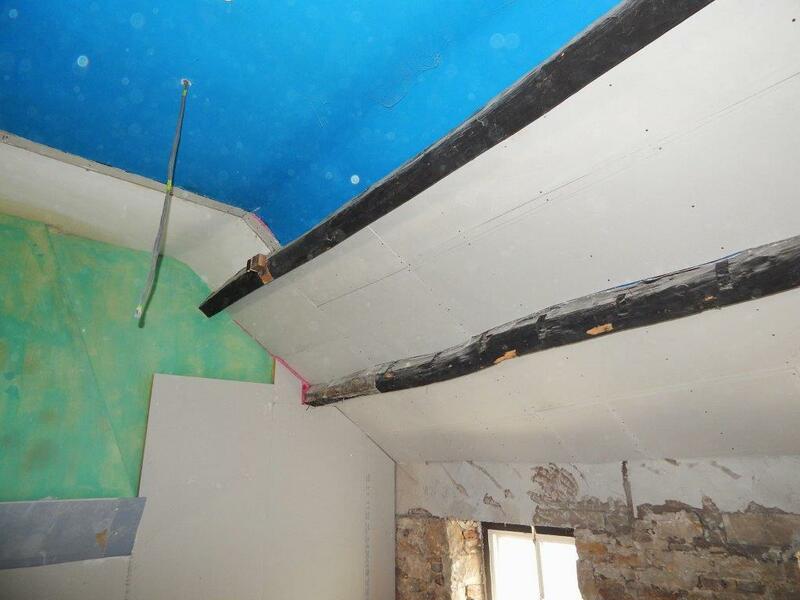 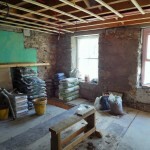 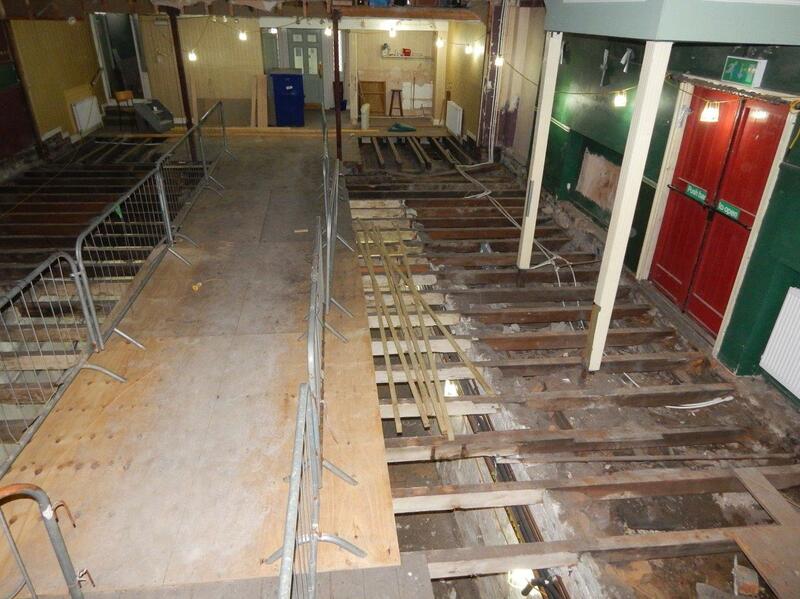 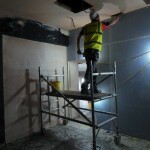 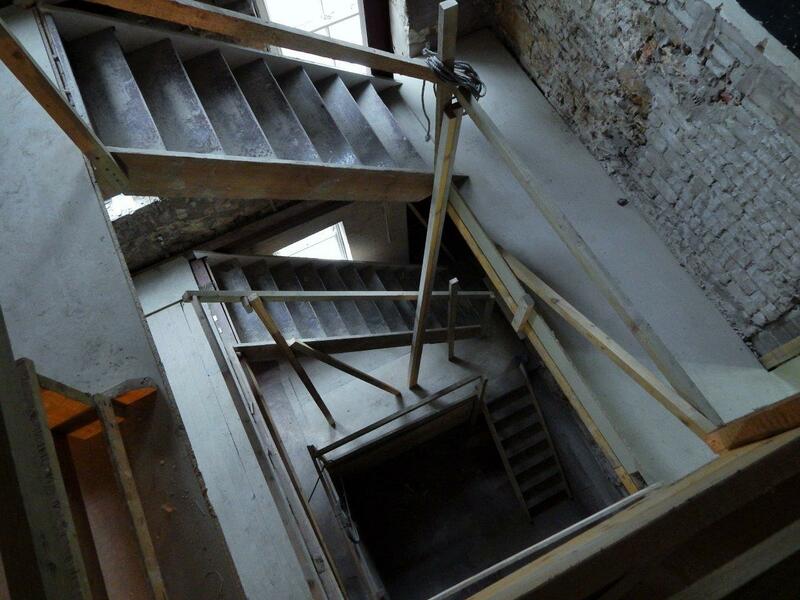 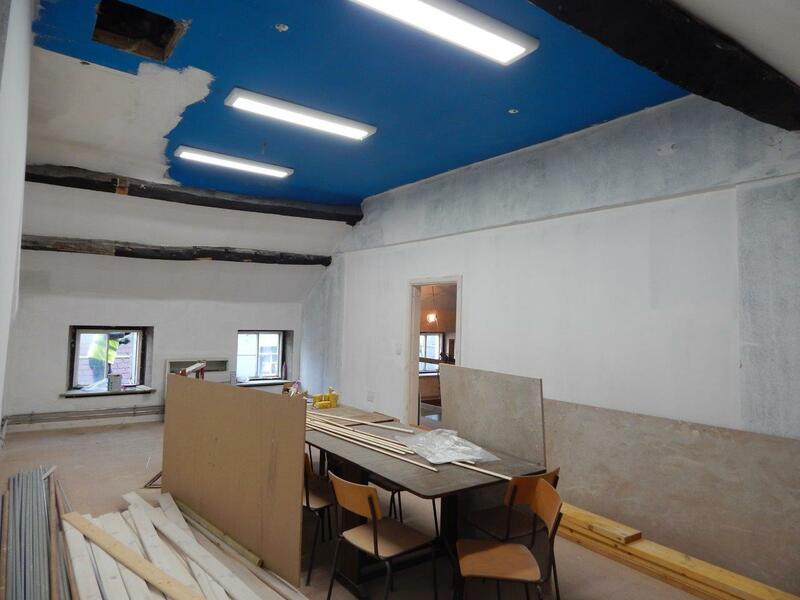 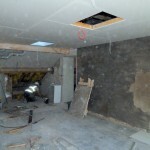 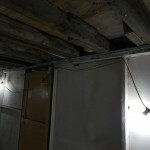 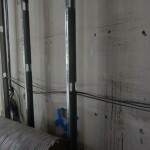 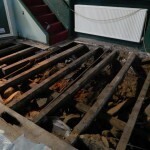 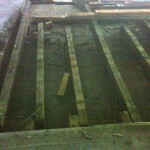 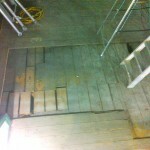 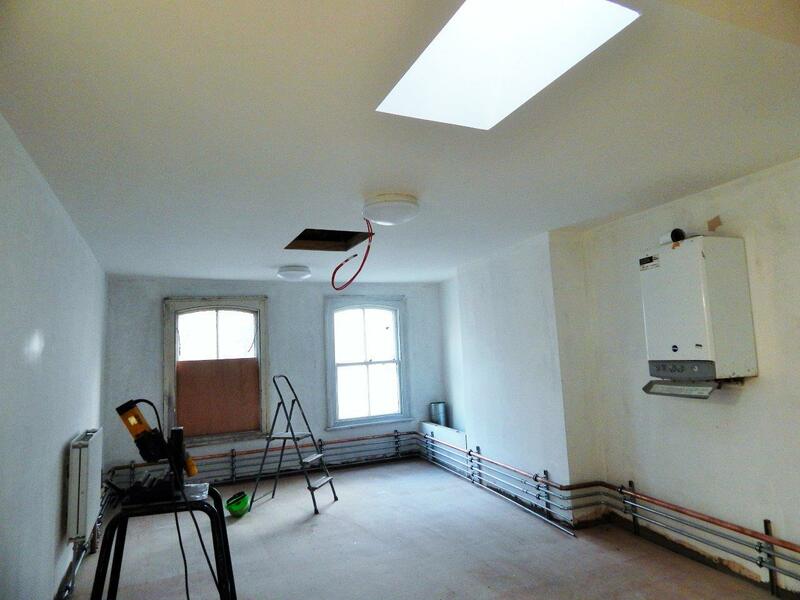 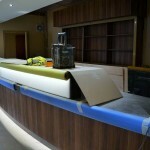 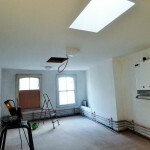 As you can see from the pictures below, work has started in earnest. 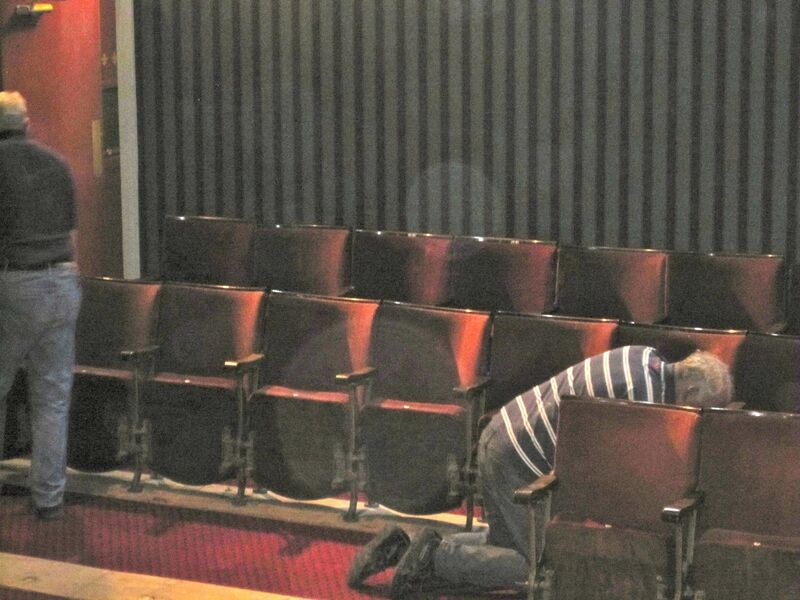 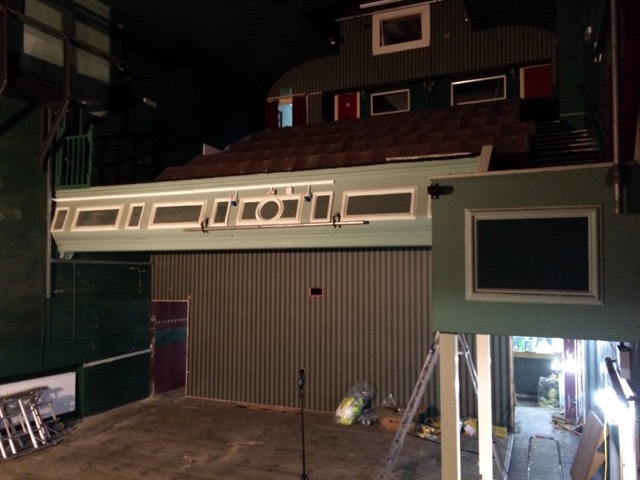 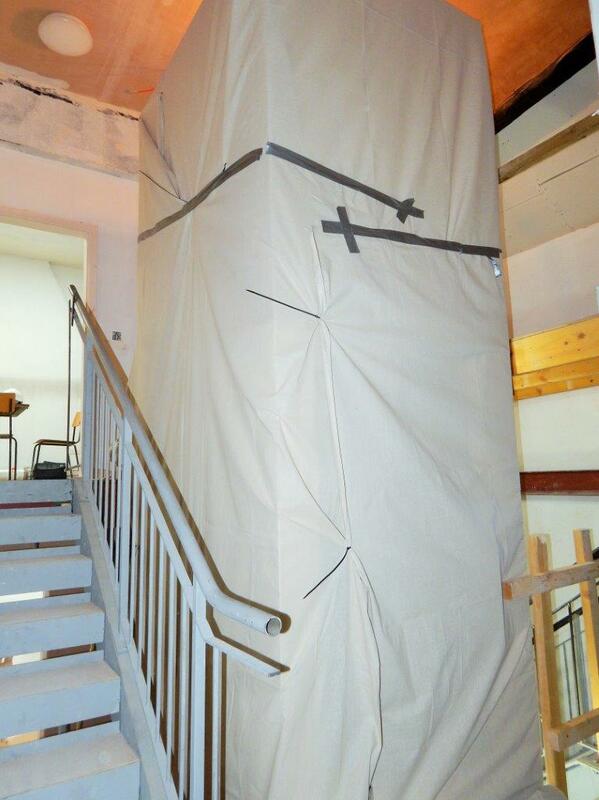 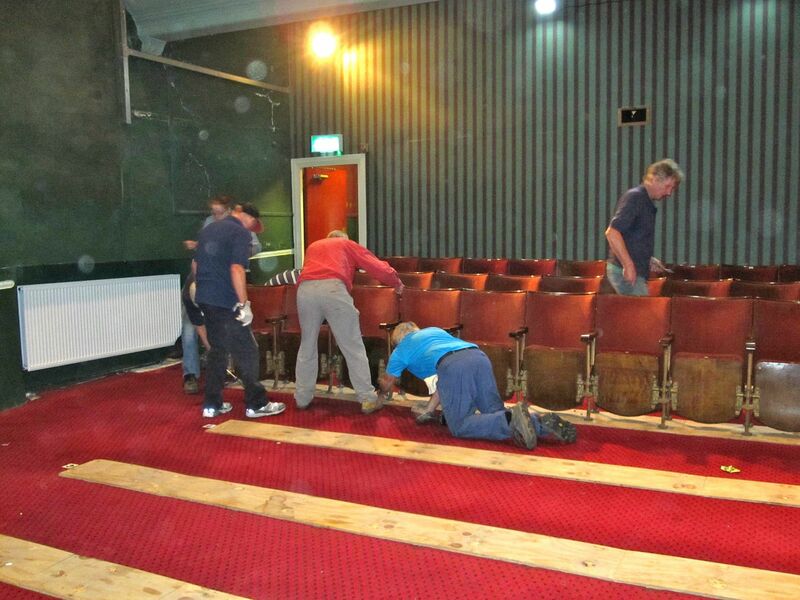 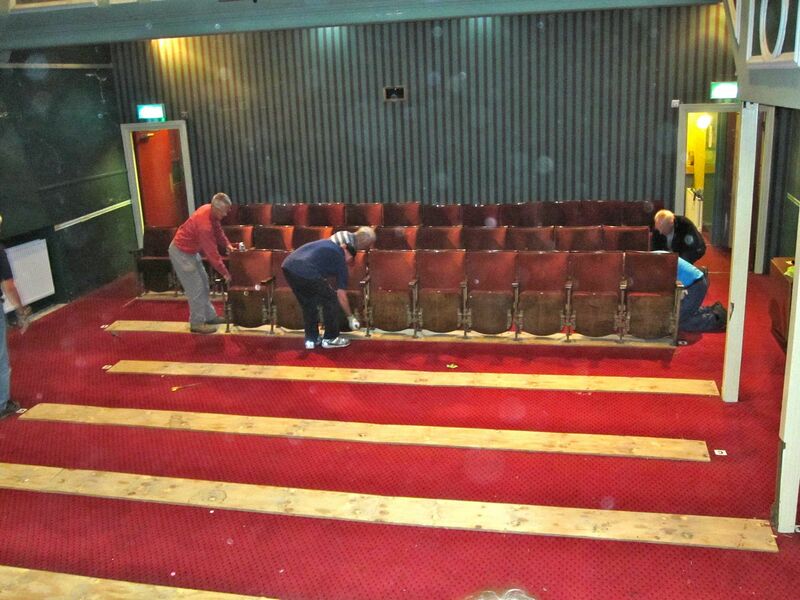 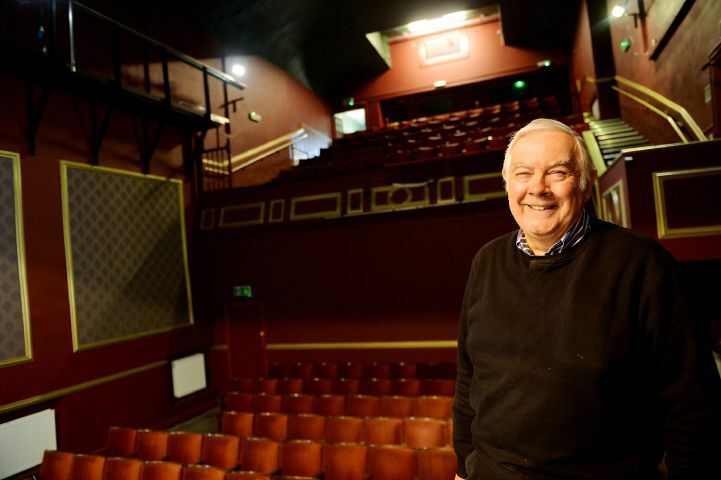 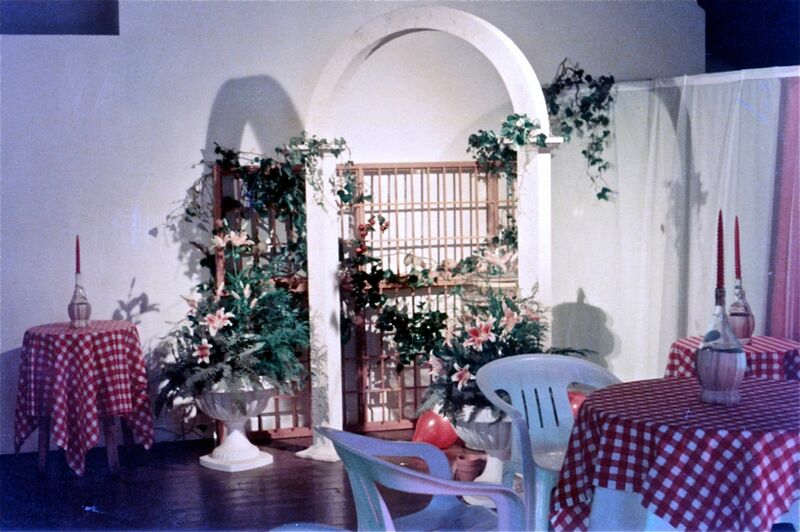 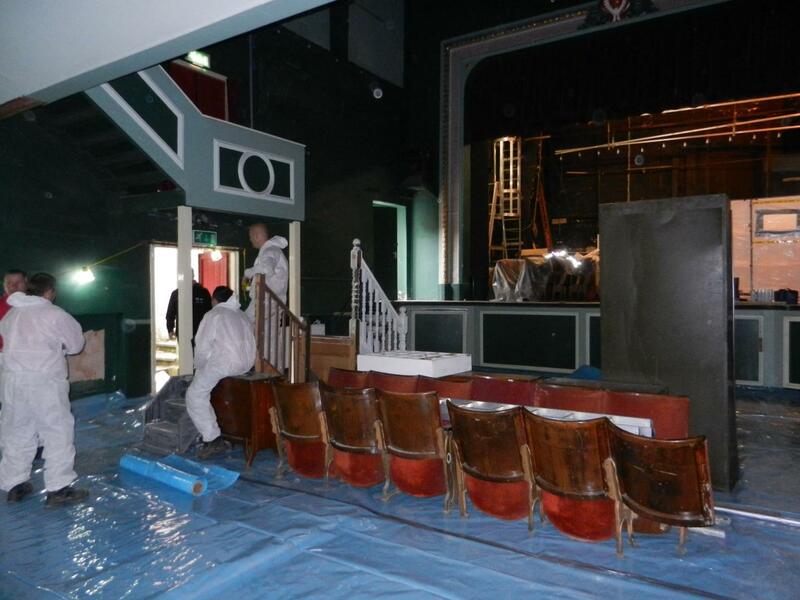 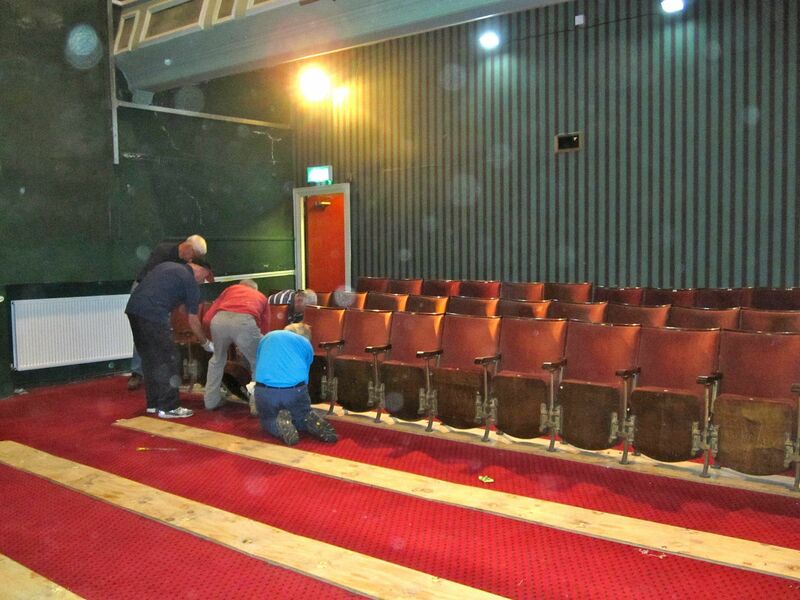 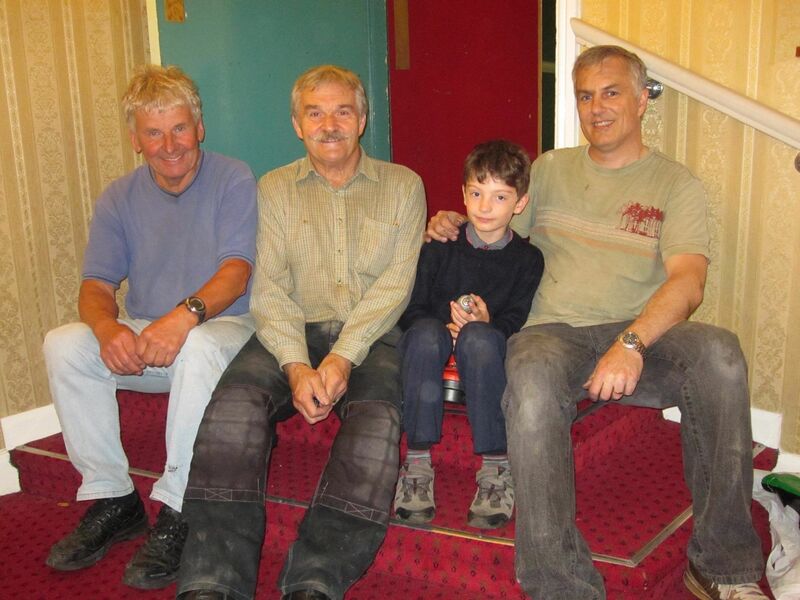 Peter was pleased to see the auditorium chairs stored on the stage and upstairs on the balcony have been sheeted over to protect them from the dust. 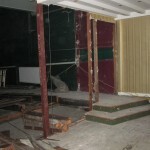 Let’s not bother with separate foyer and auditorium. 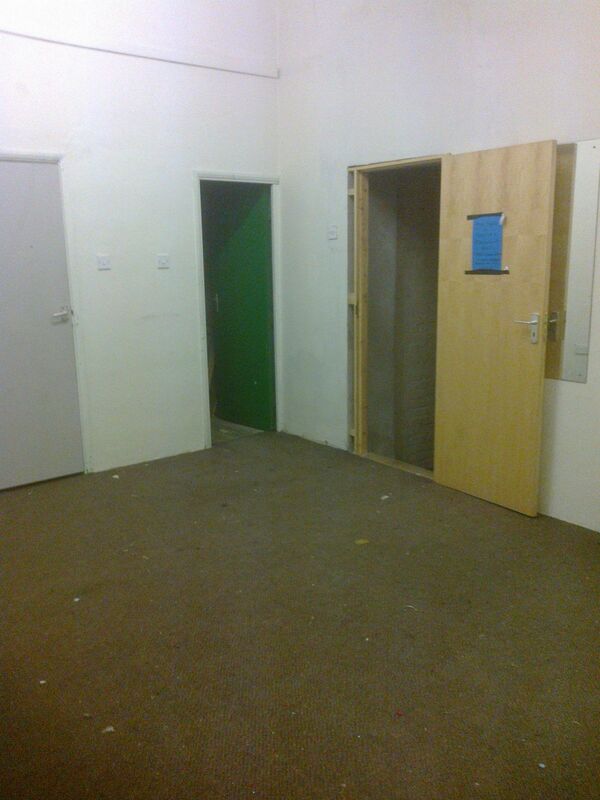 Let’s just have one big space! 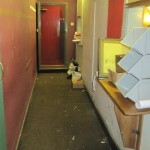 Coming in through the back door from Wilson Street. 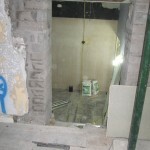 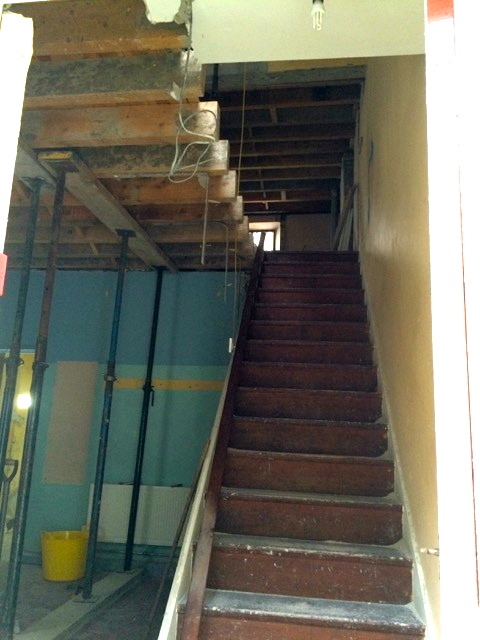 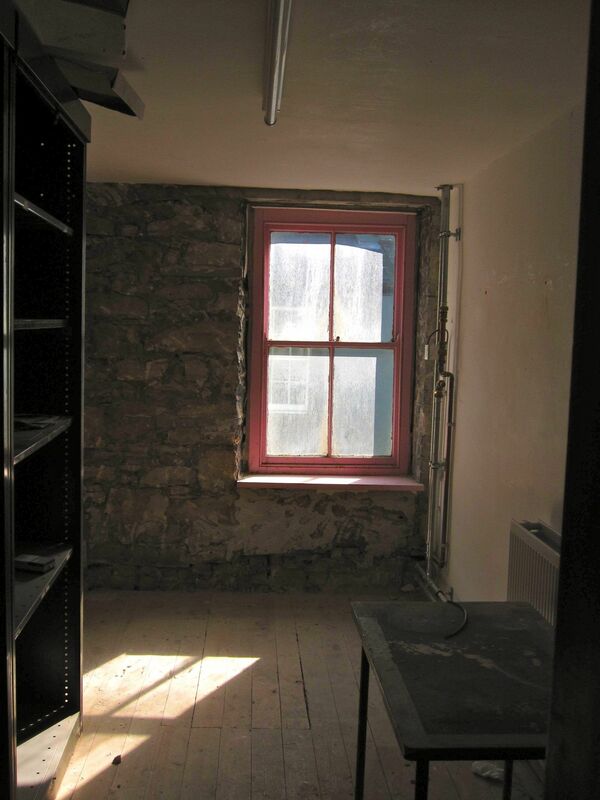 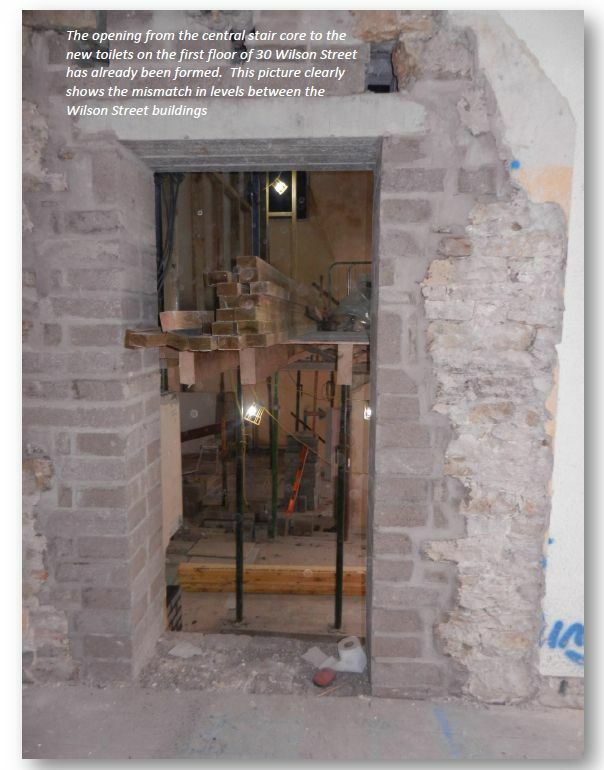 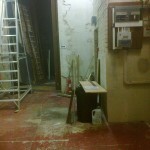 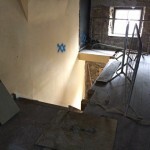 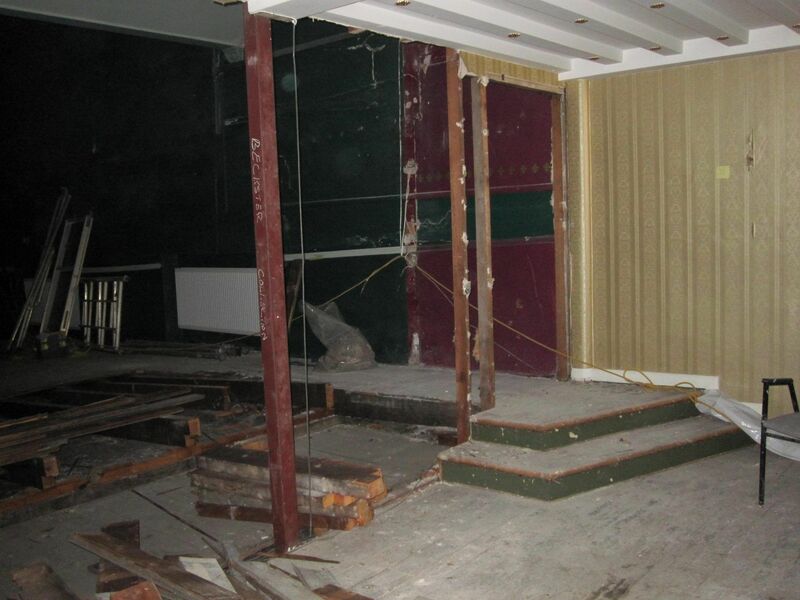 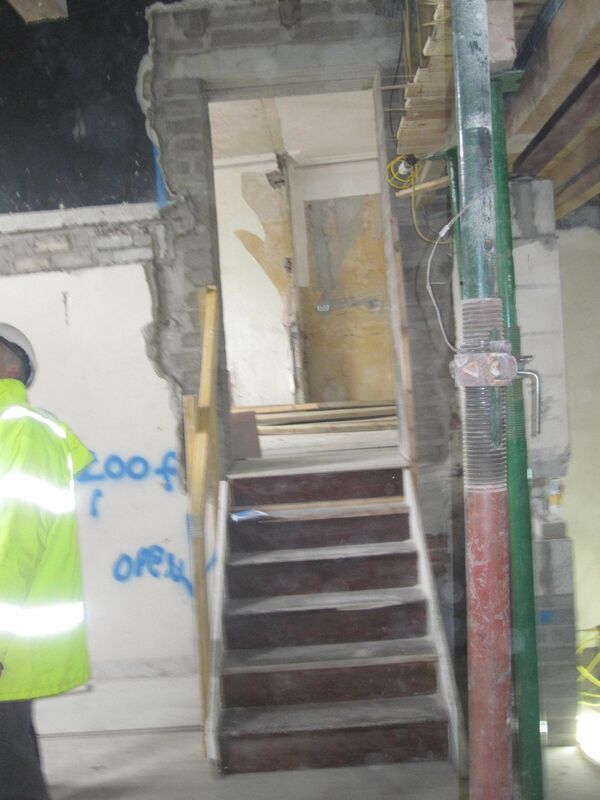 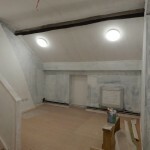 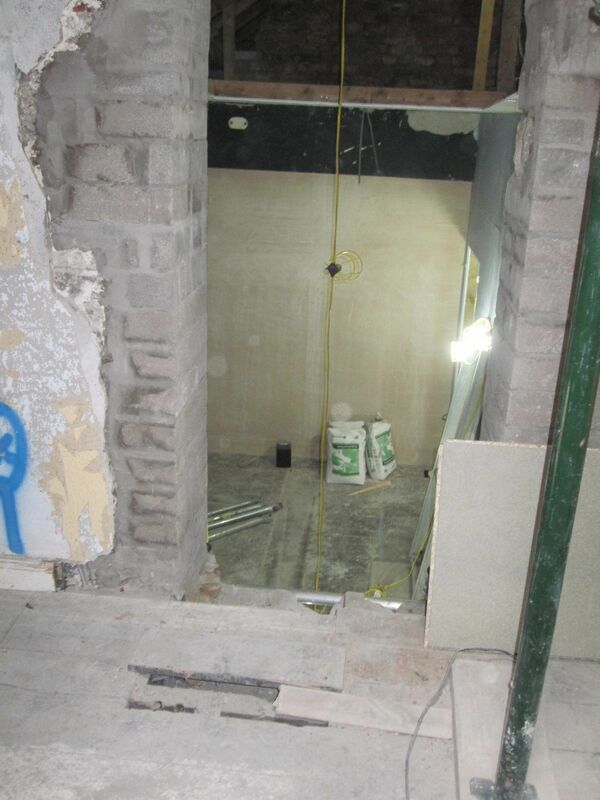 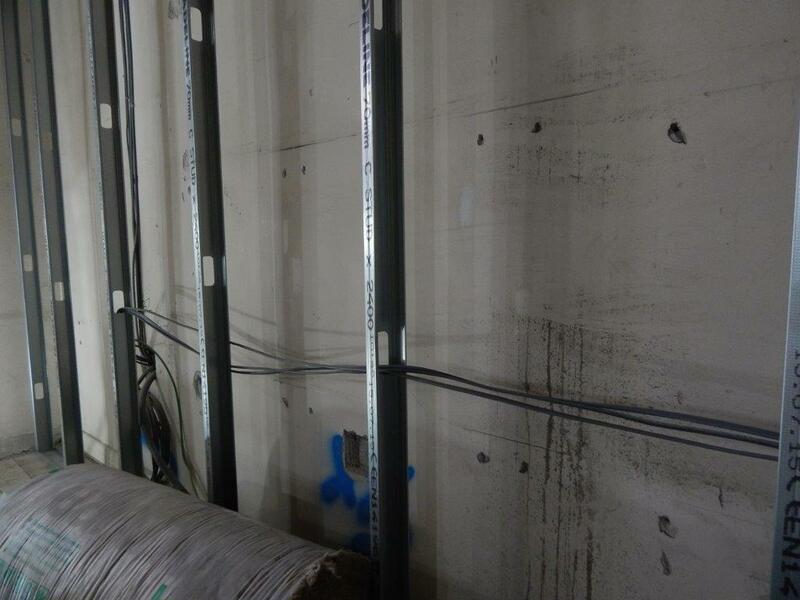 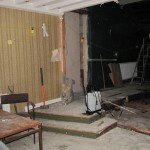 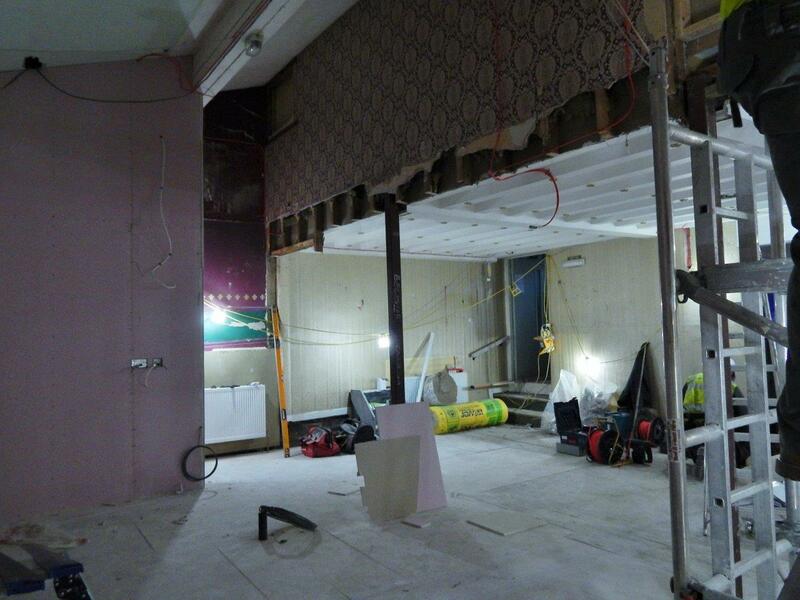 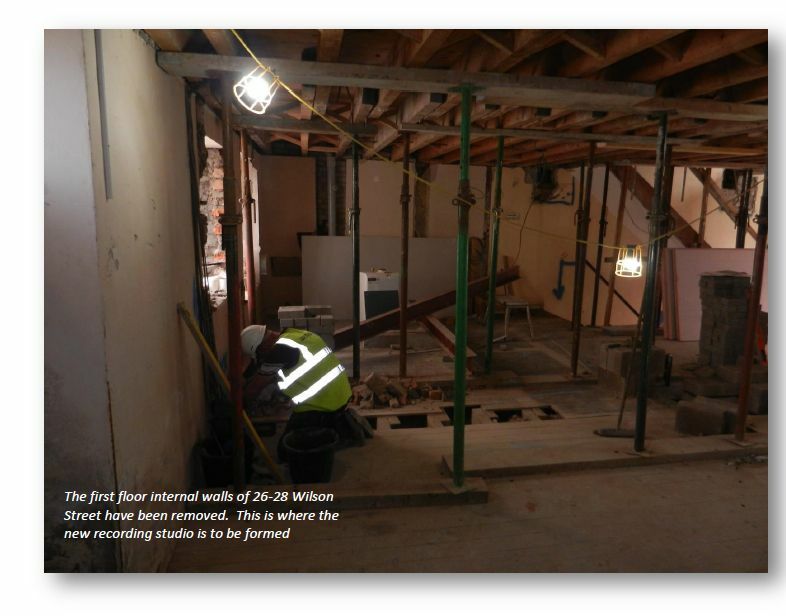 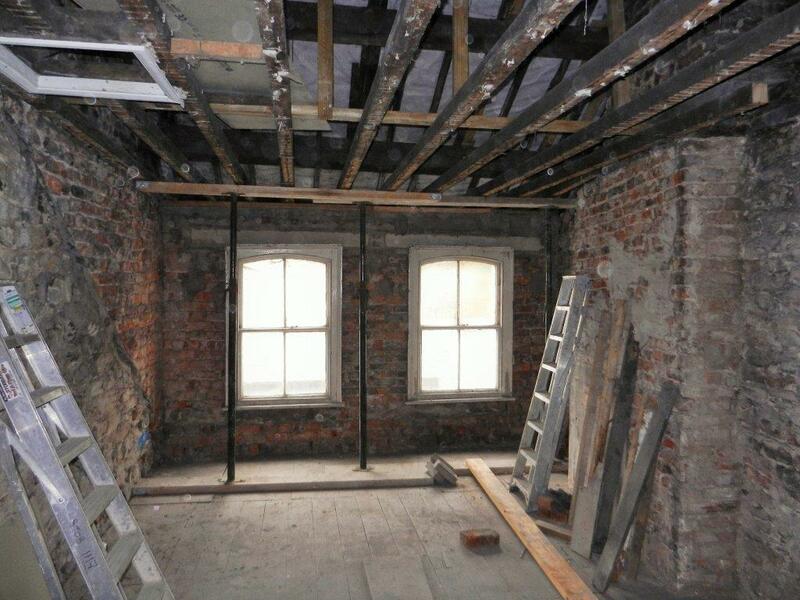 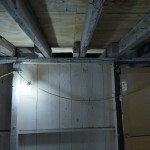 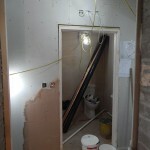 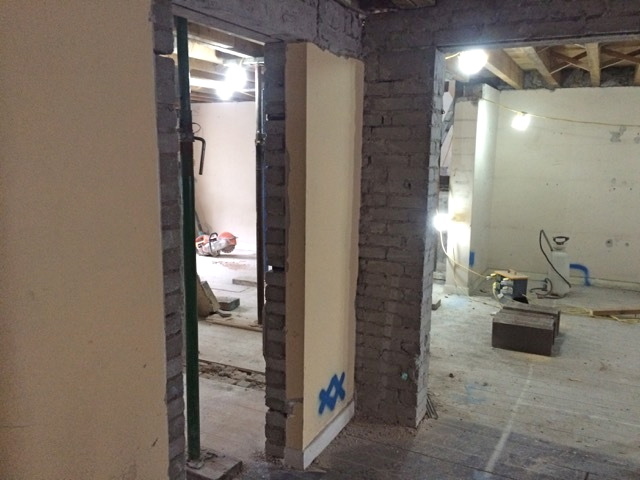 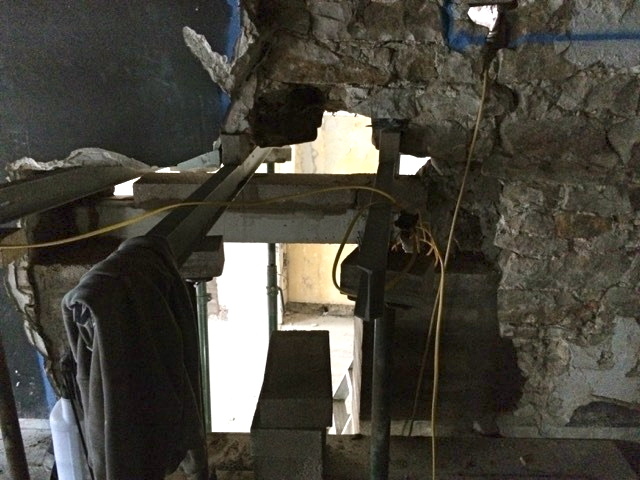 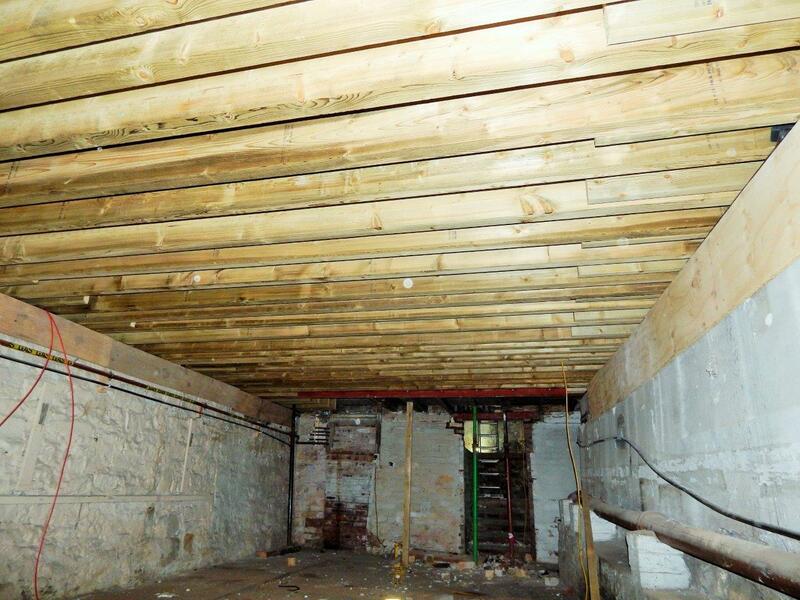 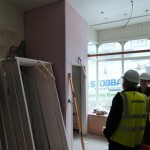 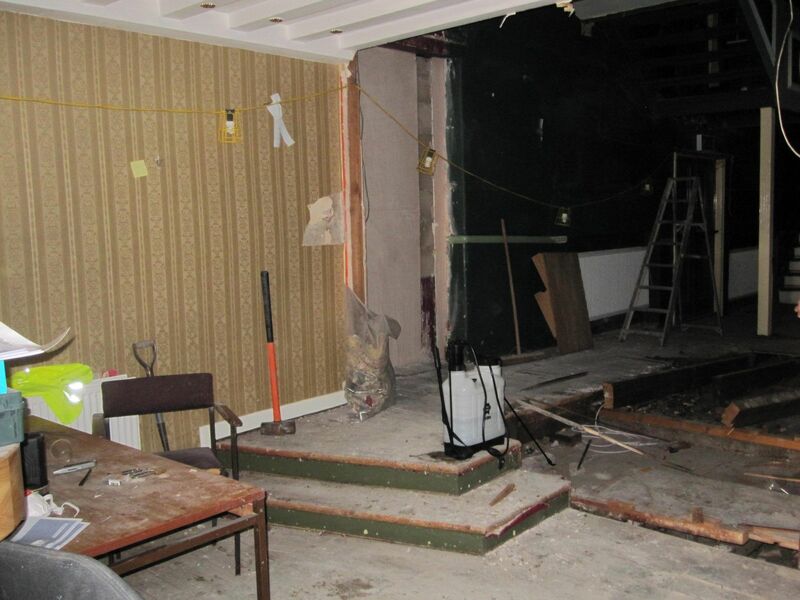 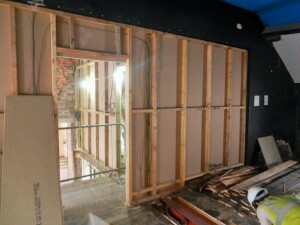 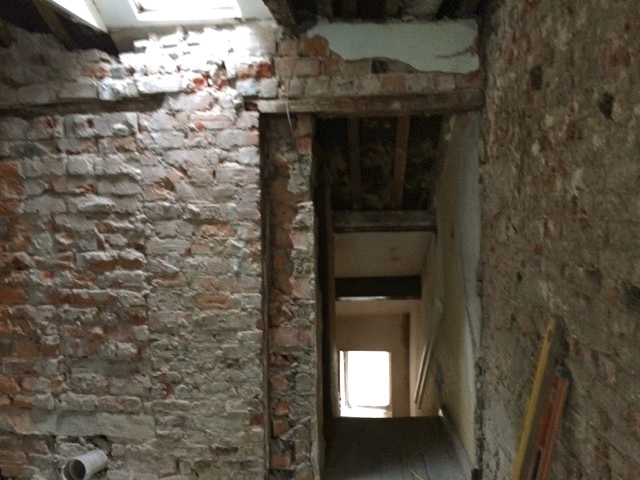 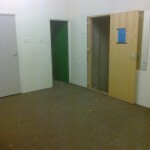 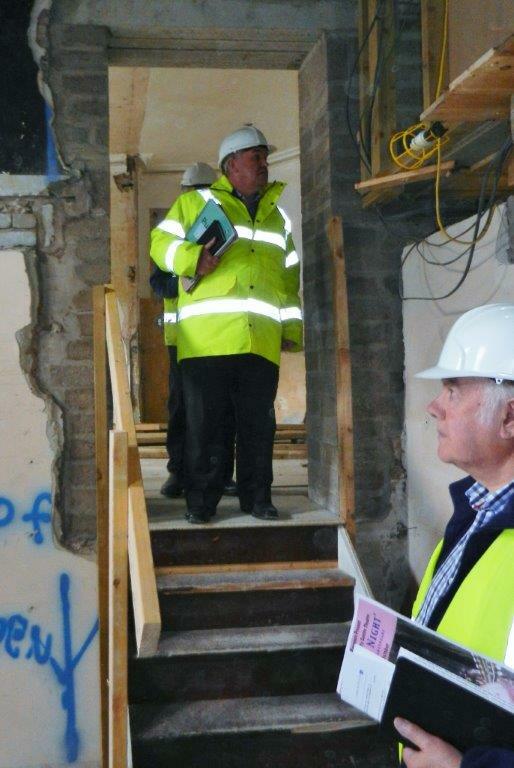 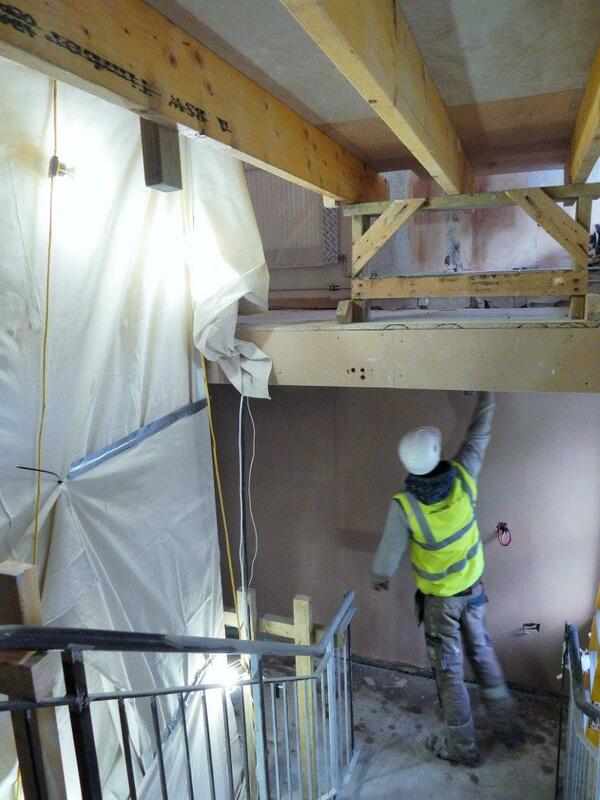 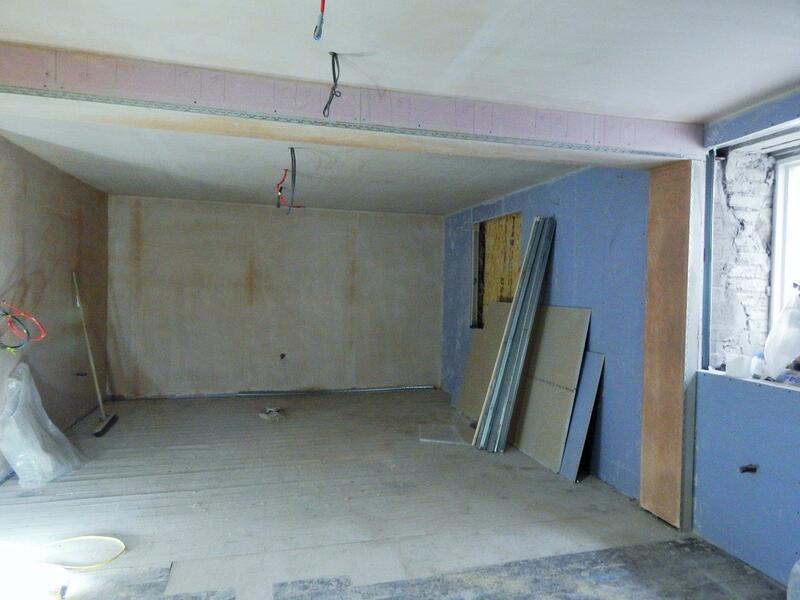 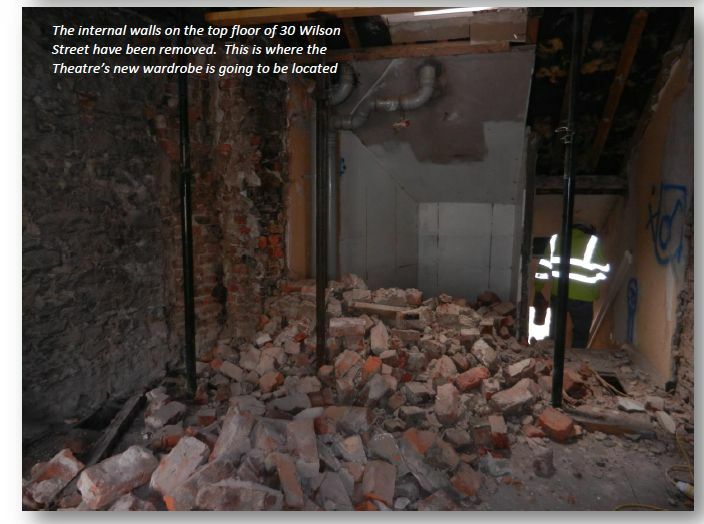 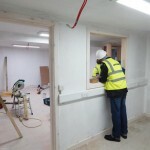 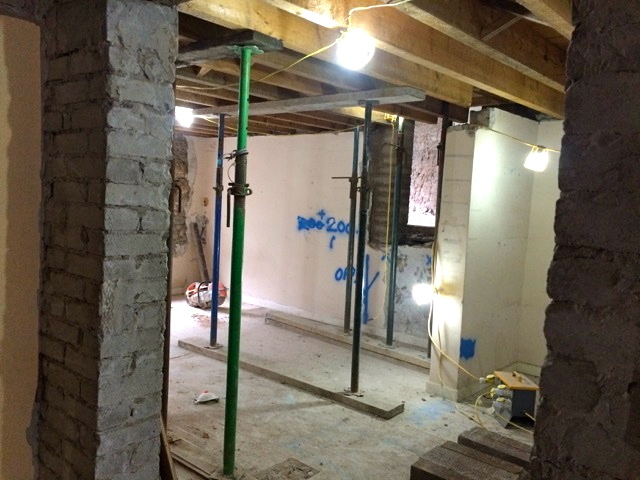 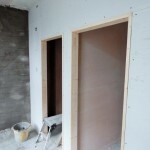 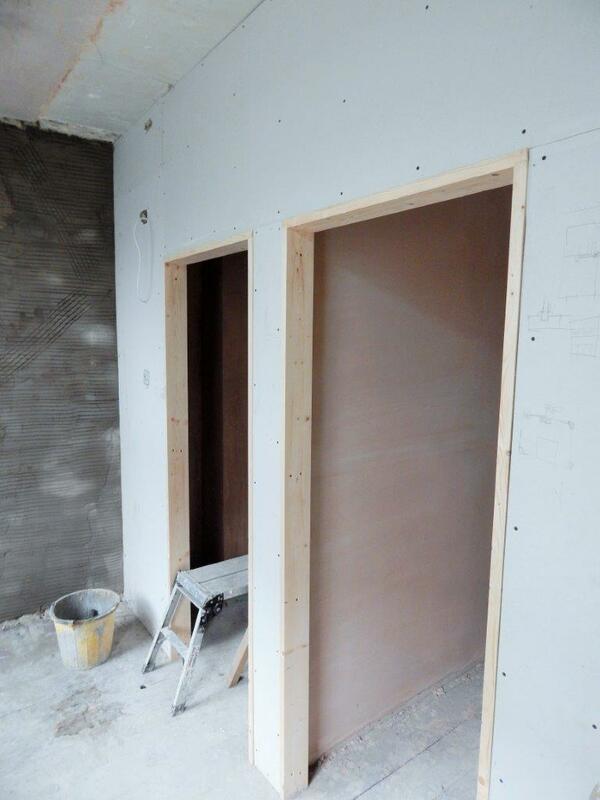 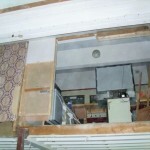 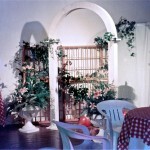 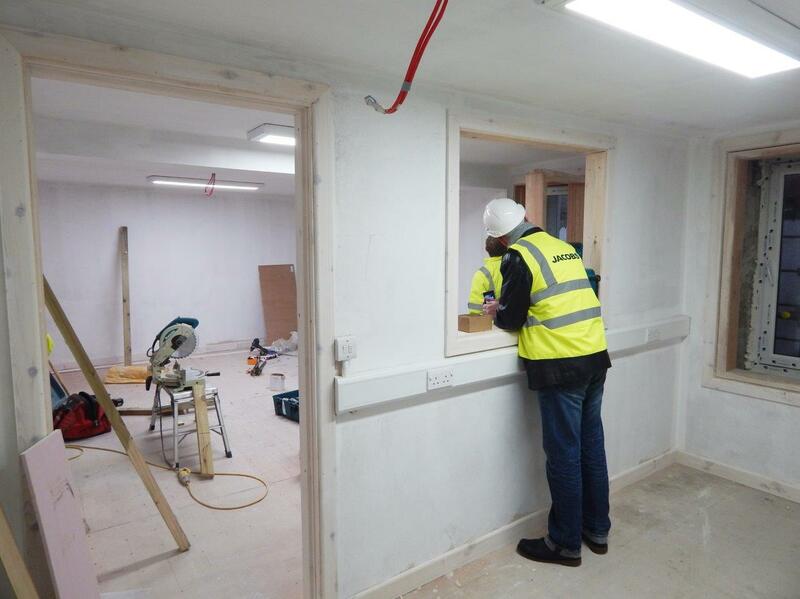 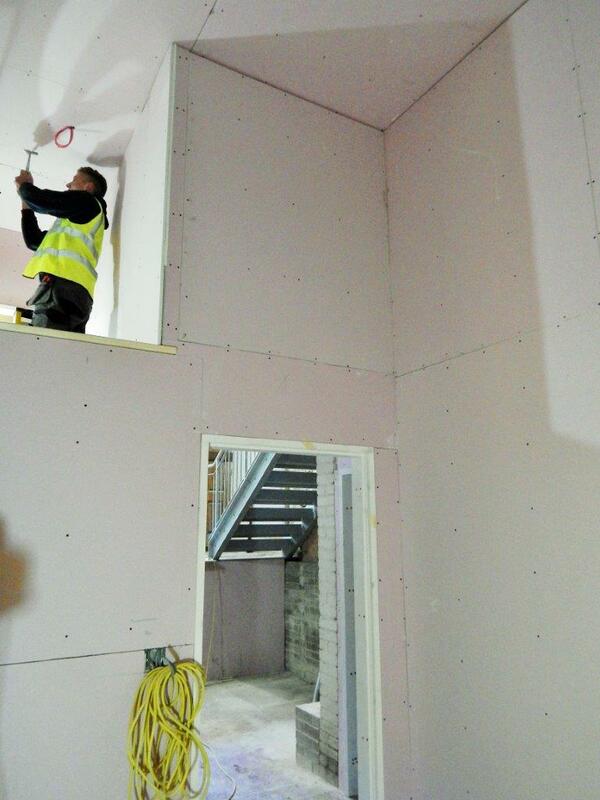 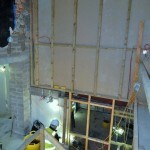 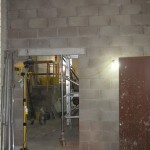 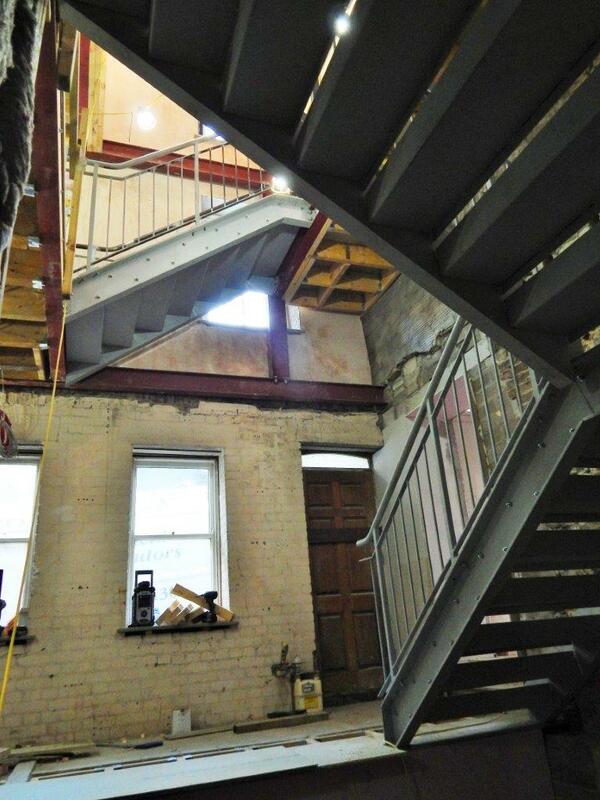 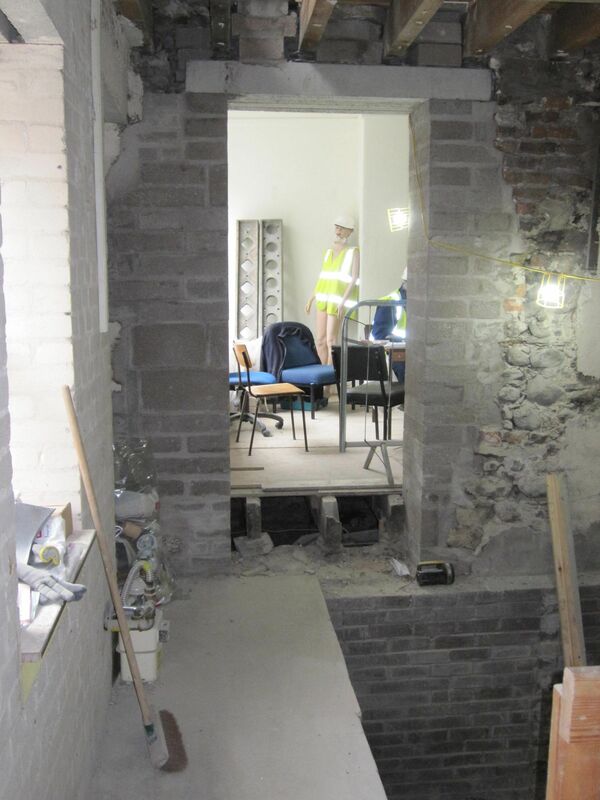 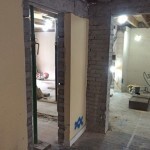 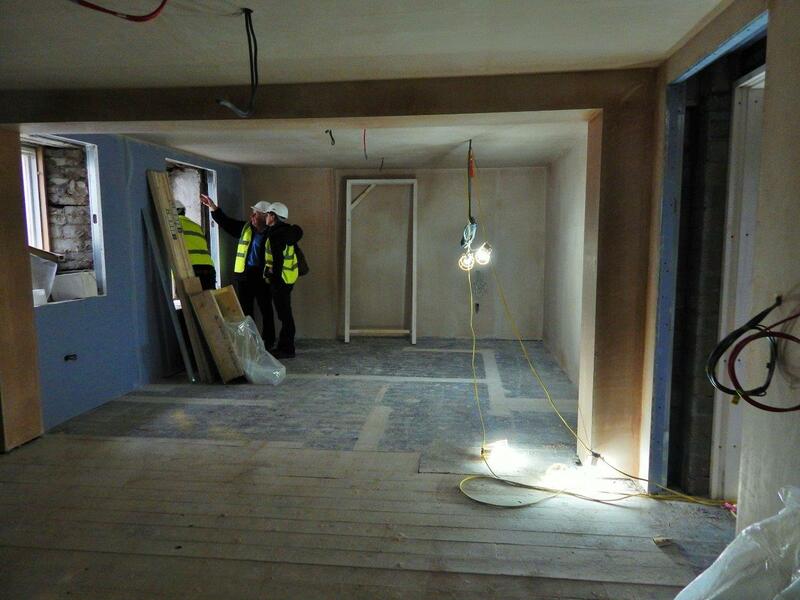 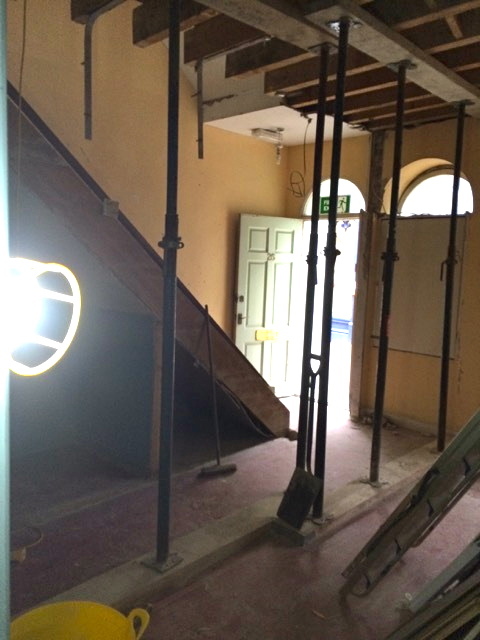 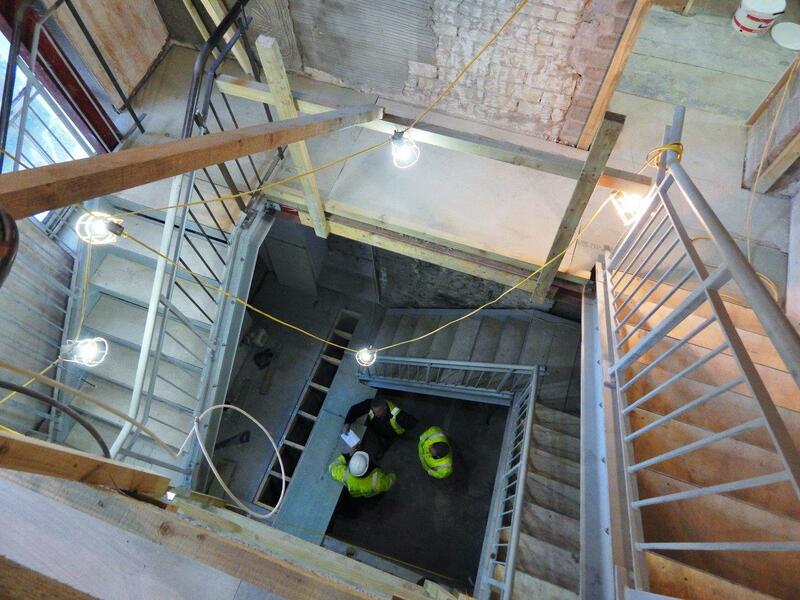 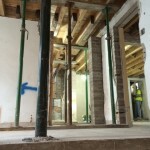 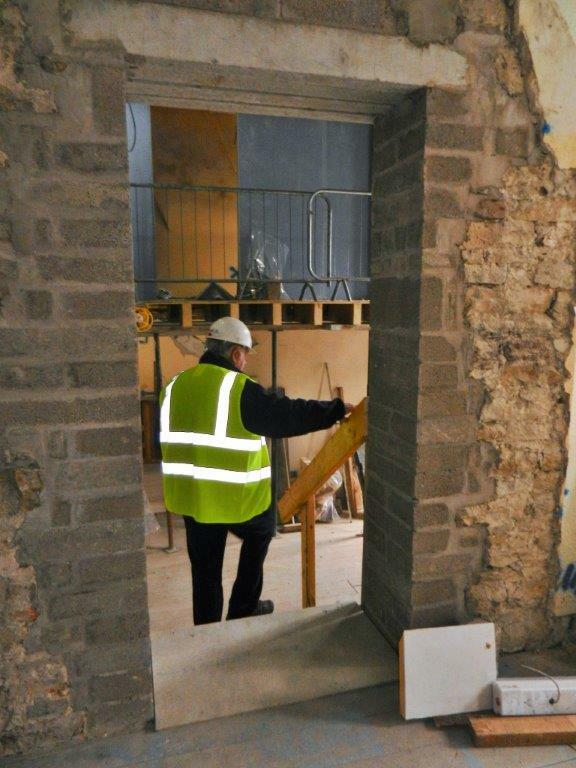 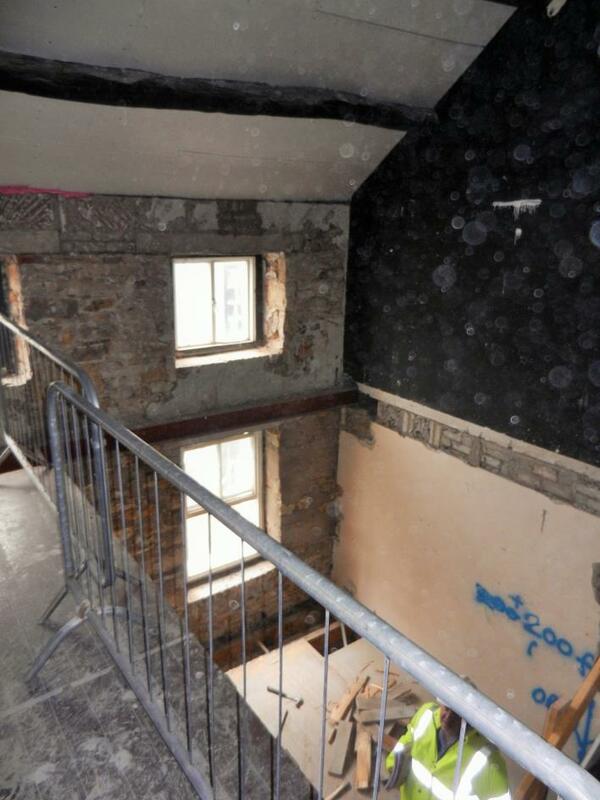 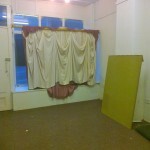 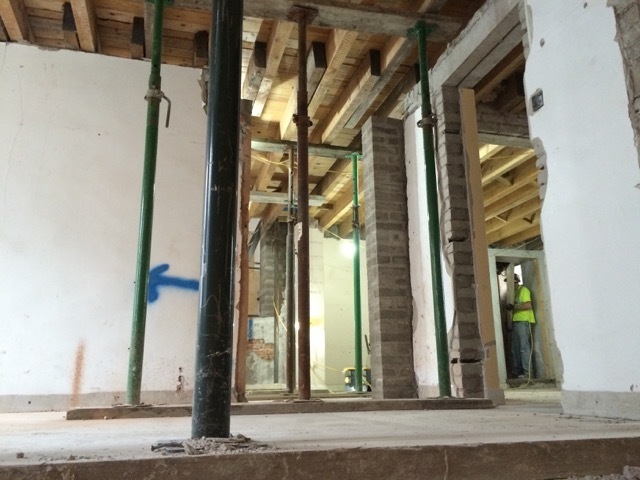 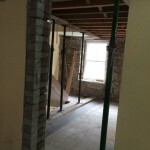 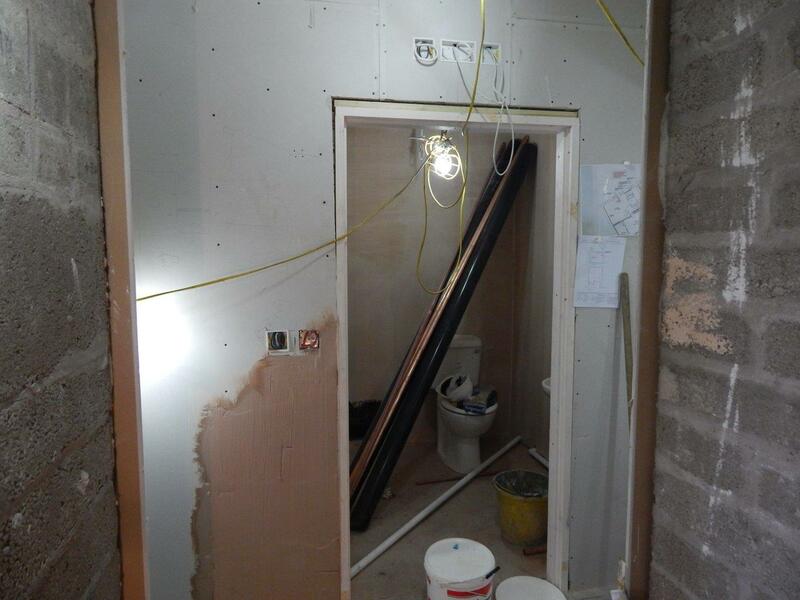 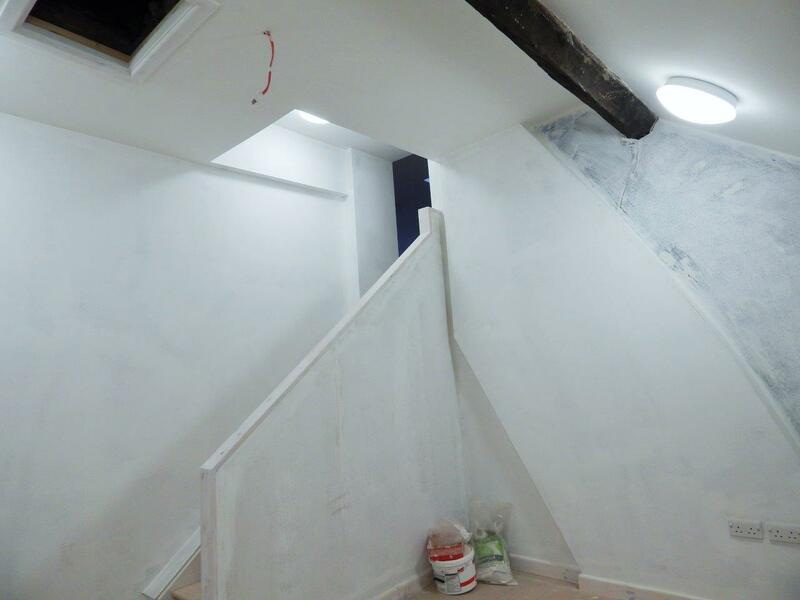 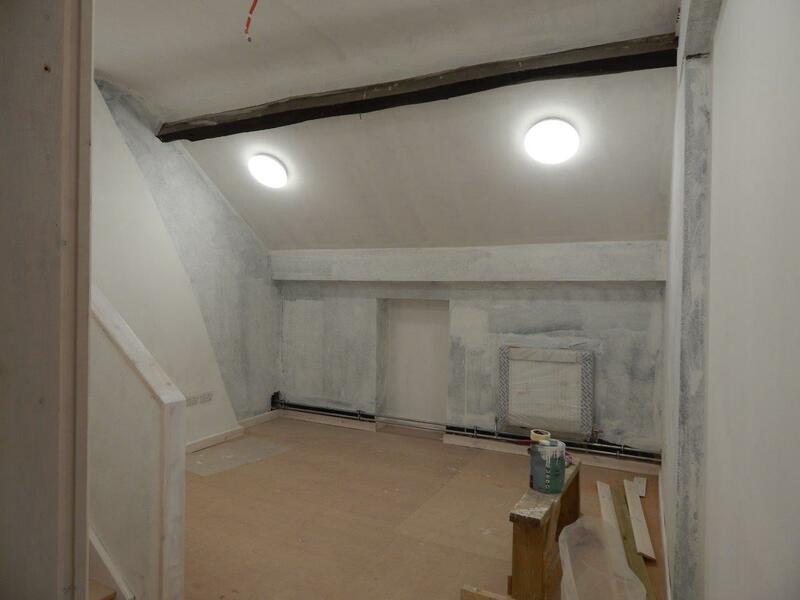 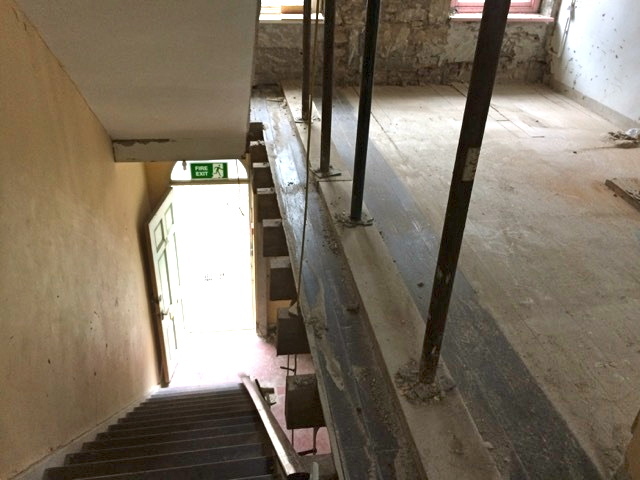 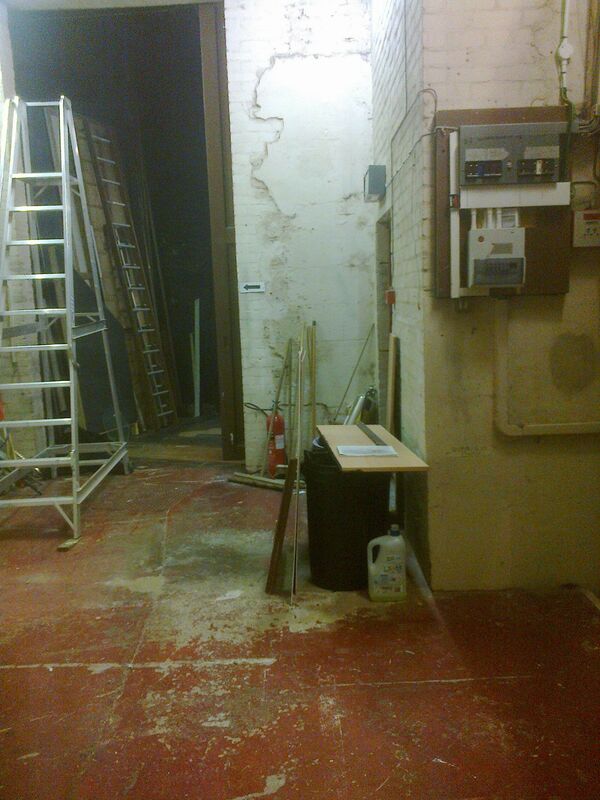 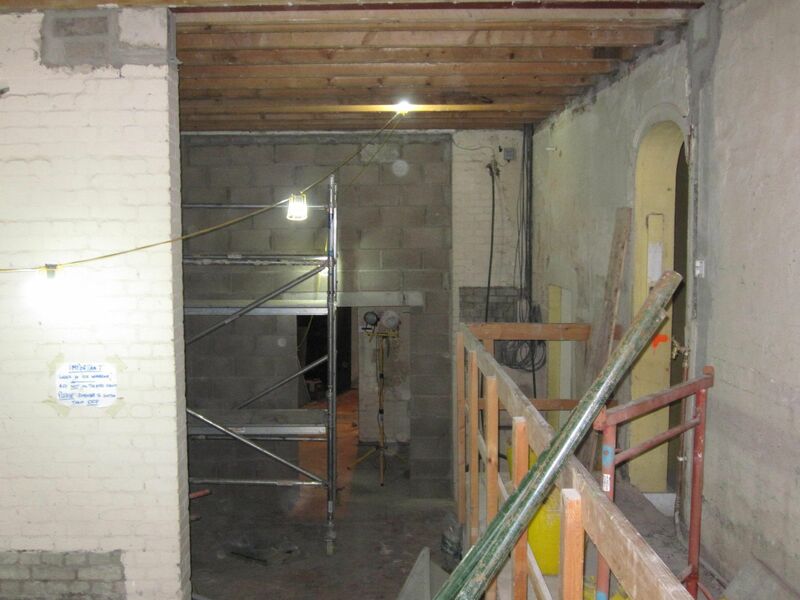 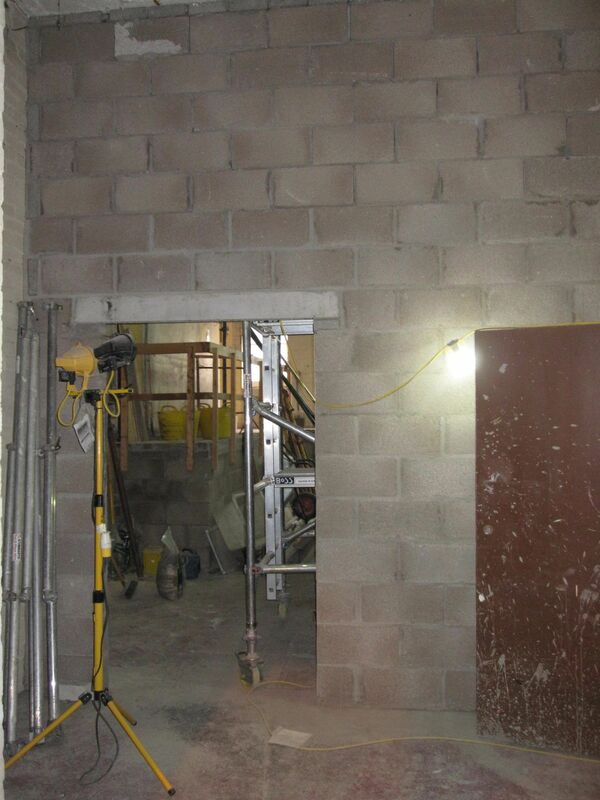 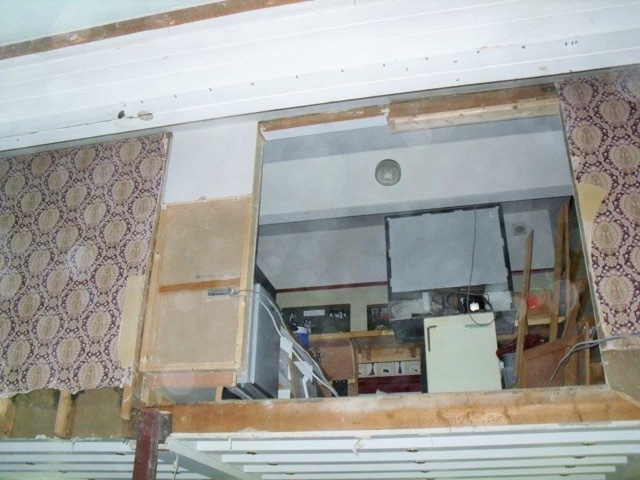 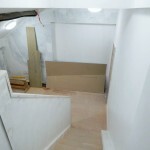 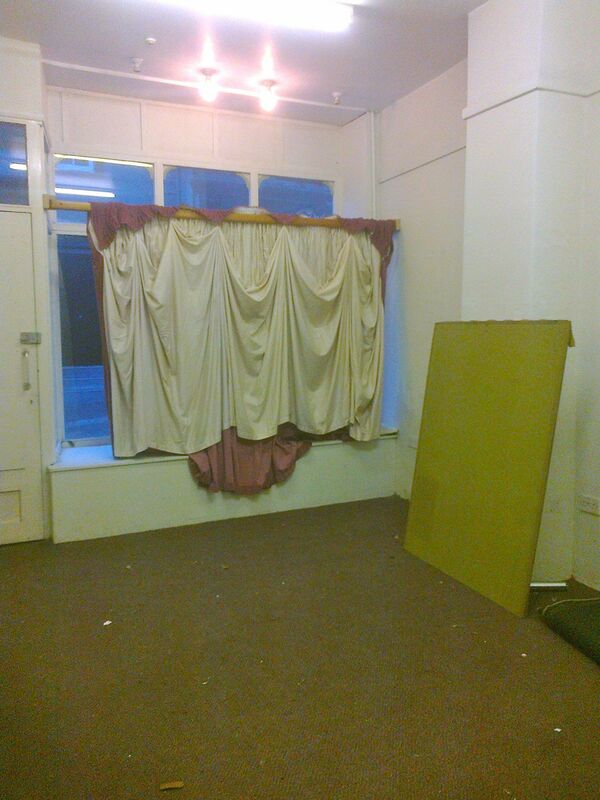 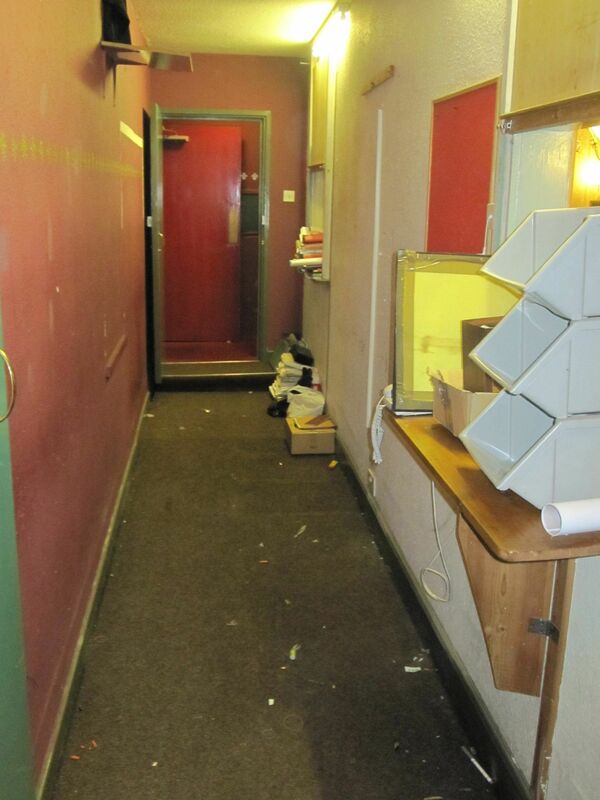 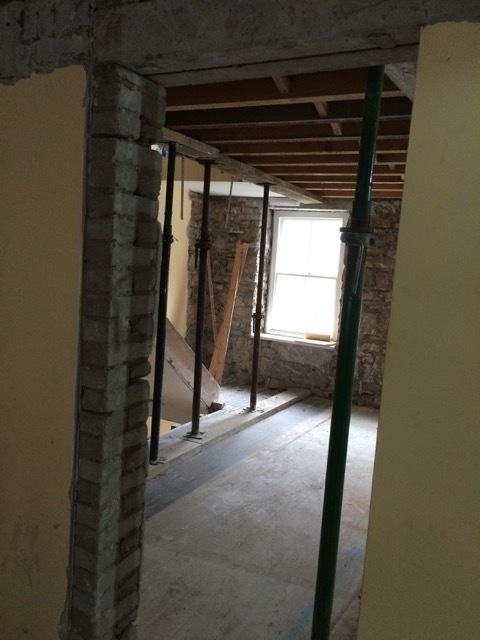 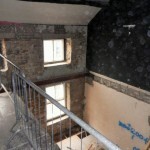 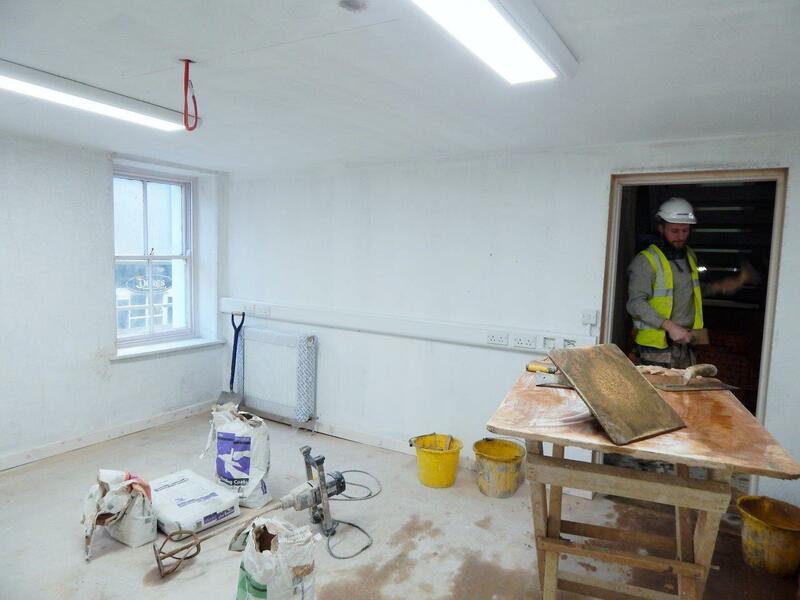 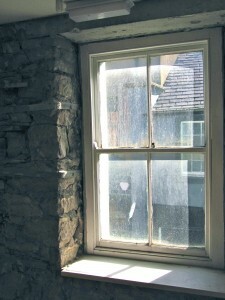 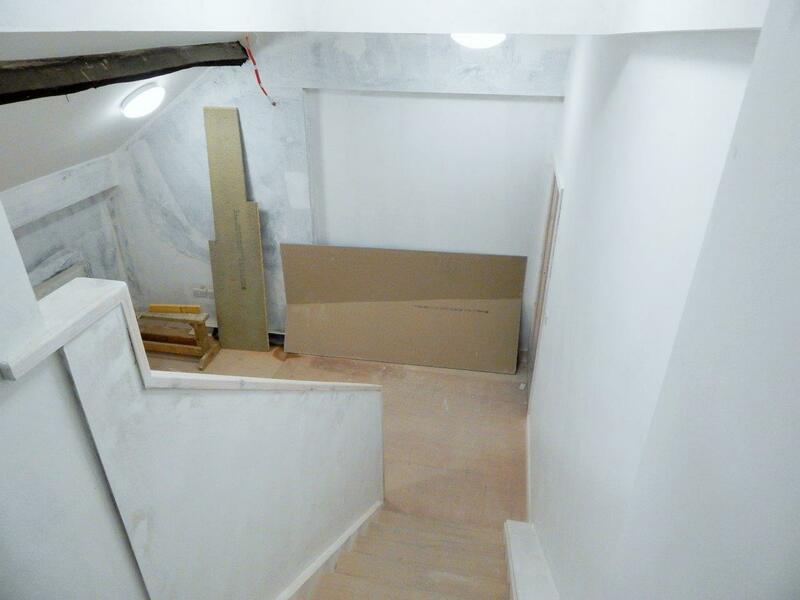 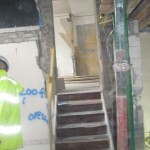 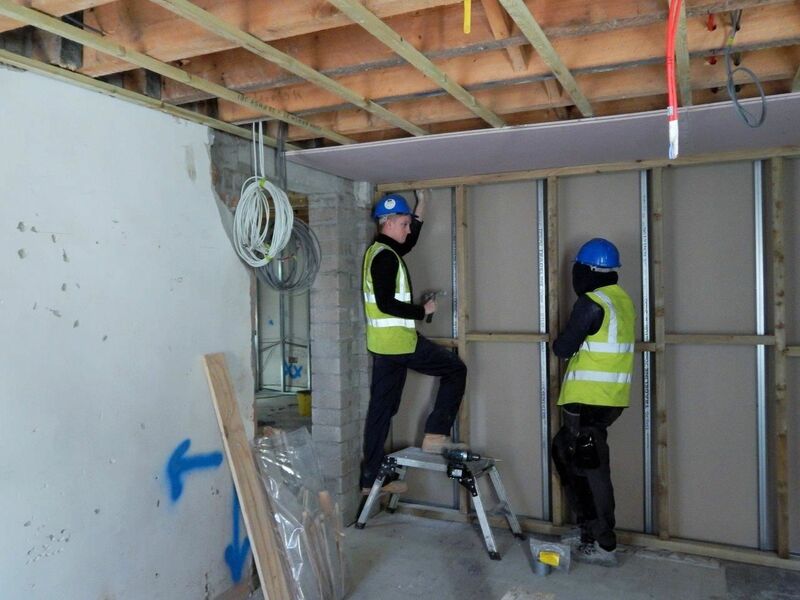 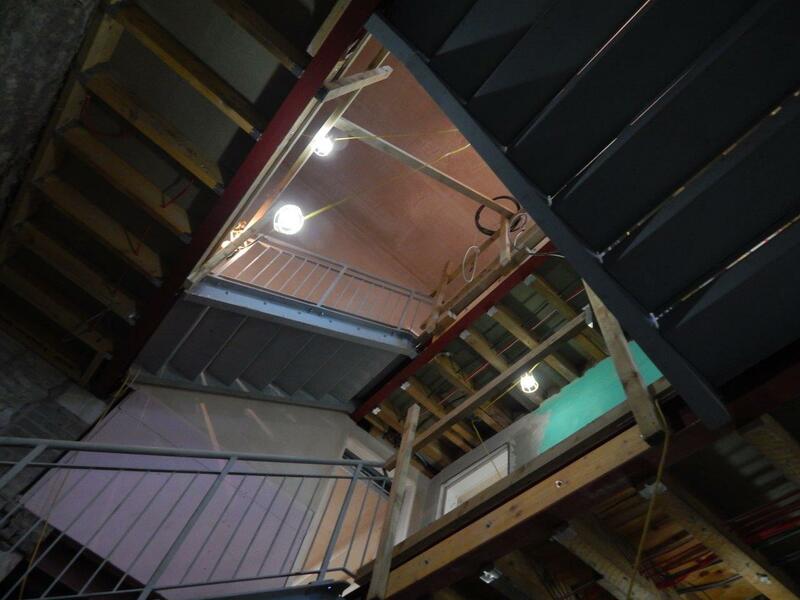 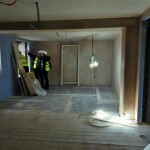 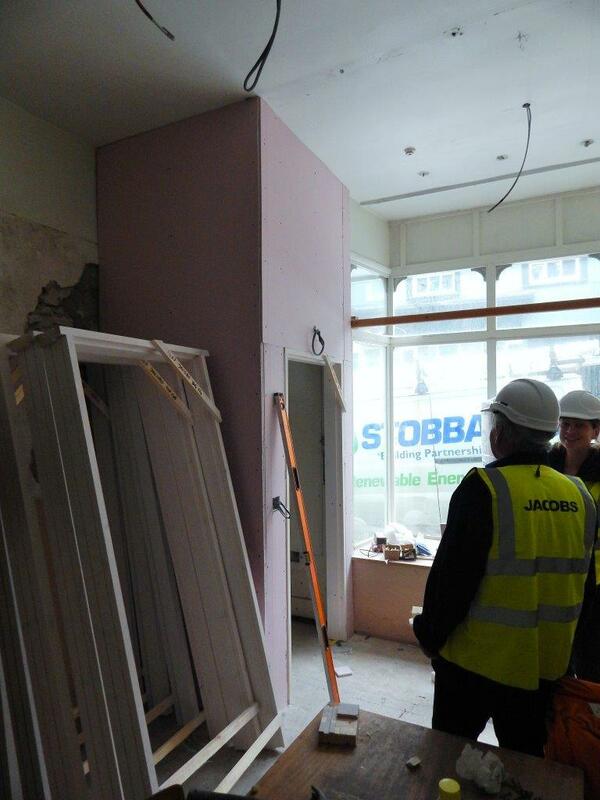 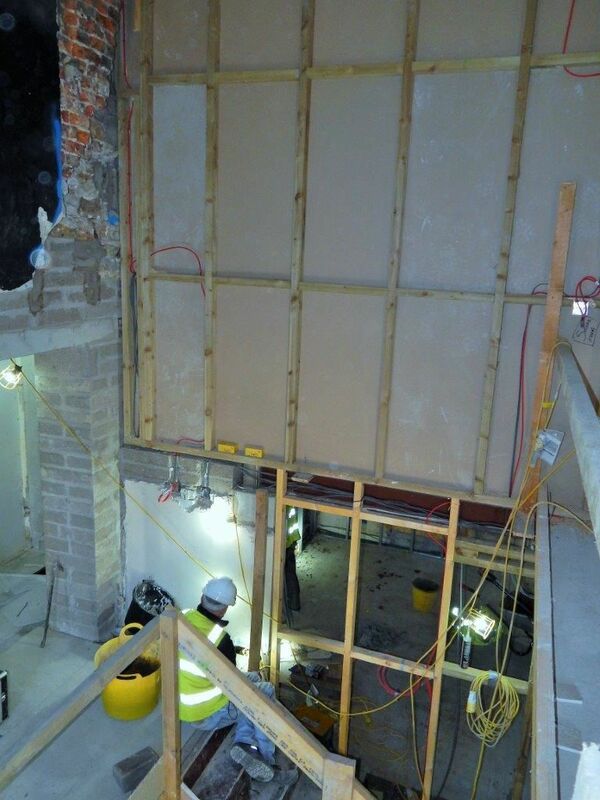 View showing walls down between Men’s dressing room, corridor and the small wardrobe room on the first floor.